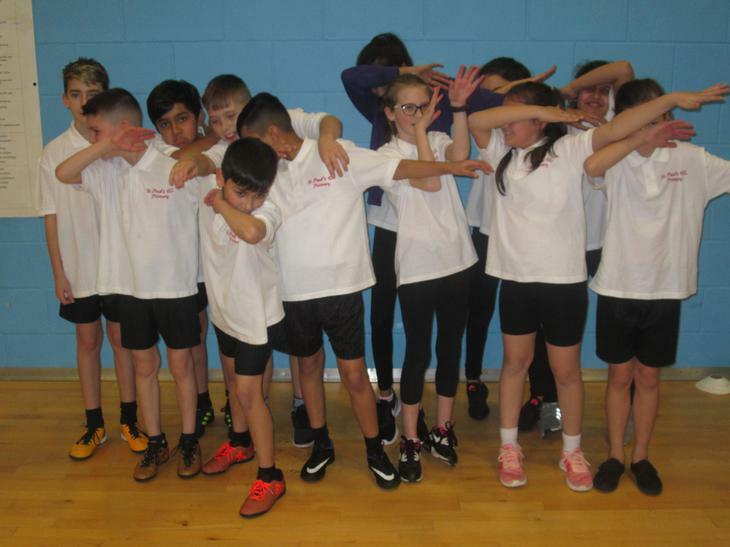 Pendle School Sports Partnership Website See up and coming events and the sports calendar for the year ahead. 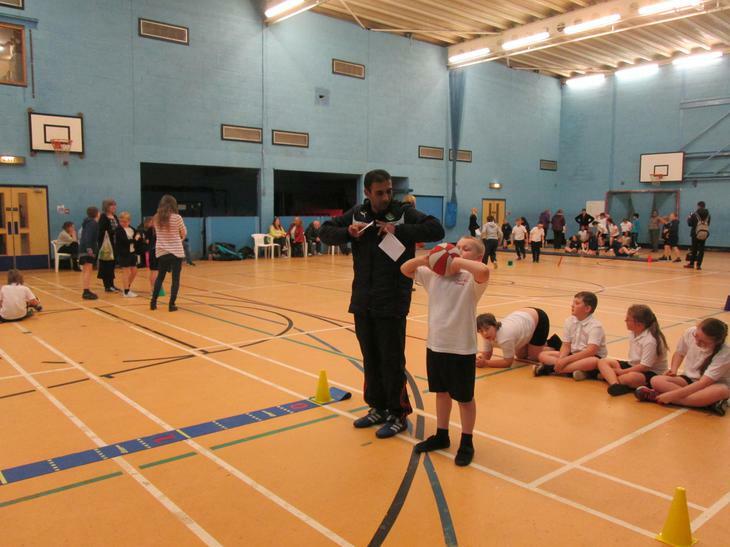 Check and when and where events will be held. 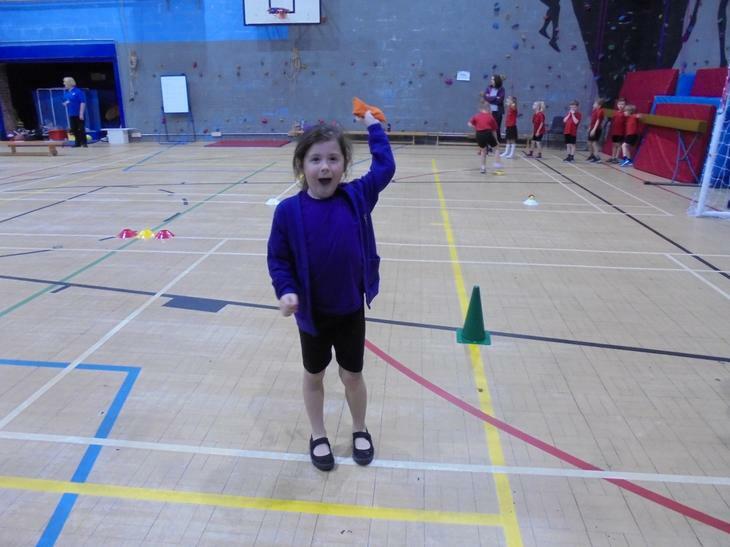 Look what we've been up to this term! 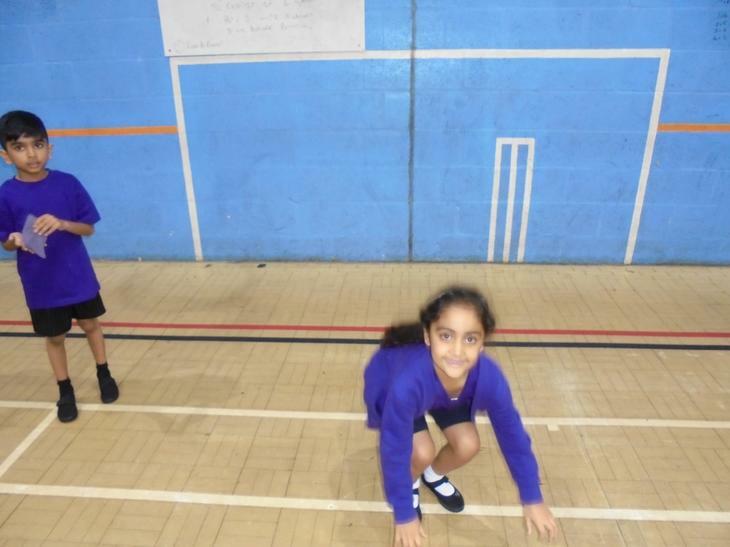 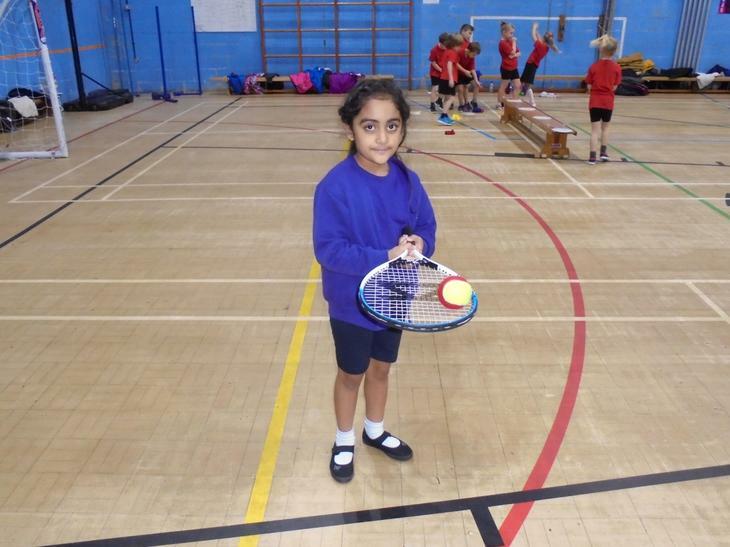 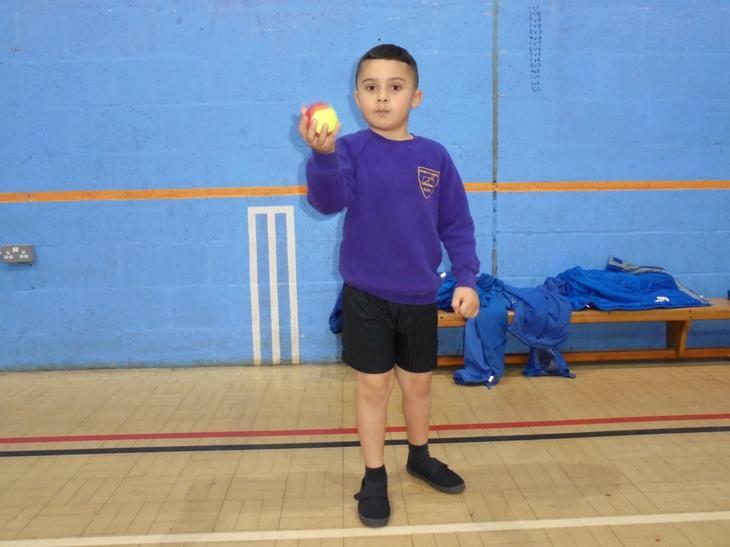 This term has been another busy time for sport at St.Paul's. 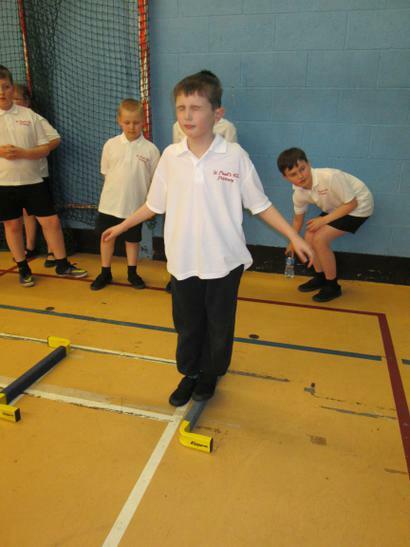 We have been involved in many events, competitions and clubs. 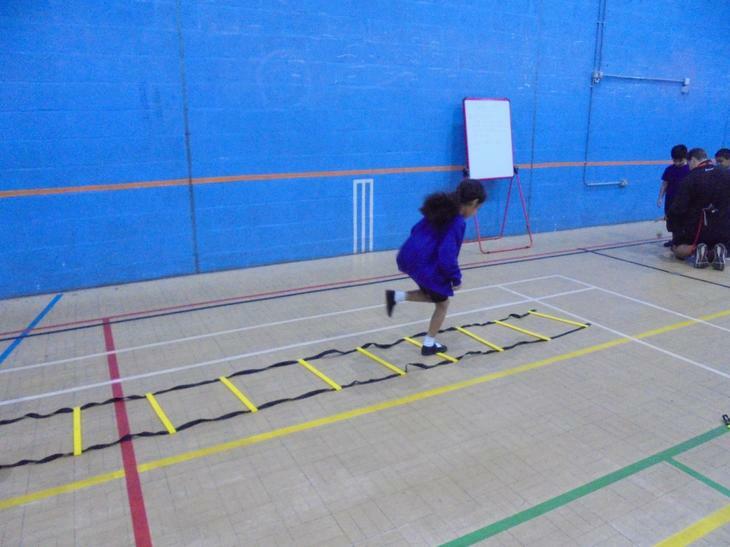 Including some new opportunities. 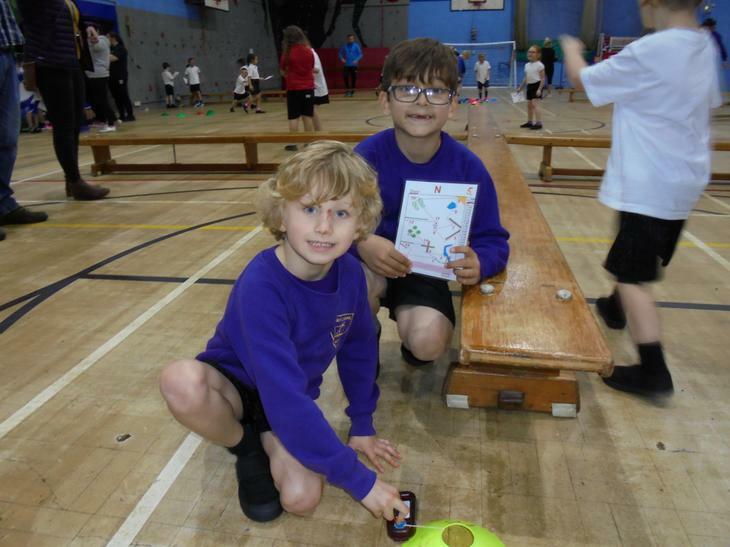 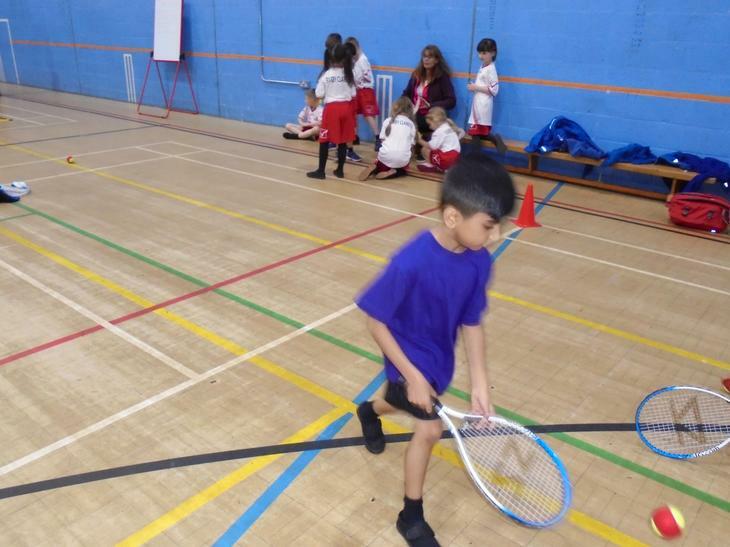 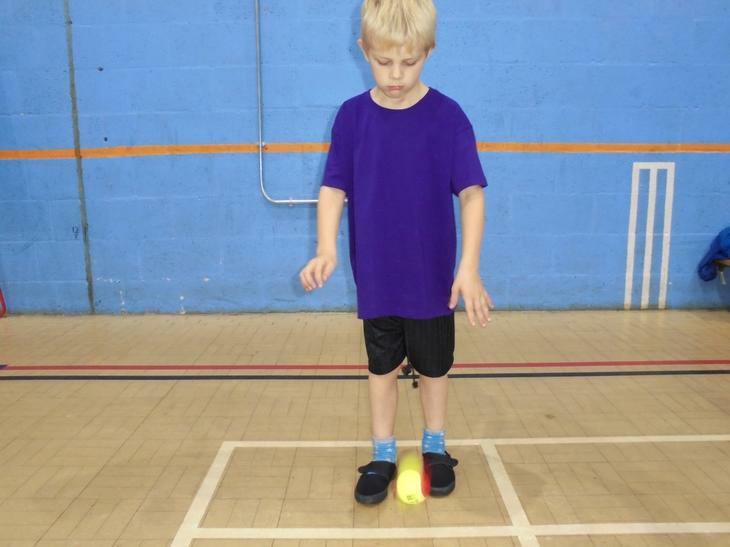 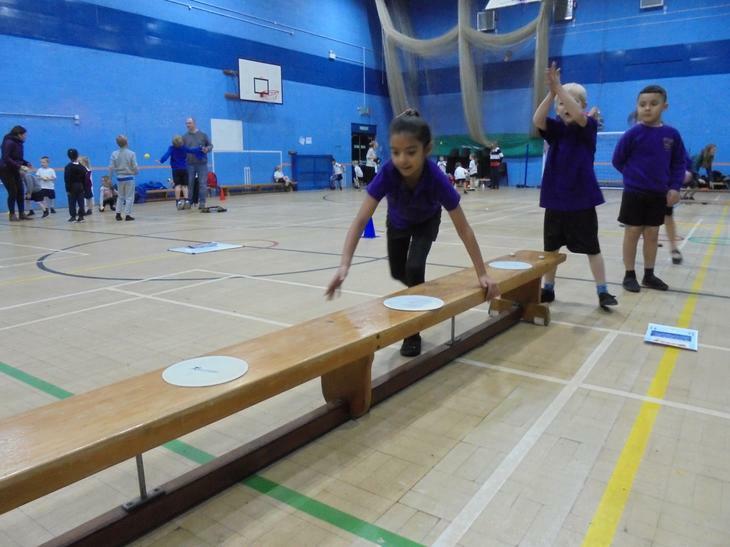 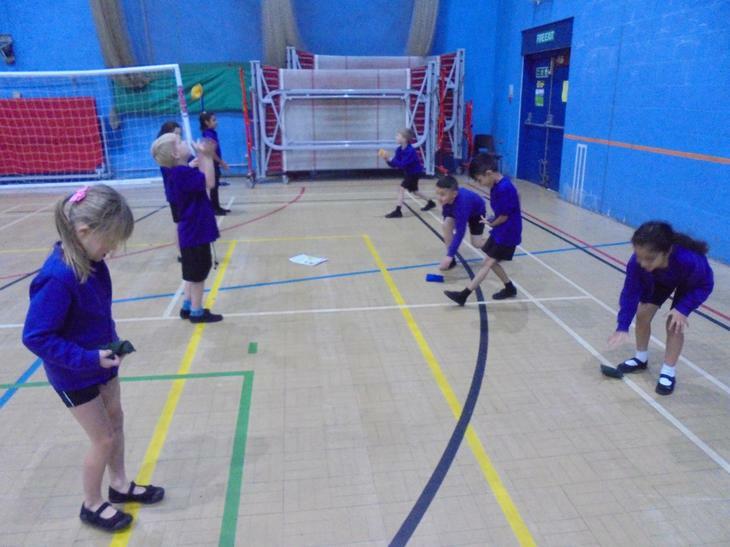 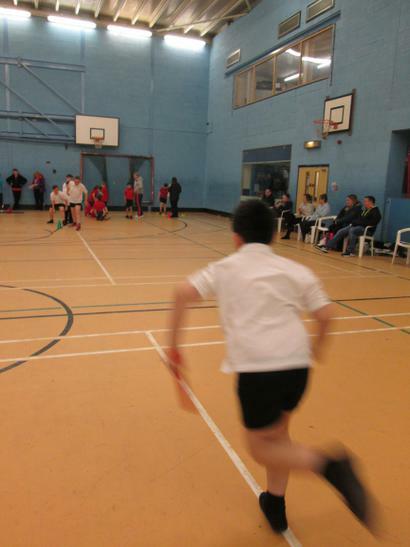 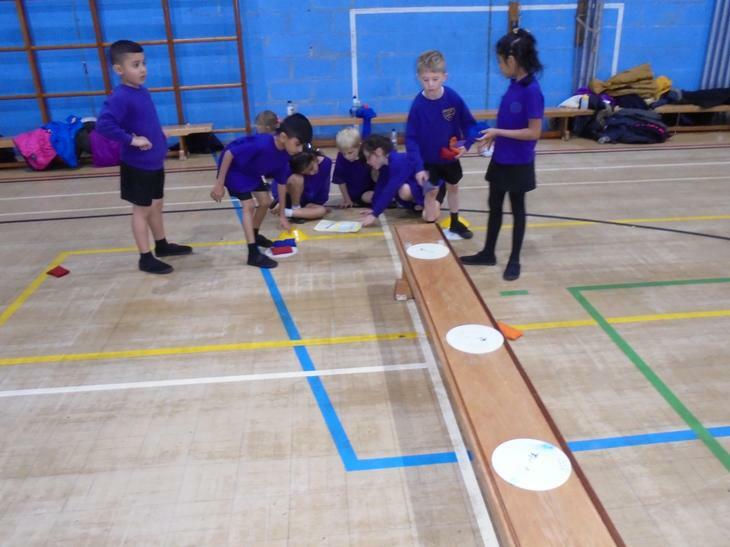 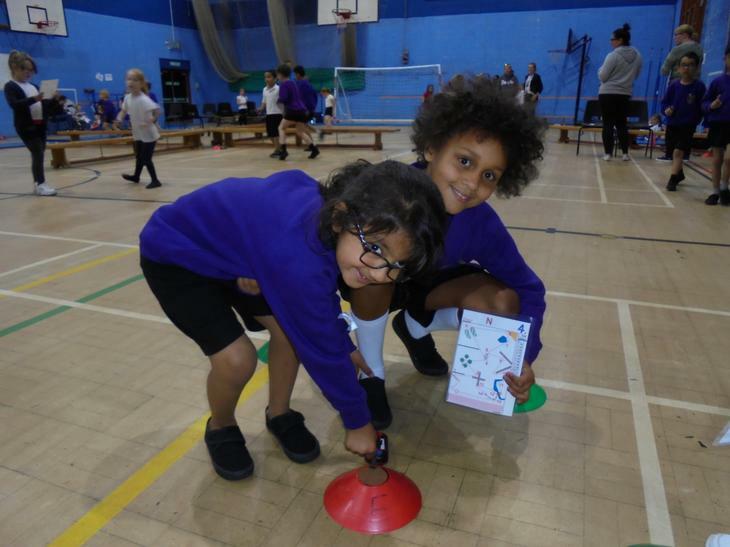 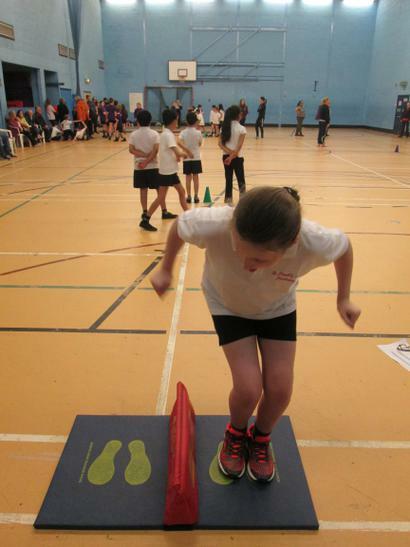 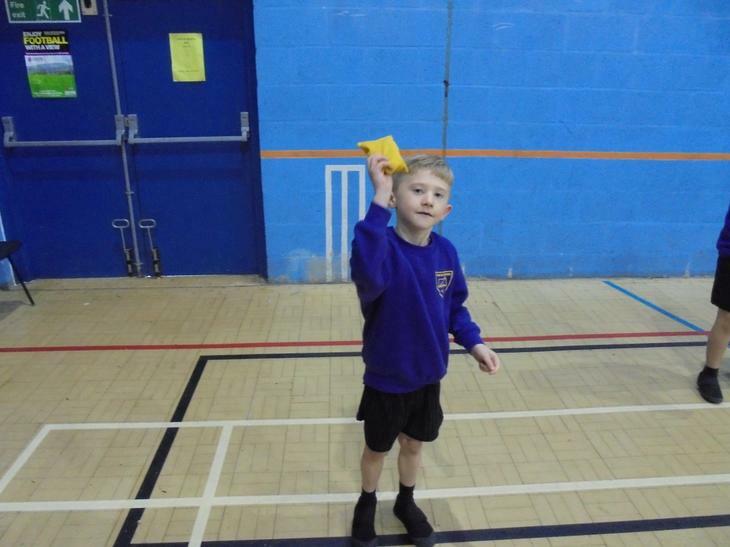 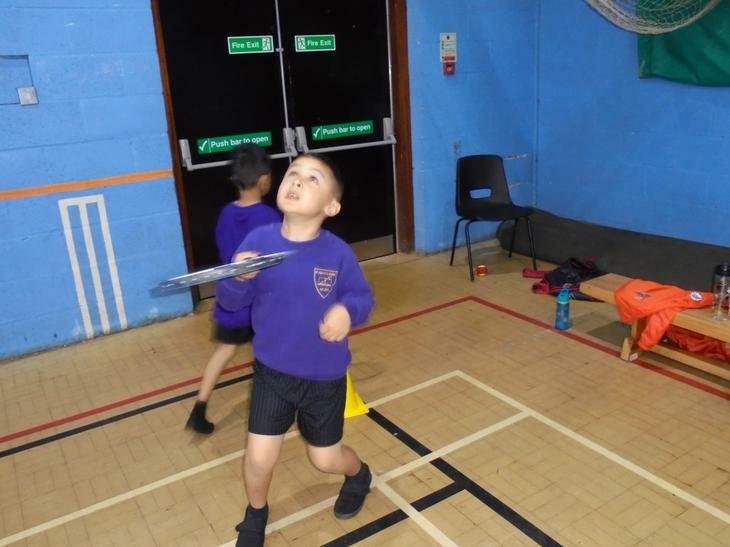 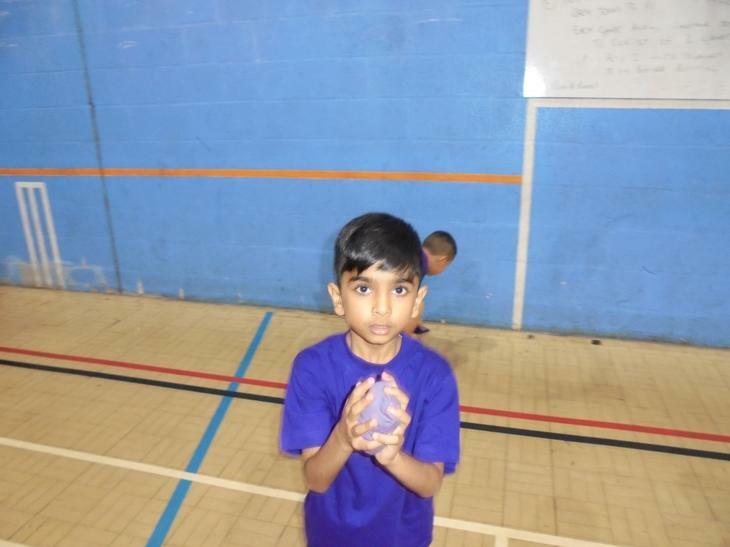 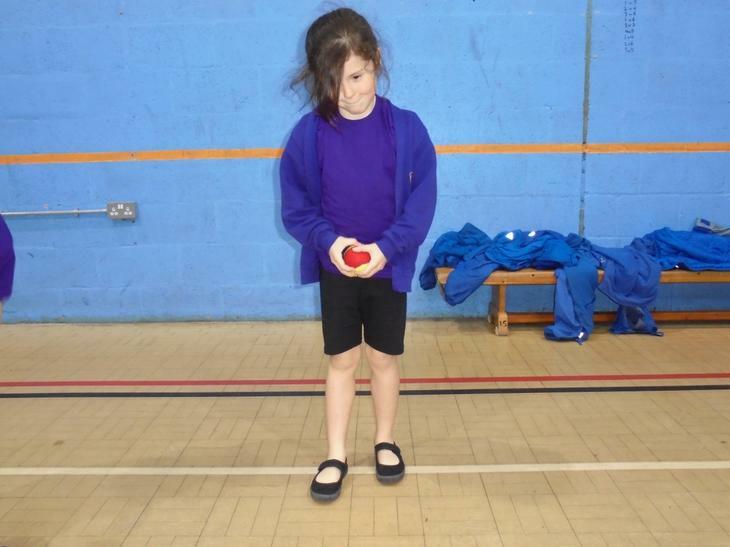 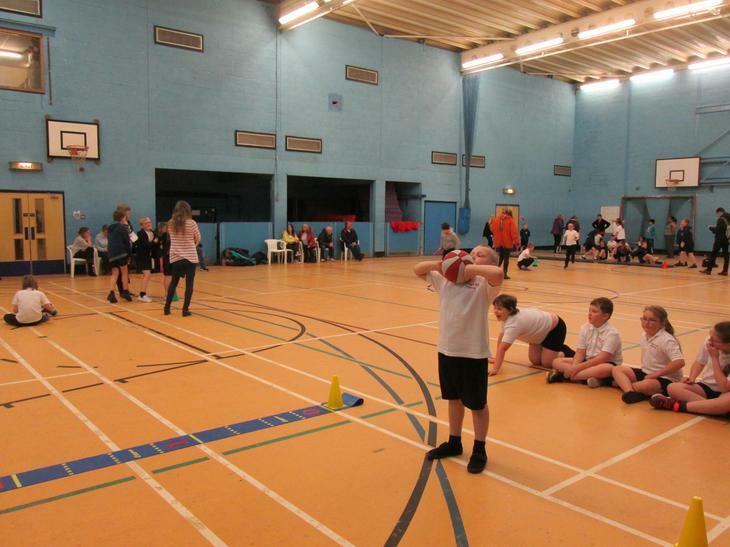 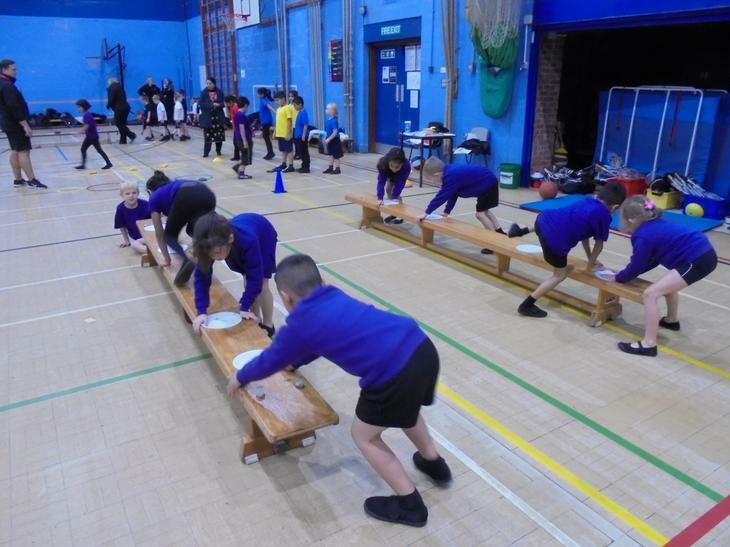 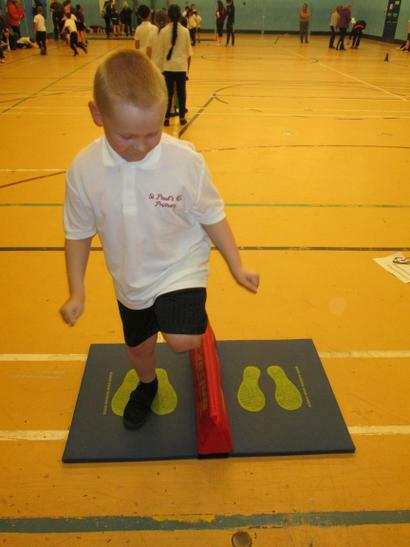 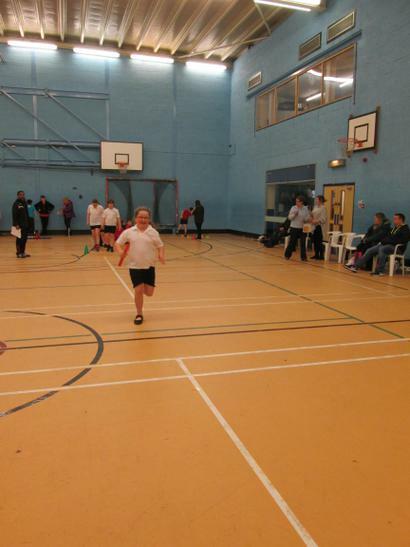 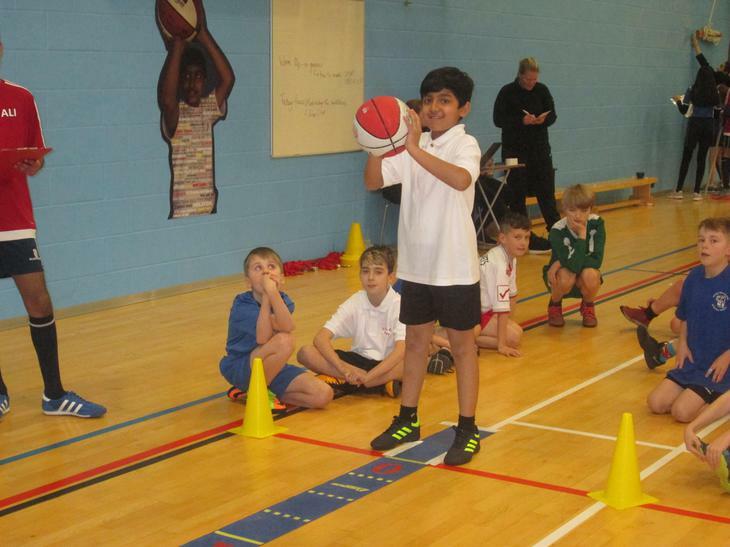 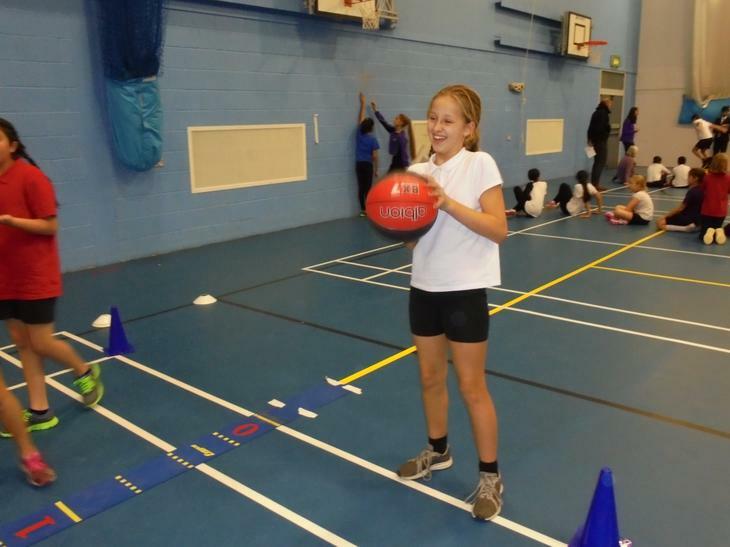 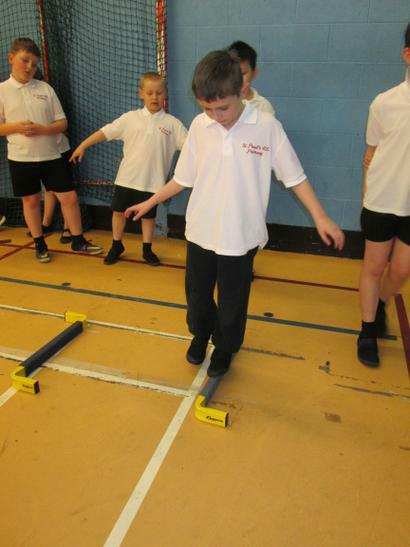 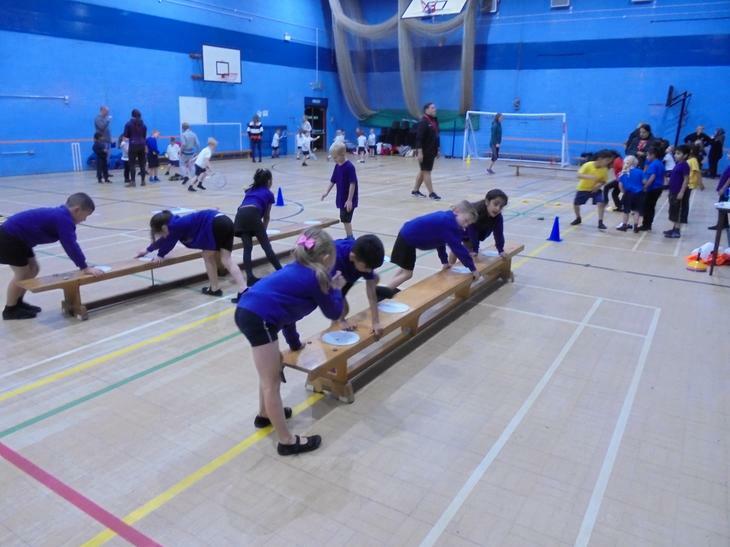 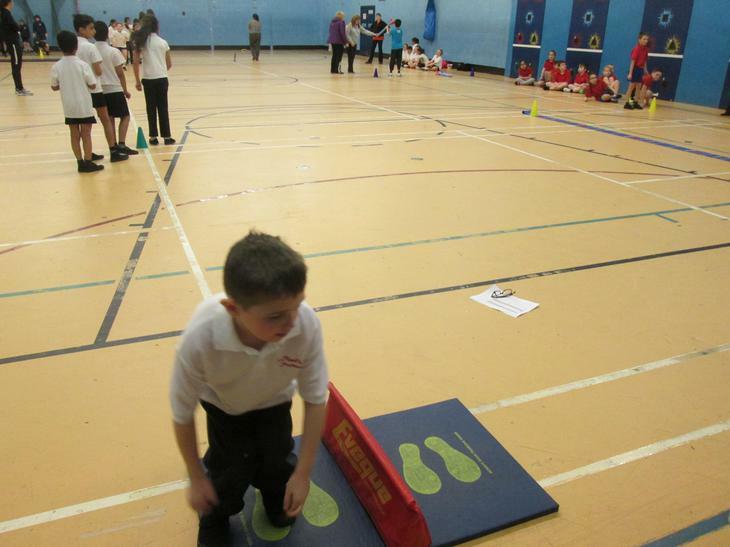 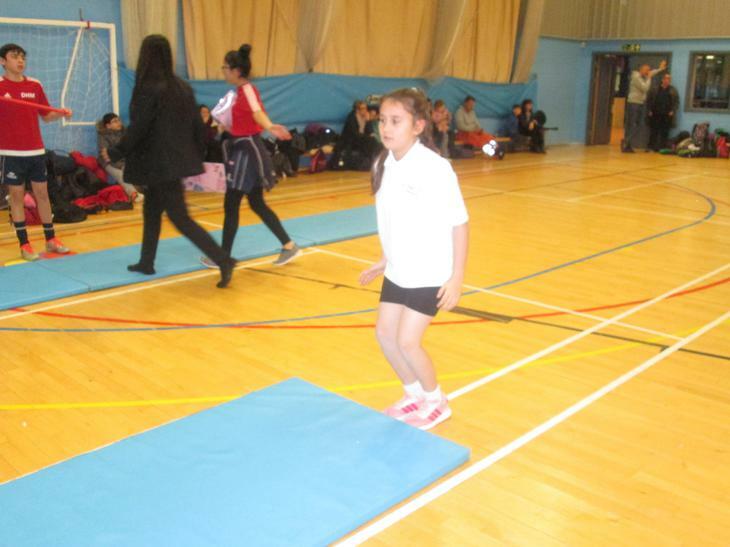 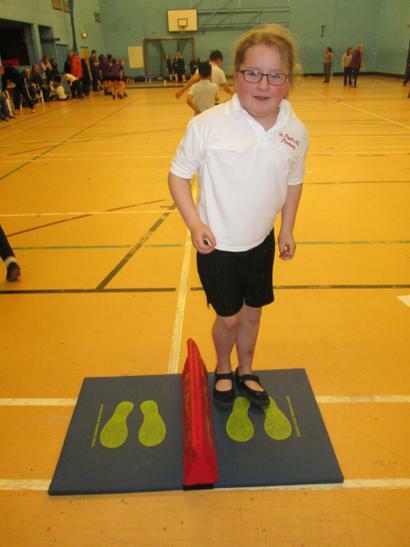 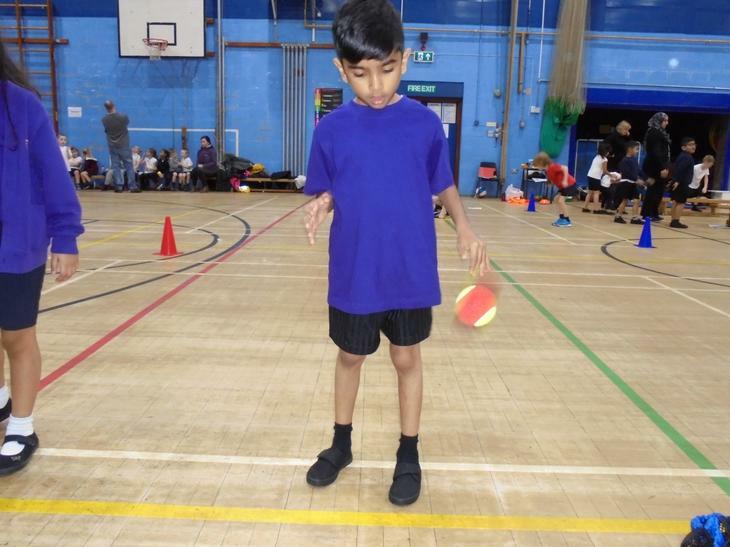 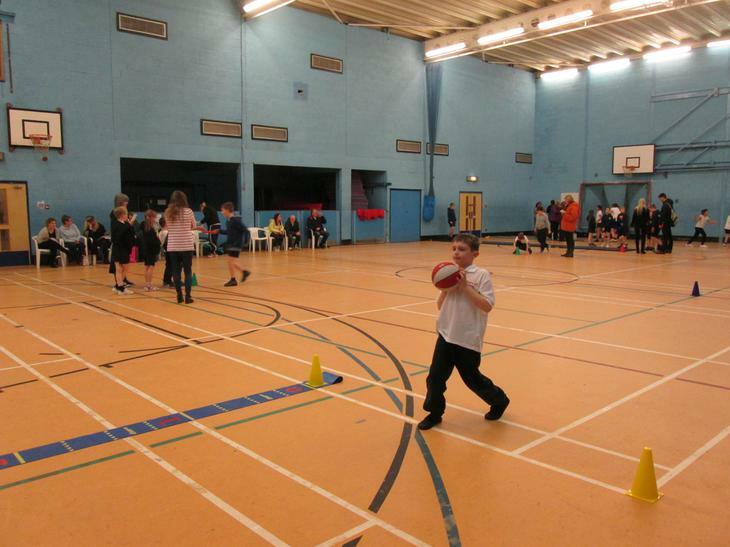 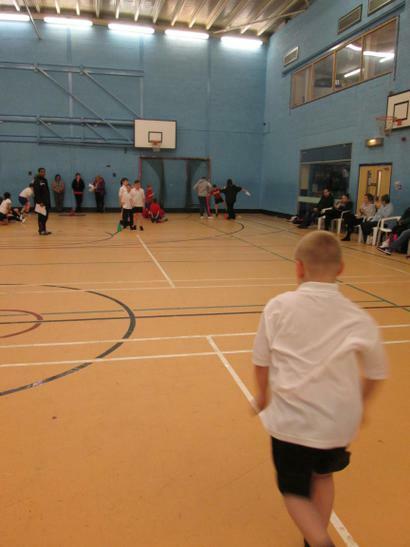 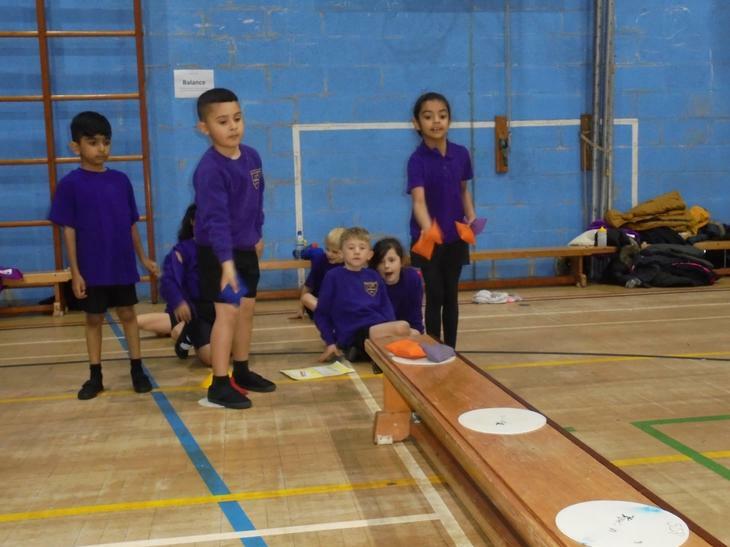 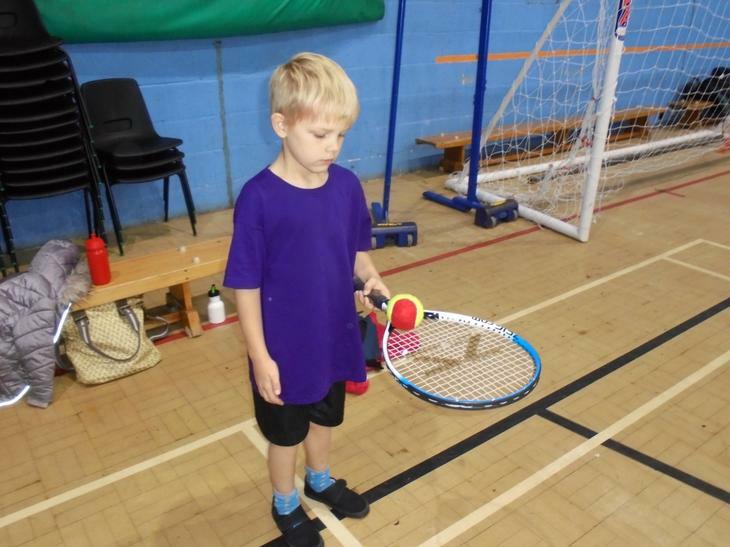 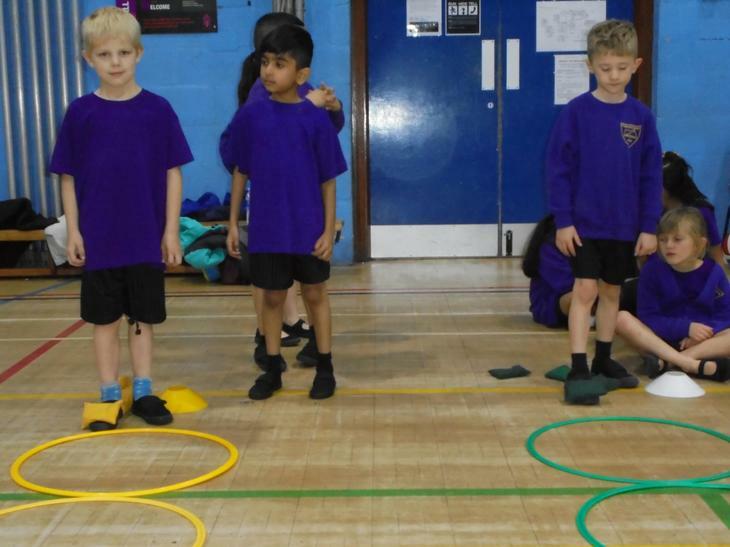 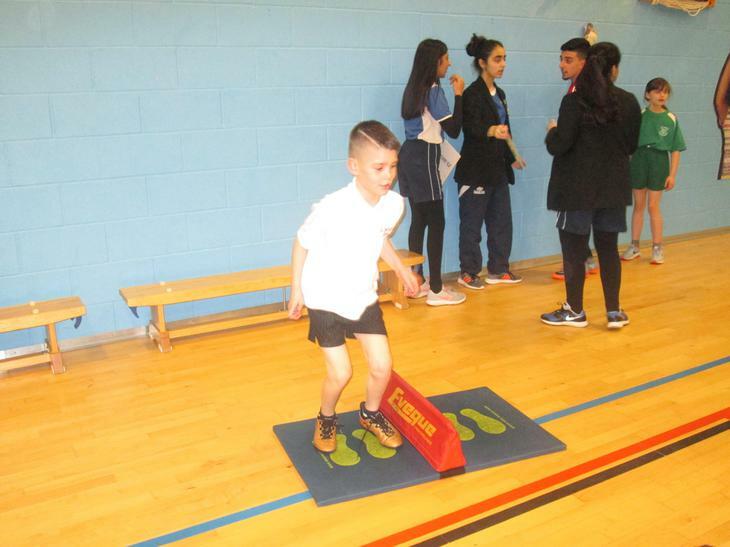 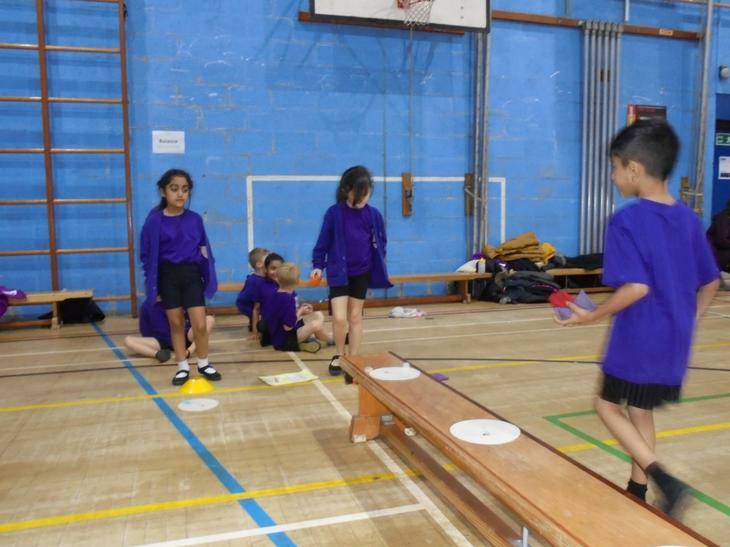 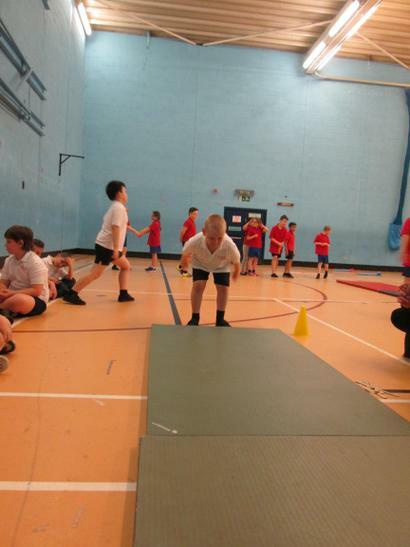 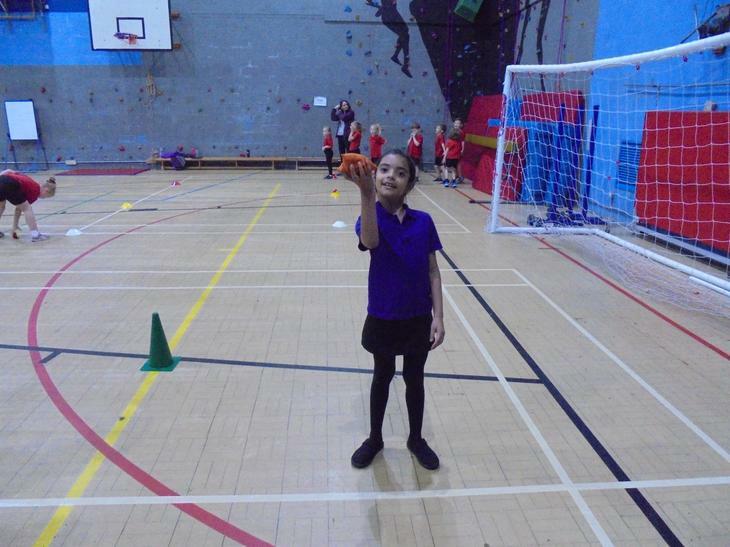 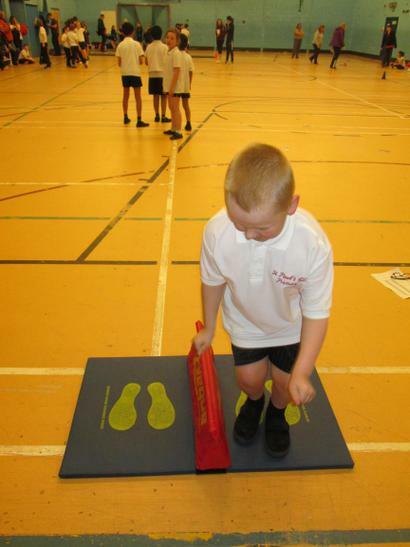 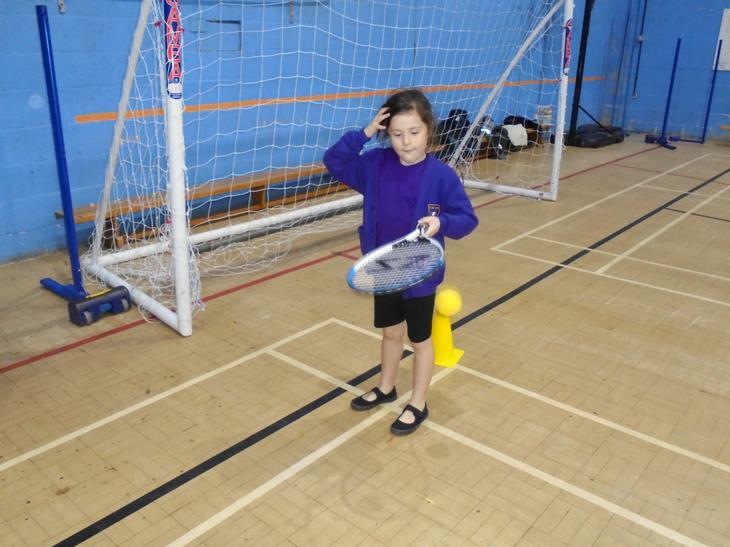 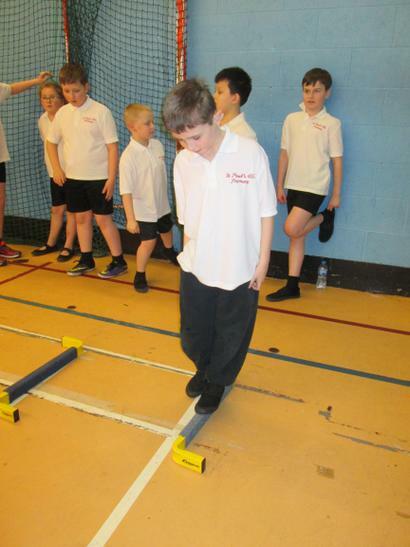 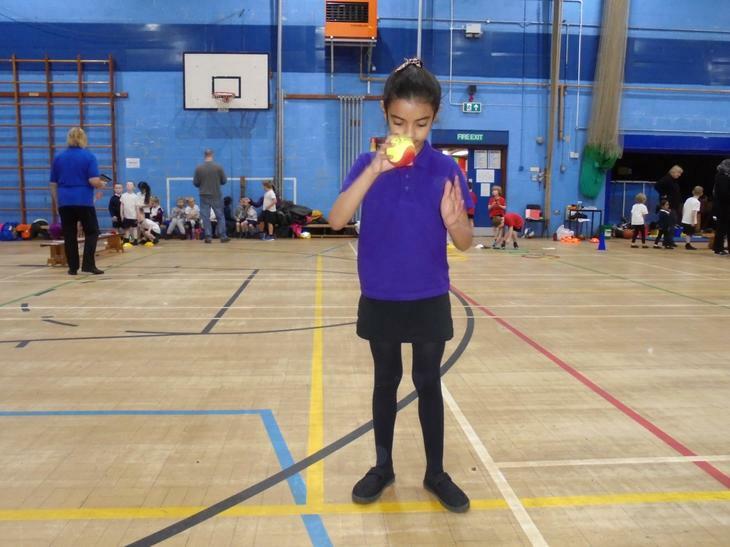 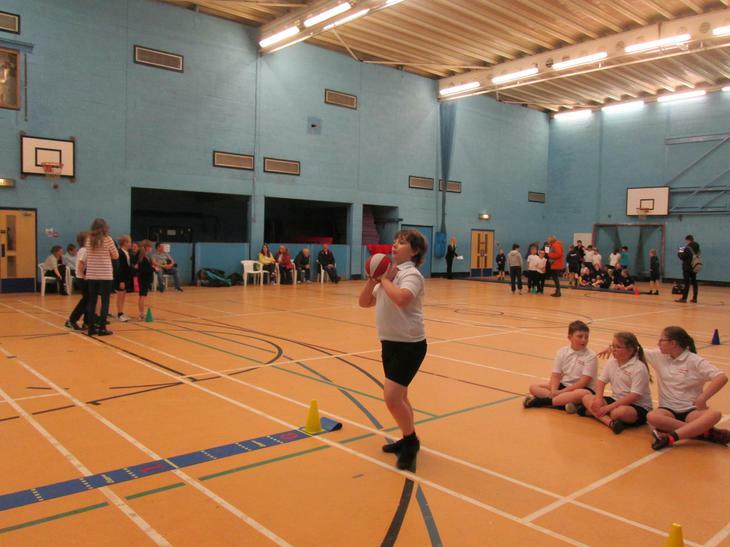 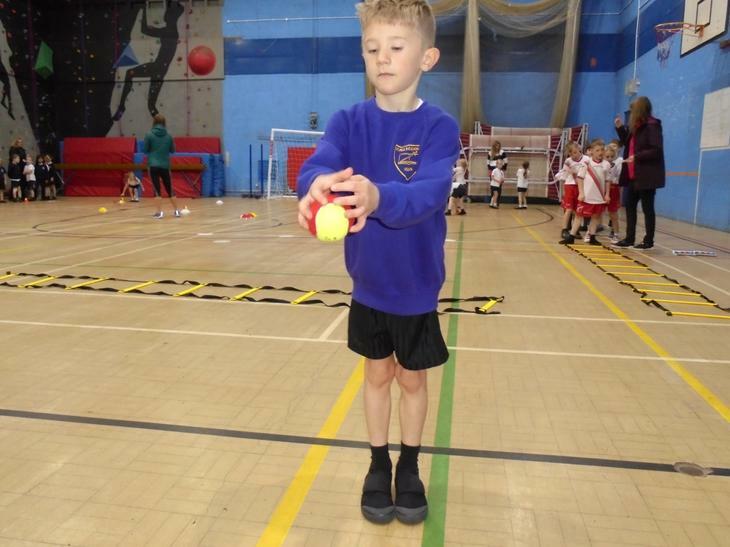 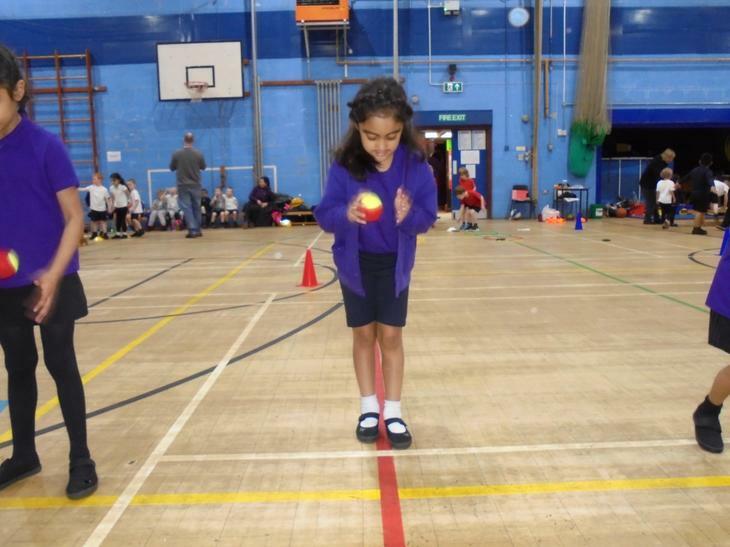 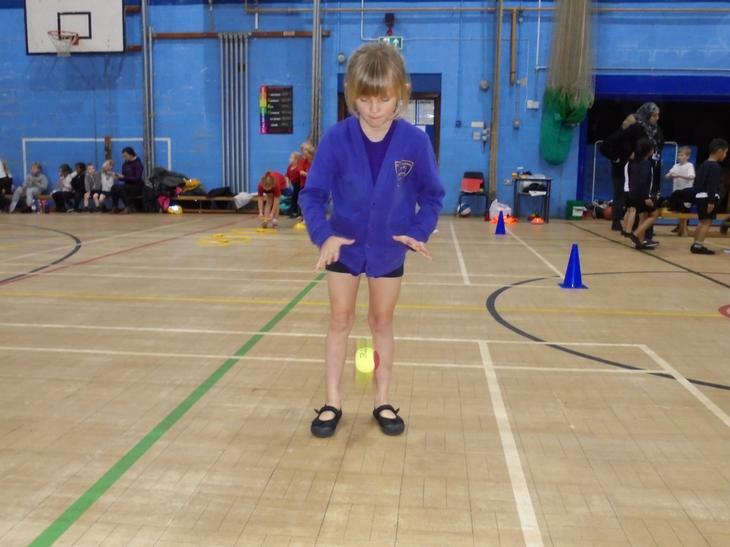 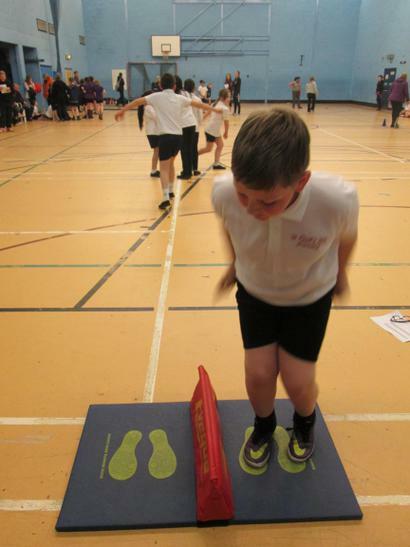 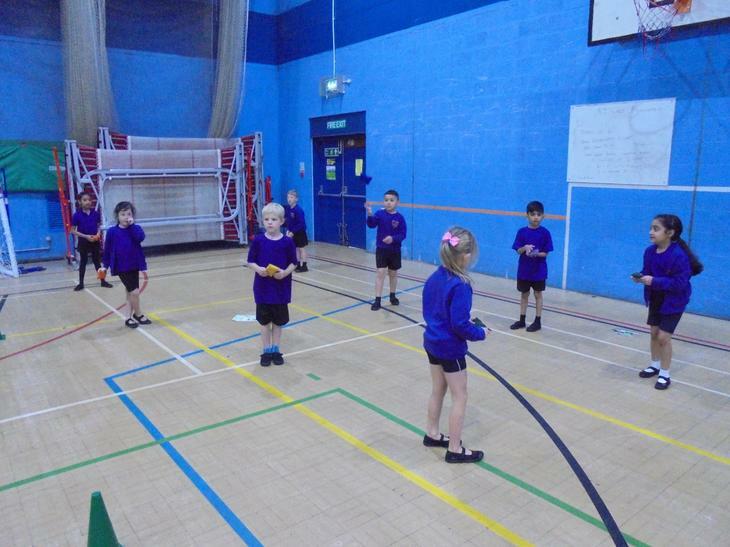 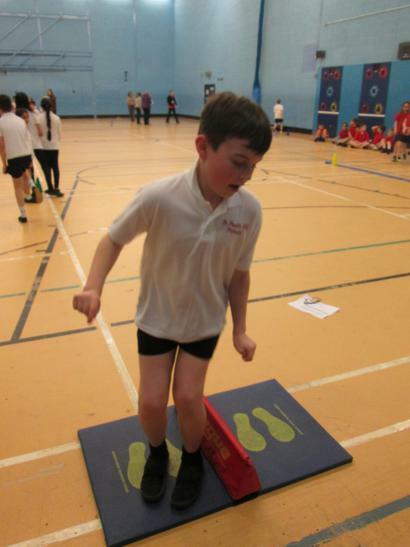 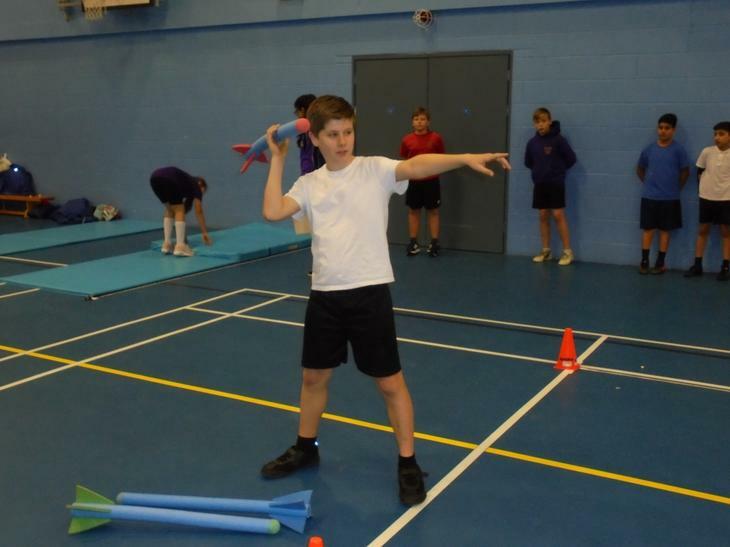 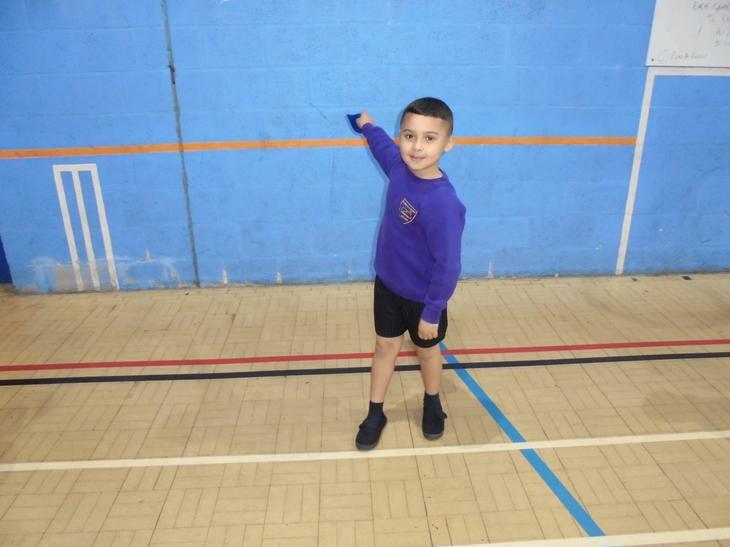 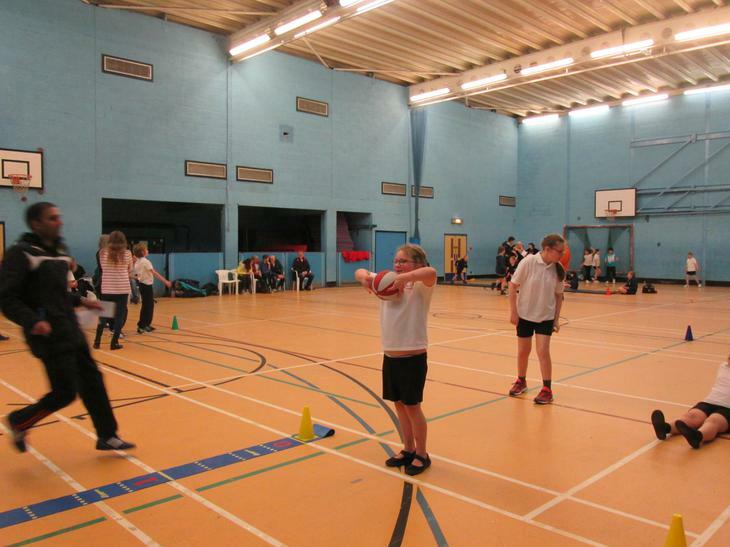 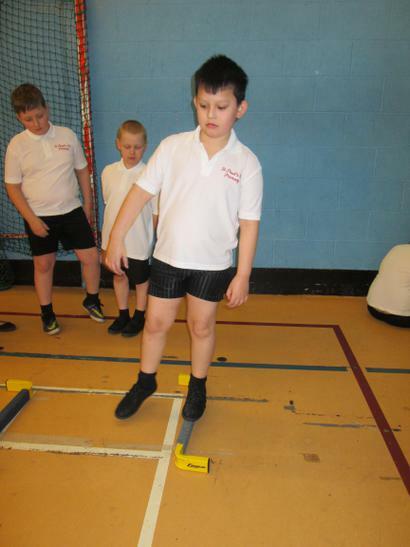 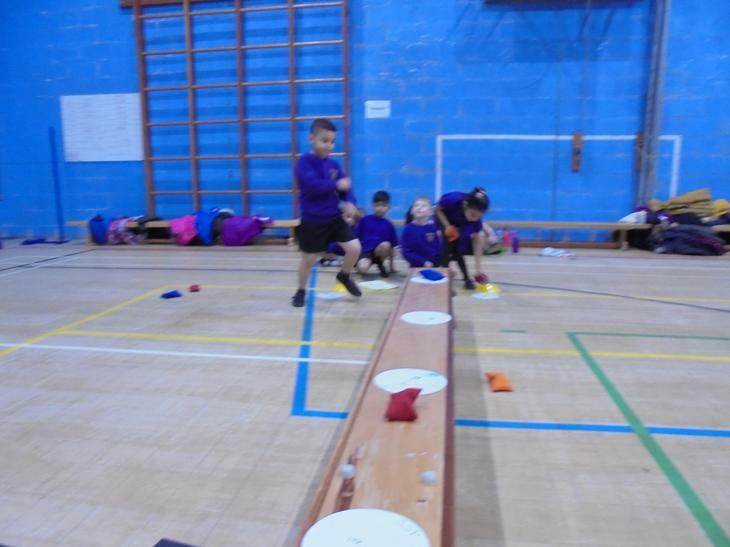 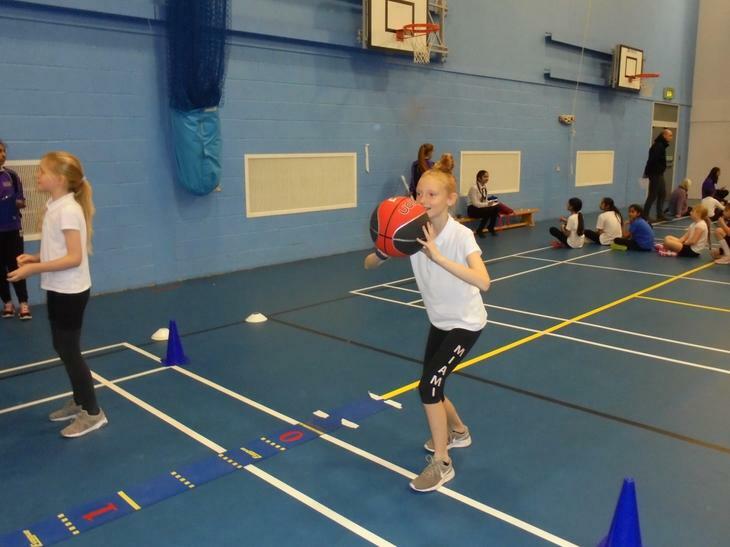 Key Stage One have had the opportunity to go to two events, these included Multi Skills and Orienteering. 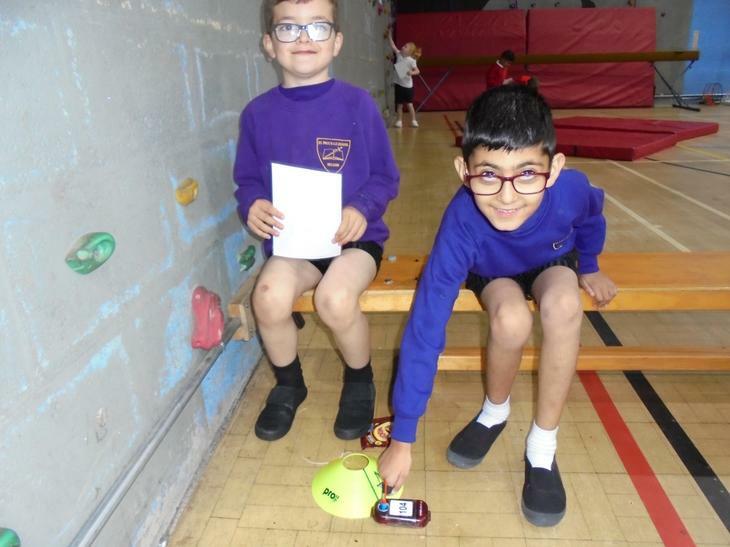 Children had an excellent time reading maps and using the newest technology to negotiate themselves around a space, finding items and clues along the way. 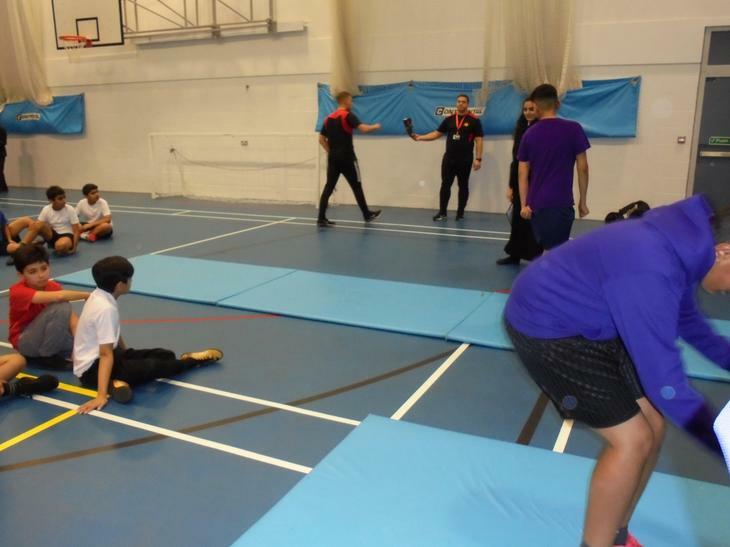 The event saw them demonstrating some excellent communication skills. 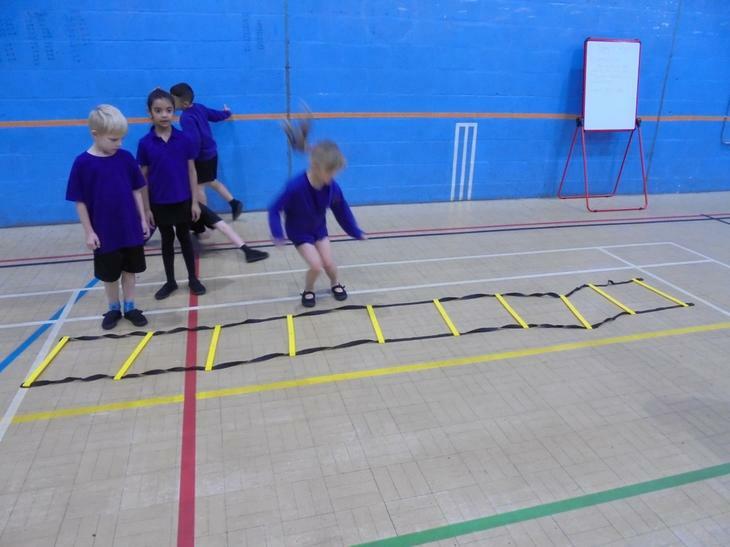 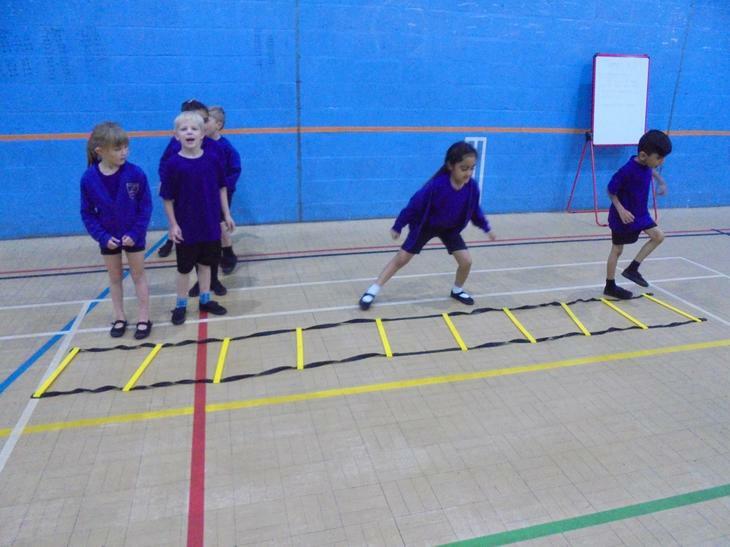 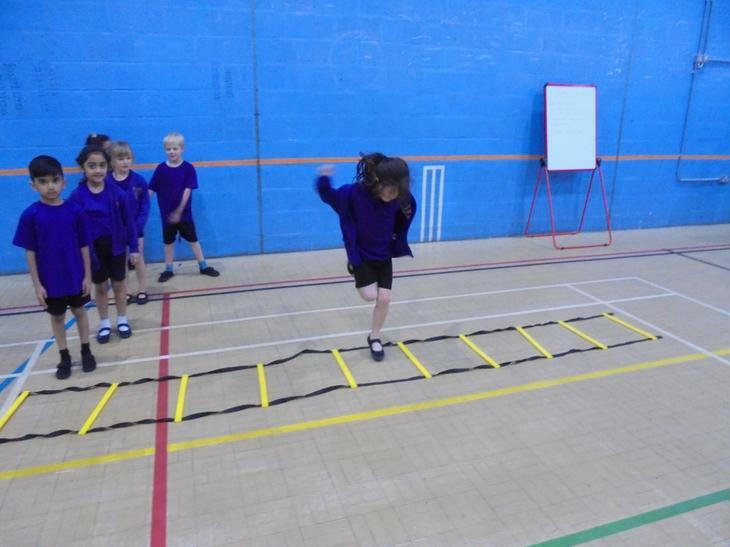 The Multi Skills saw our infants practicing all basic movements and enjoying getting their bodies moving. 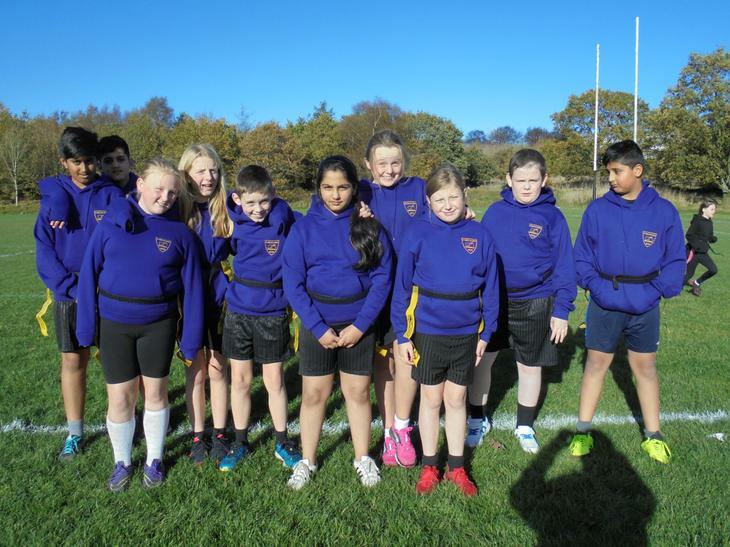 Our older children attended a Tag Rugby event where they all had lots fun, on a thankfully sunny day! 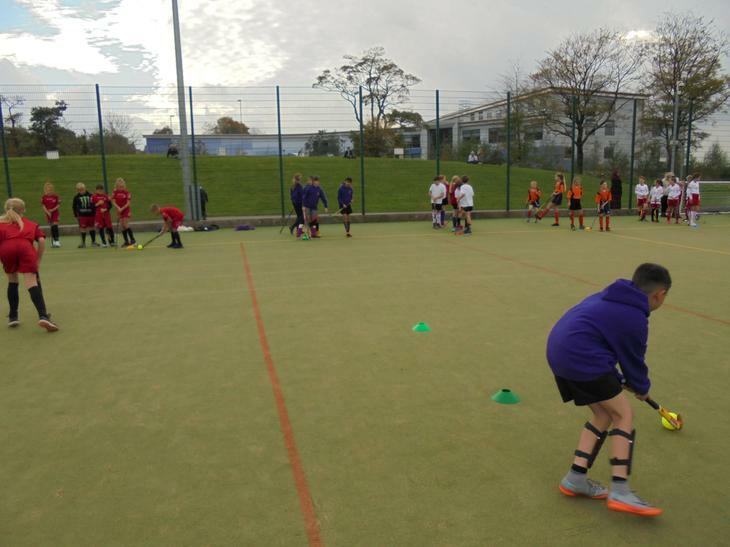 They enjoyed playing on a proper rugby pitch lead by rugby coaches. 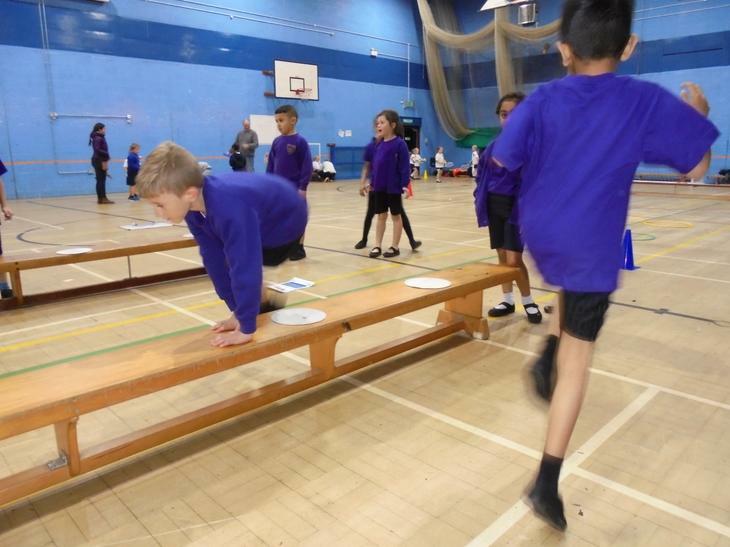 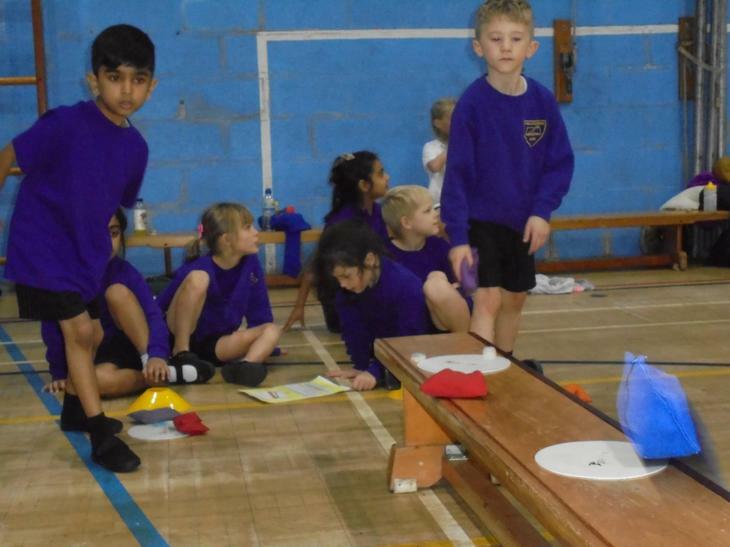 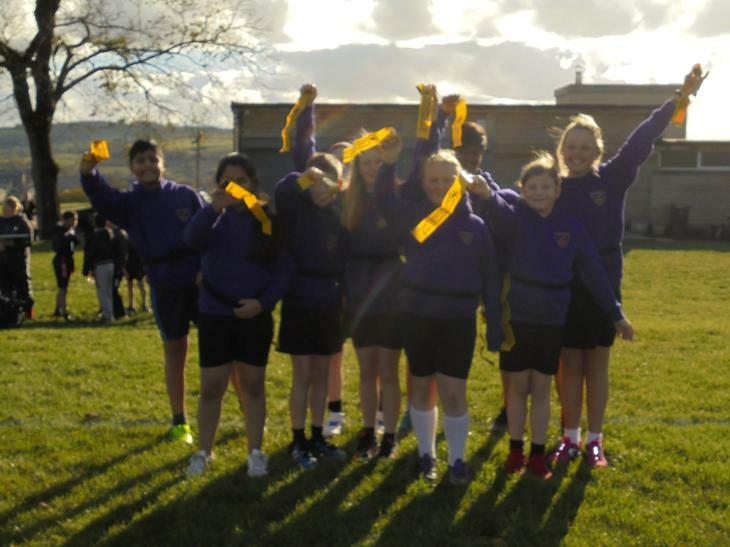 Our Year 5/6 children competed in several athletics events to come top of their cluster and will now go through to the Pendle event where they will compete again to get through to the Lancashire Finals. 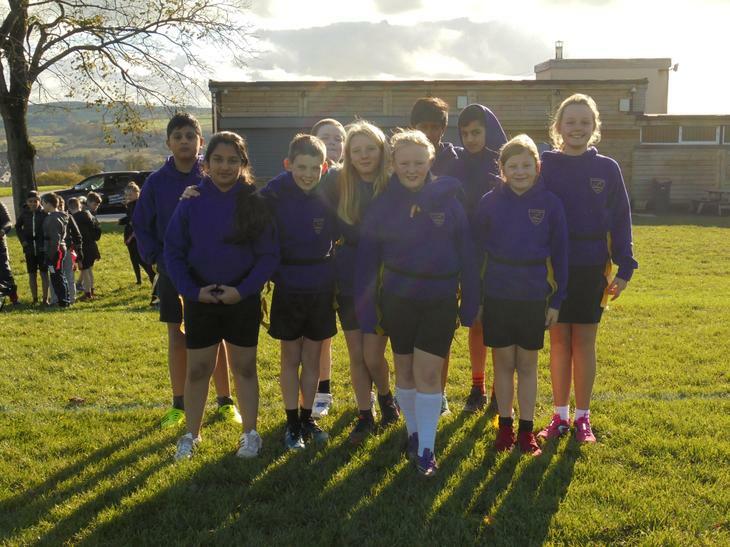 Our Girls Football team played really well and narrowly missed out on getting through to the Danone finals. 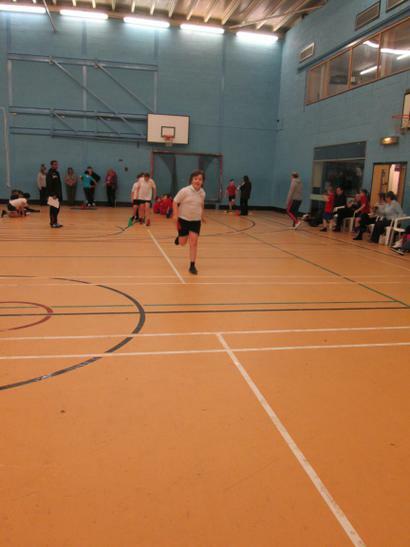 Congratulations to the Mixed Football team who are through to the Danone Cup Final which will be played in January. 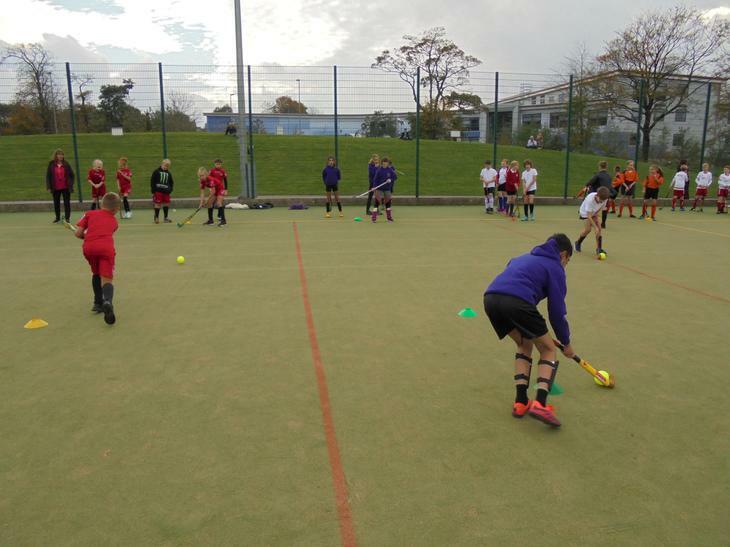 All clubs are going well and are full to capacity. 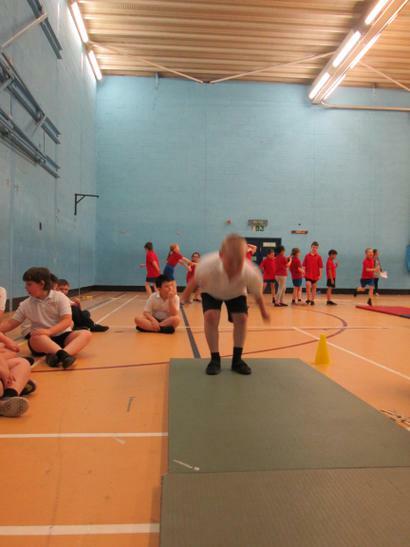 Cross Country is that popular we have had to rope in extra staff. 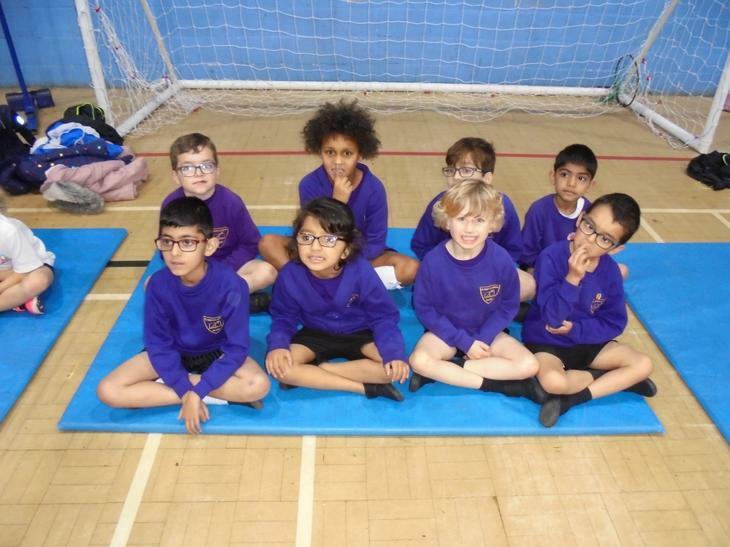 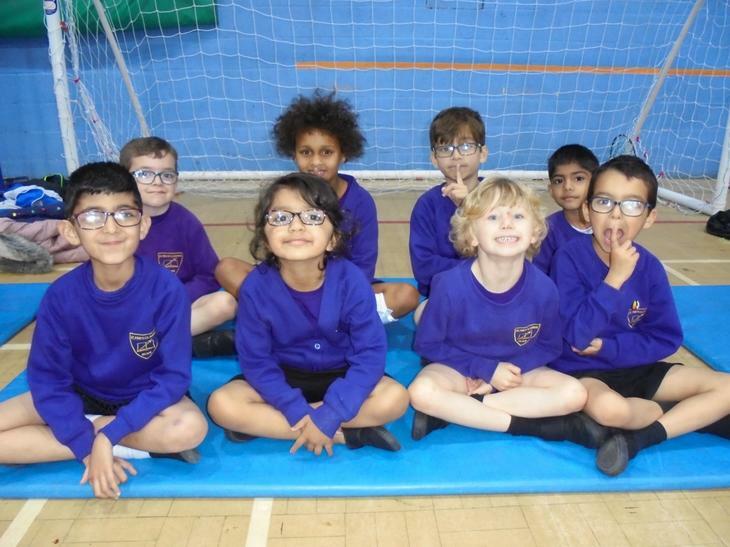 This term children have enjoyed new clubs; Yoga, Active Aces and Fitness Club. 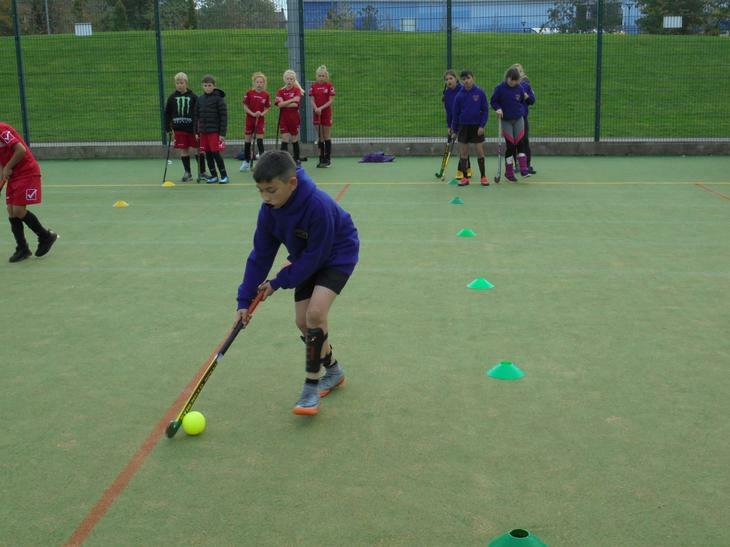 Look out for new clubs starting next term. 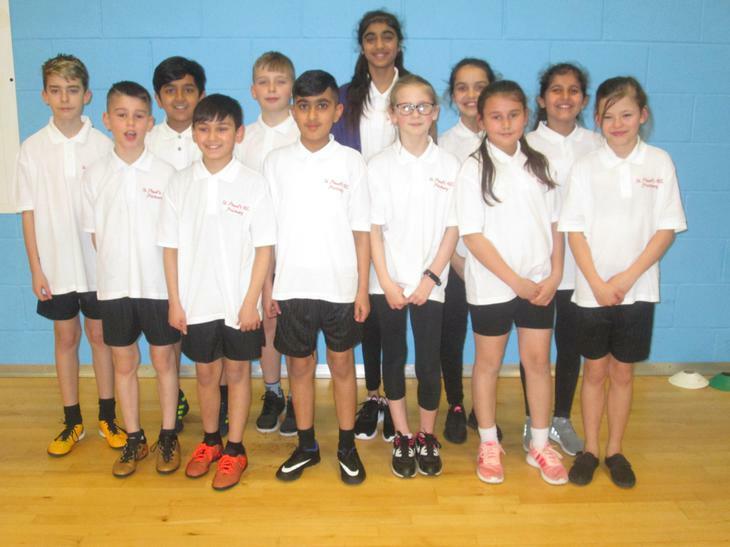 This term has seen the forming of our new 'Sports Council', who will help make decisions about PE and Sport at St.Paul's. 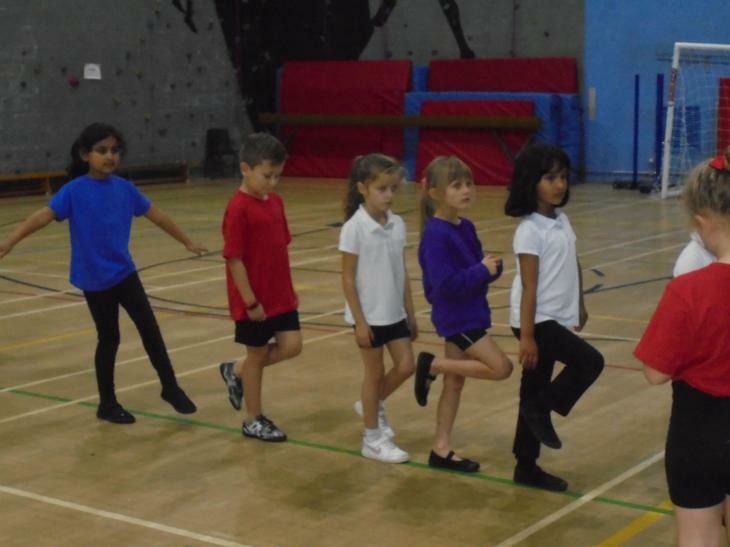 Look out for the new sash badges coming soon. 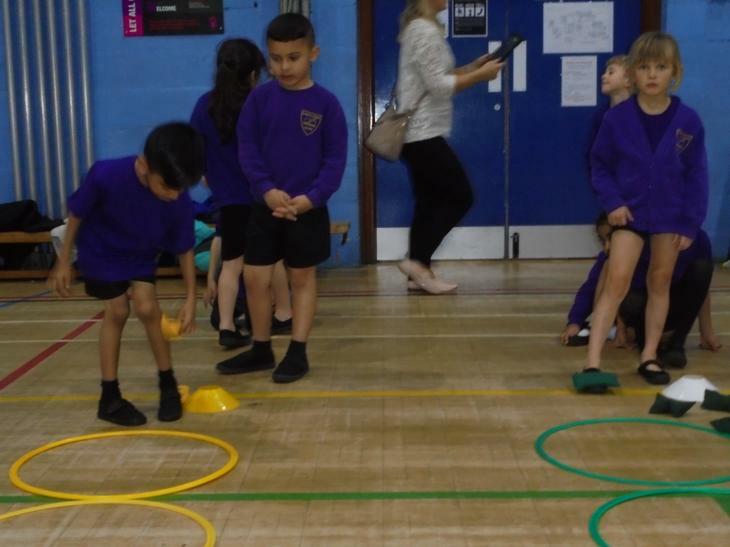 We have embraced the new government initiative which encourages children to do 30 minutes exercise in school and 30 minutes at home each day. 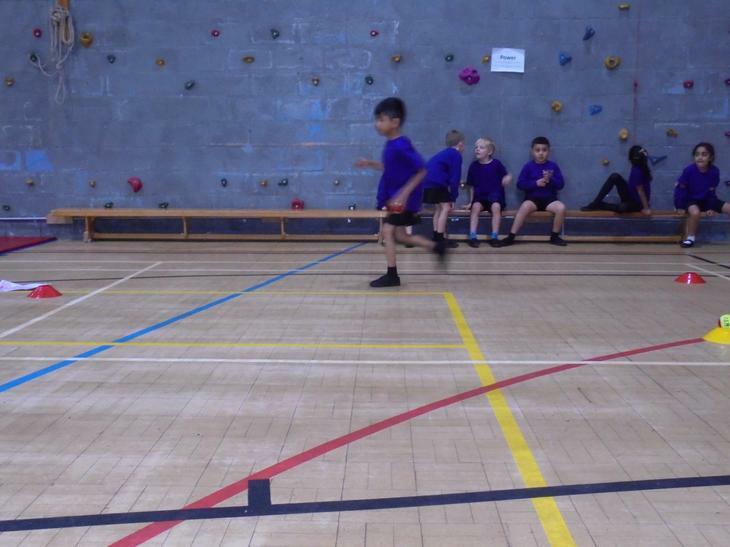 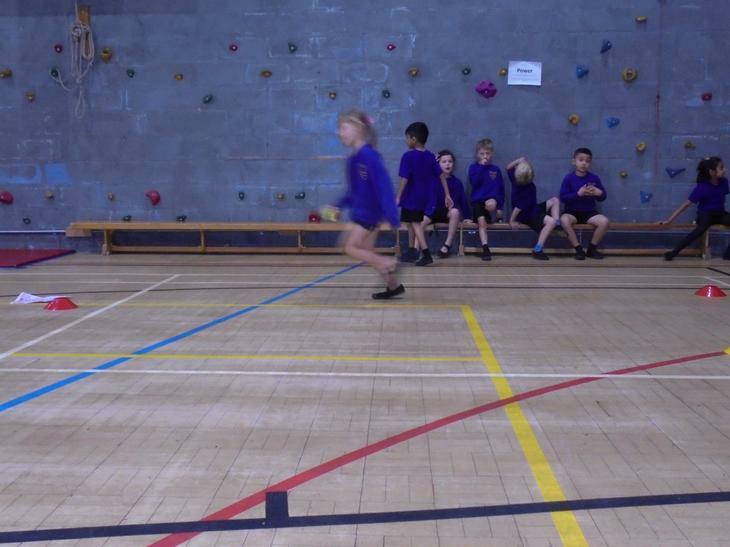 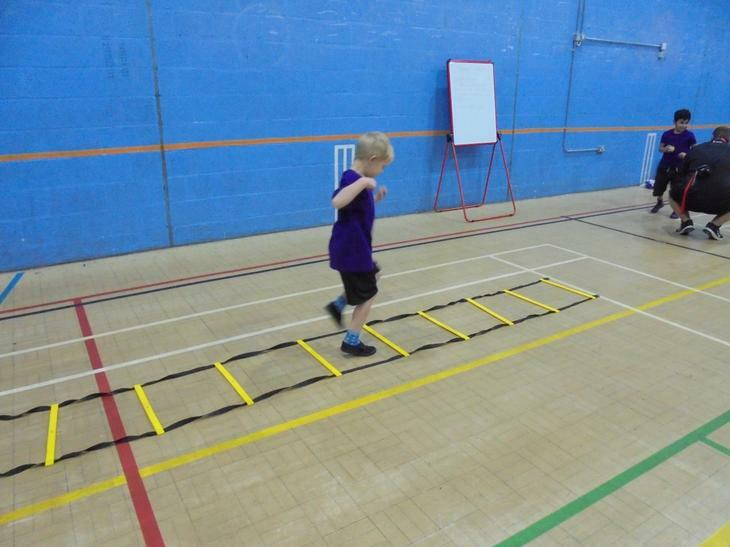 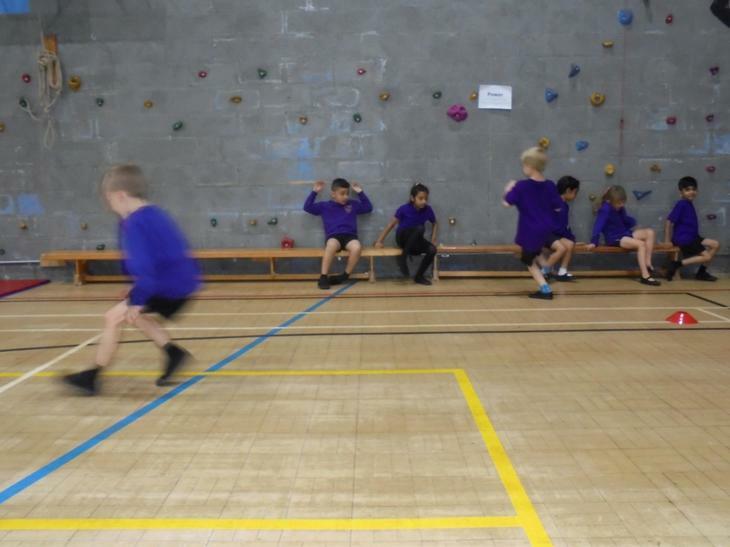 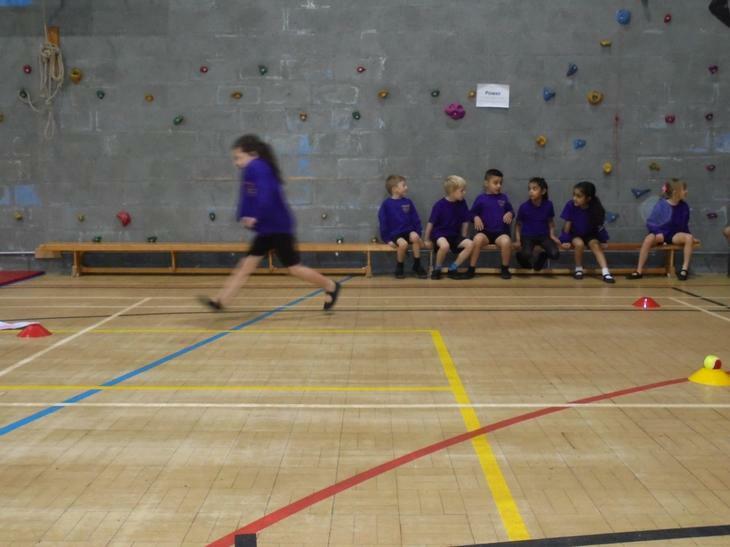 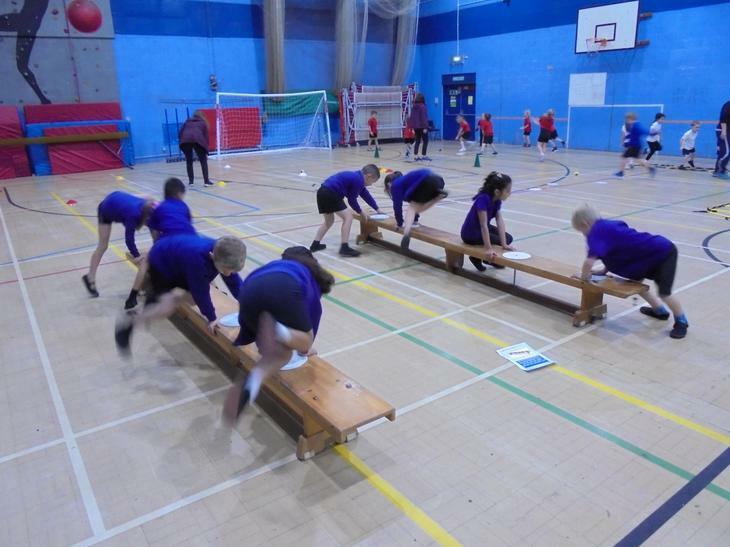 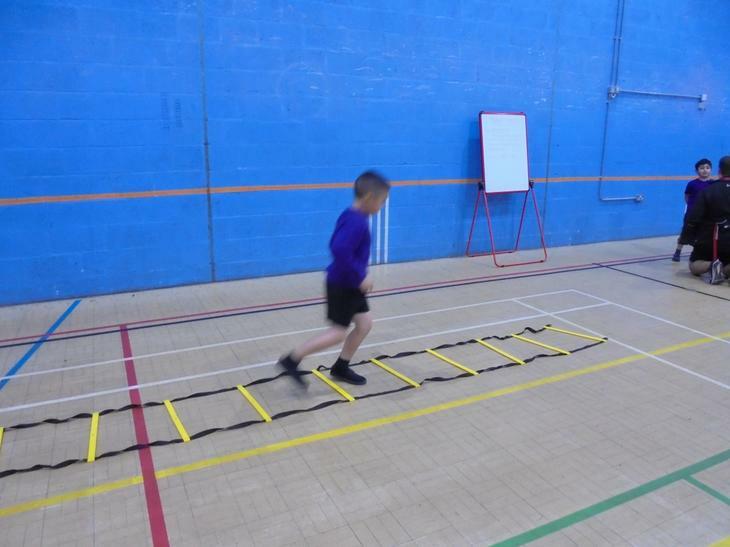 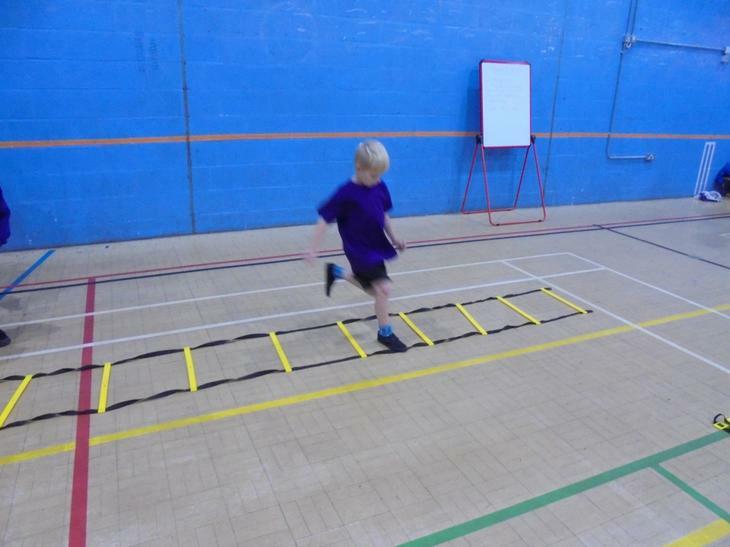 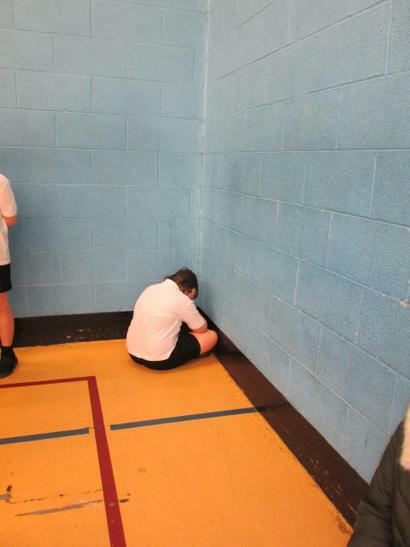 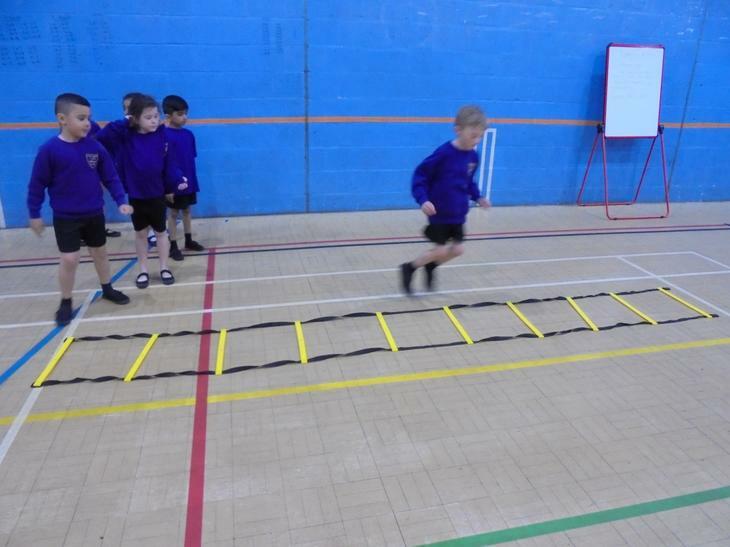 Children have been stopping for regular exercise breaks between lessons and even going on runs. 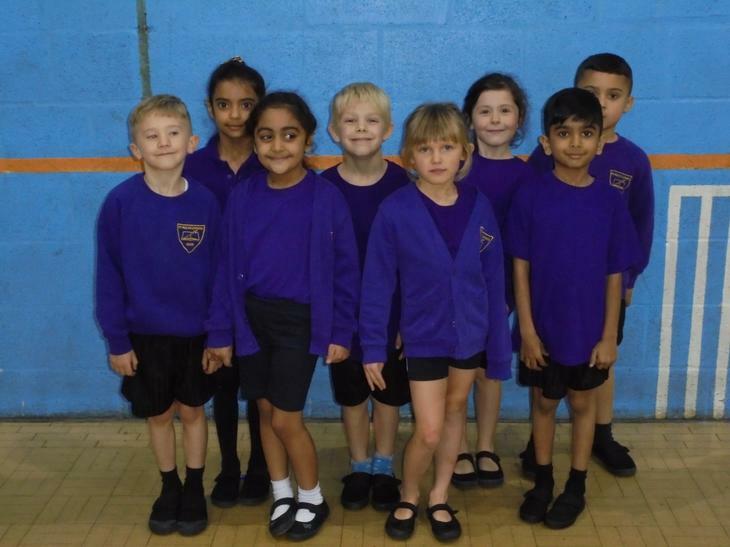 Look out for our new playground leaders. 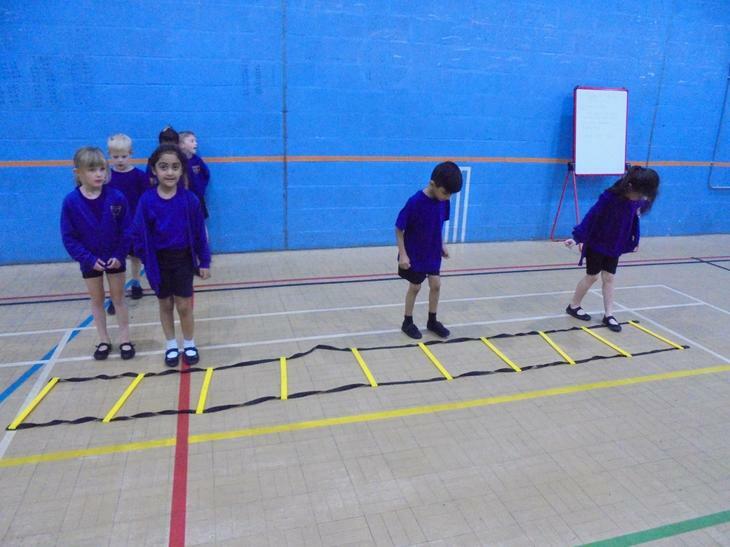 They will be working hard on the Year One and Reception Class yards at lunchtimes. 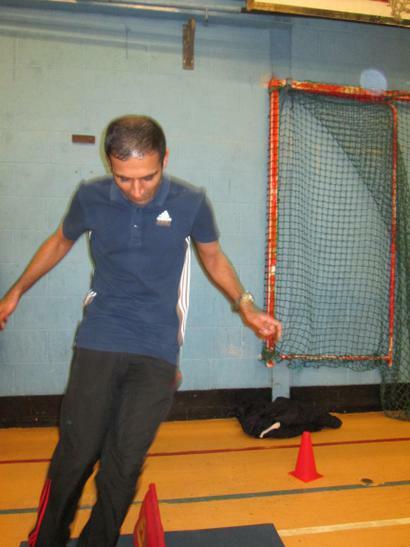 Their job is to play games with the children and encourage them to play together. 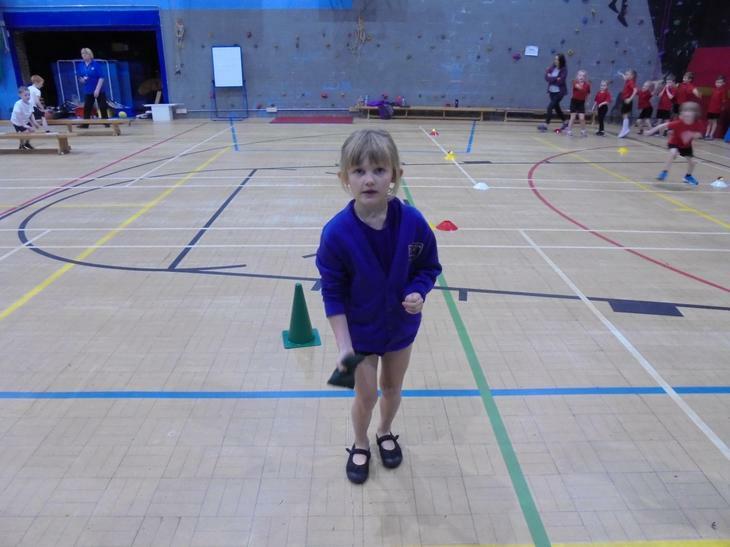 Well Done to Year 3 & 4 for competing in the Pendle Athletics Final! 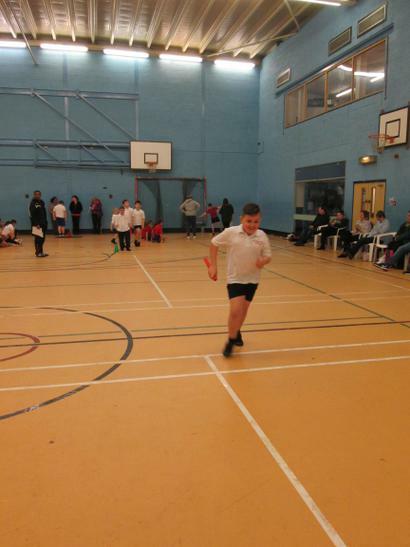 Athletics Final - Well done to those children that competed in the finals this week. 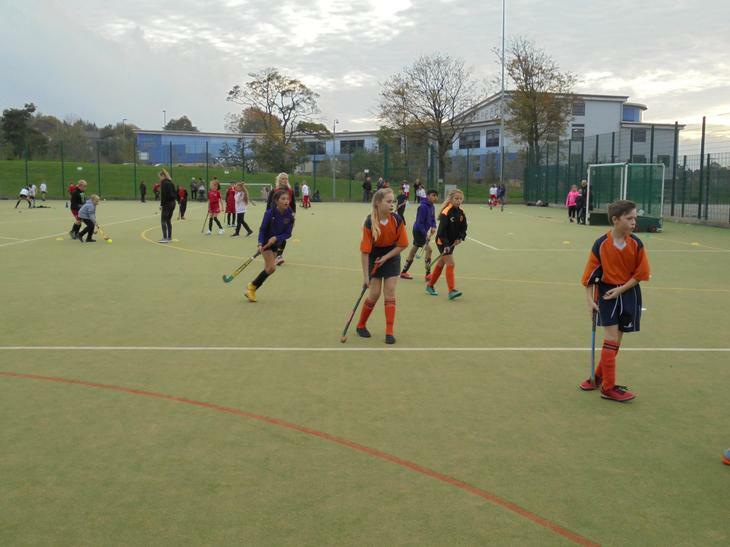 Although we didn't get through to the county finals we are very proud of them all! 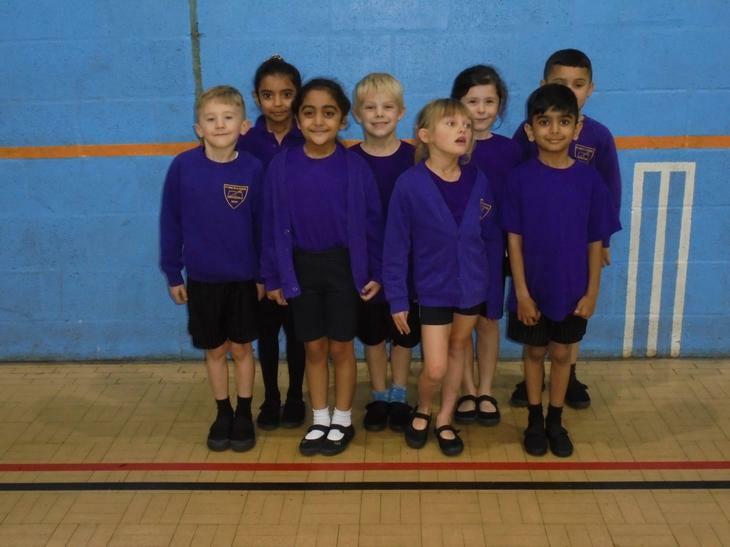 Well Done to the children that represented school at the swimming Gala. 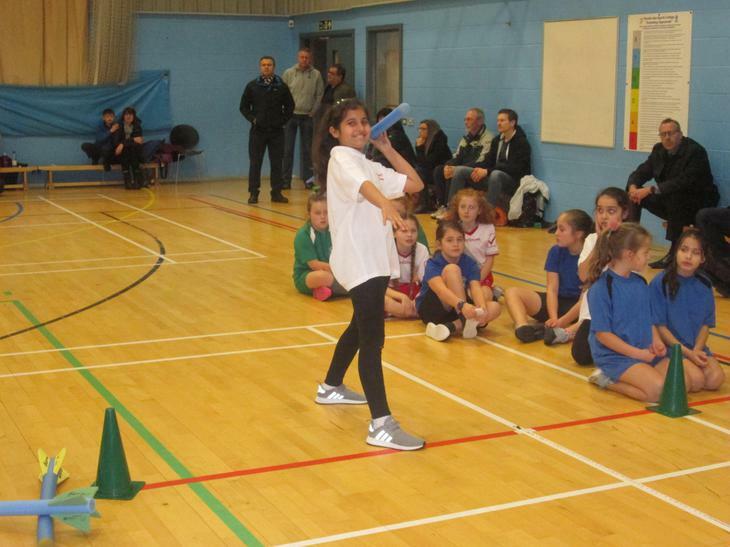 There was some amazing talent on show. 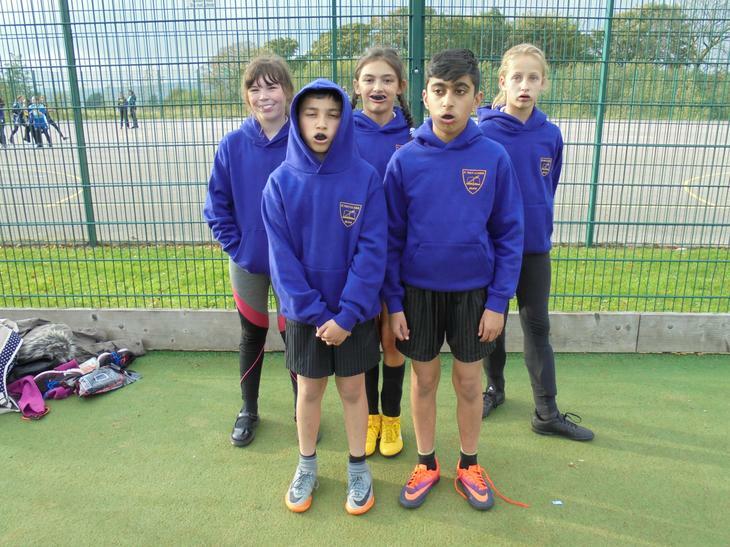 You all showed your best and showed good team spirit. 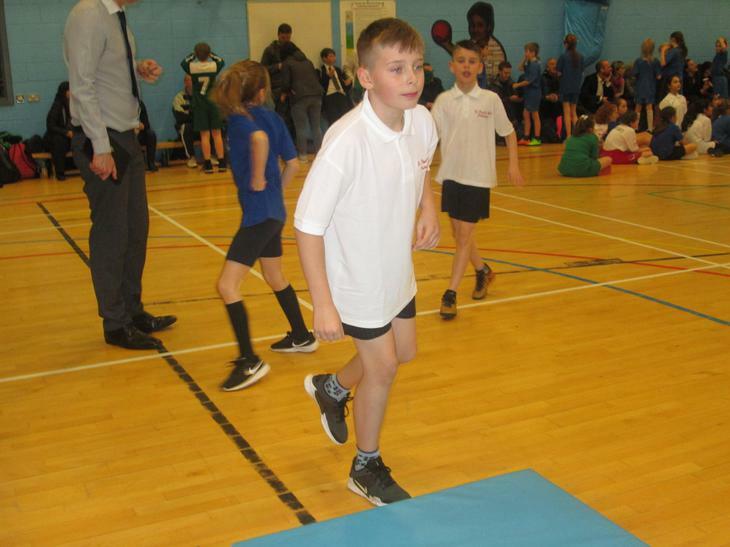 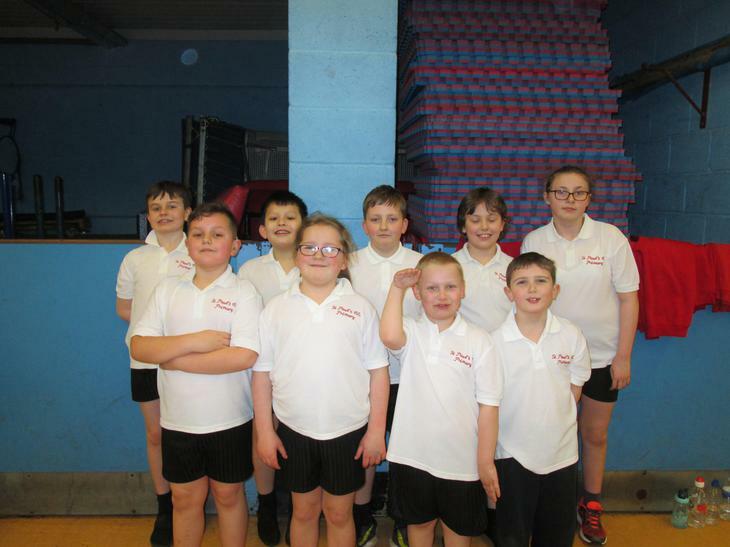 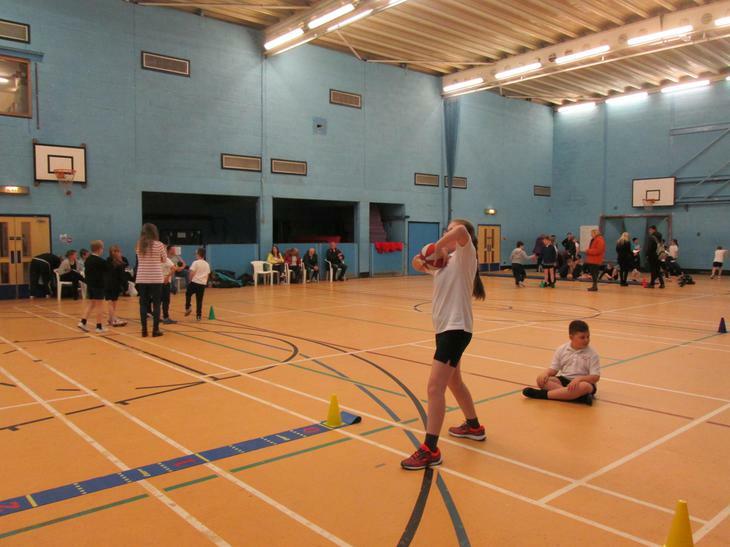 Well Done to the Key Stage 2 children who represented our school at the Athletics Event at Colne Sports Centre this week. 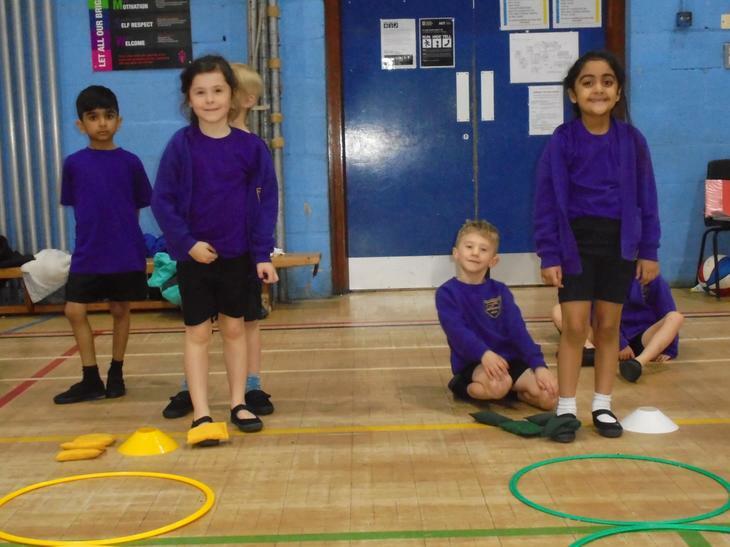 See the pictures below for all the fun they got up to! 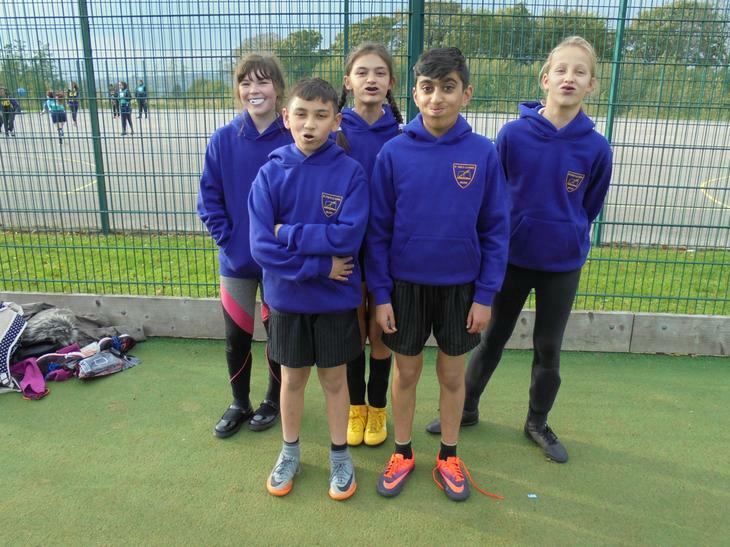 A massive congratulations to our Athletics team, who came third in the Pendle finals. 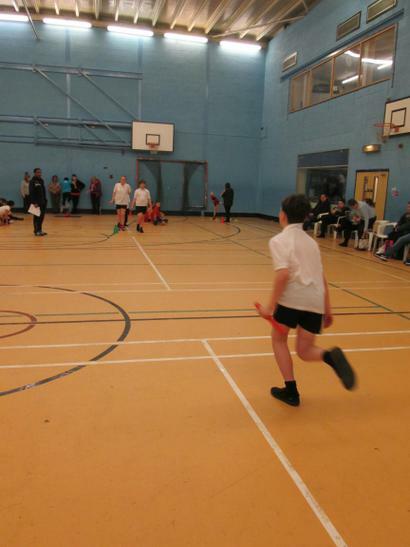 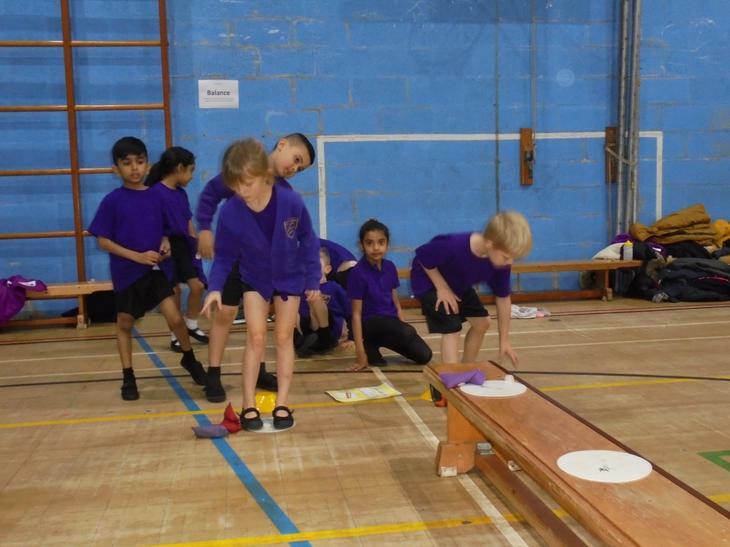 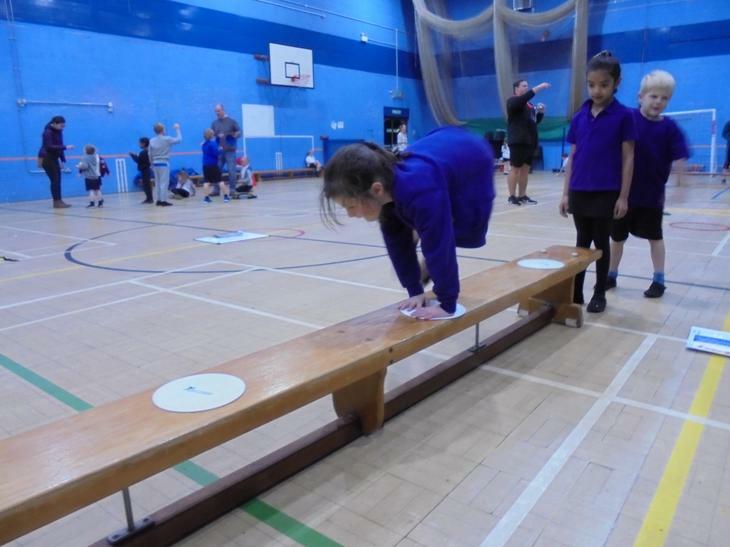 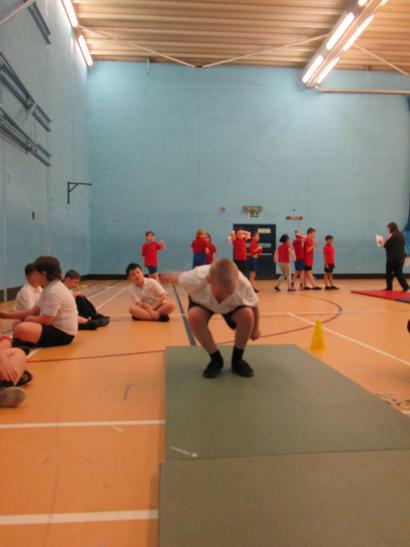 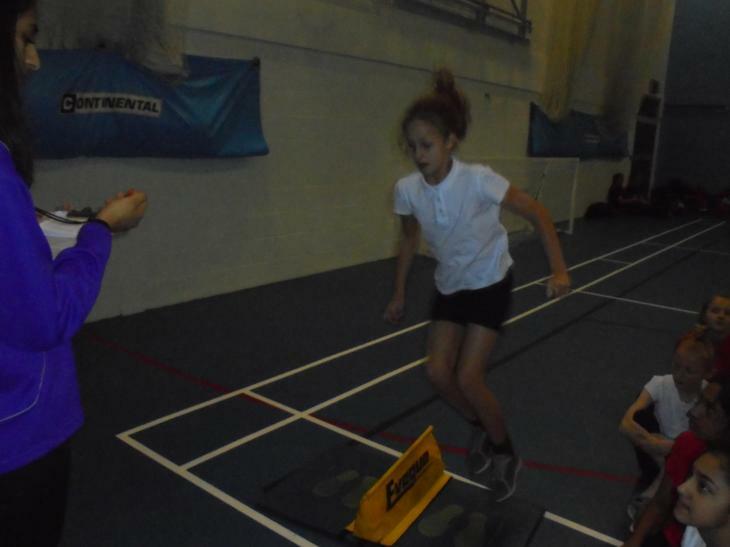 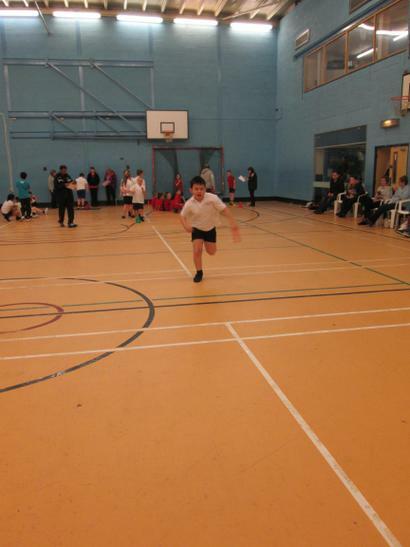 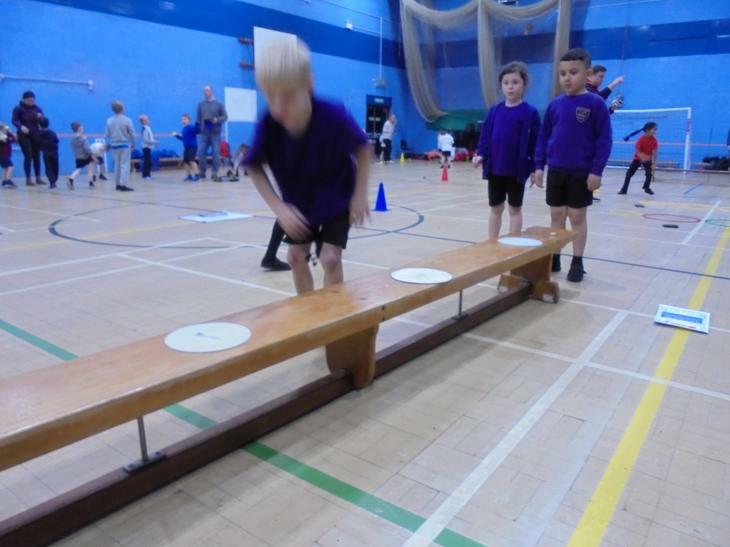 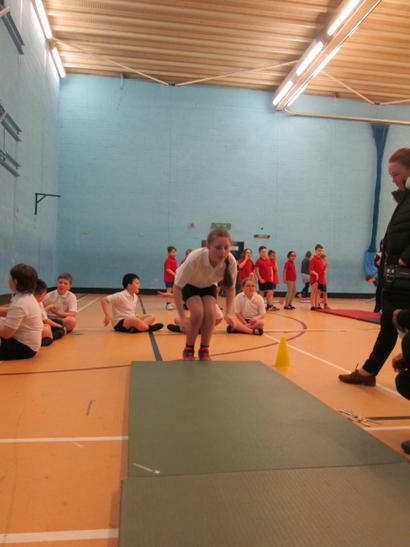 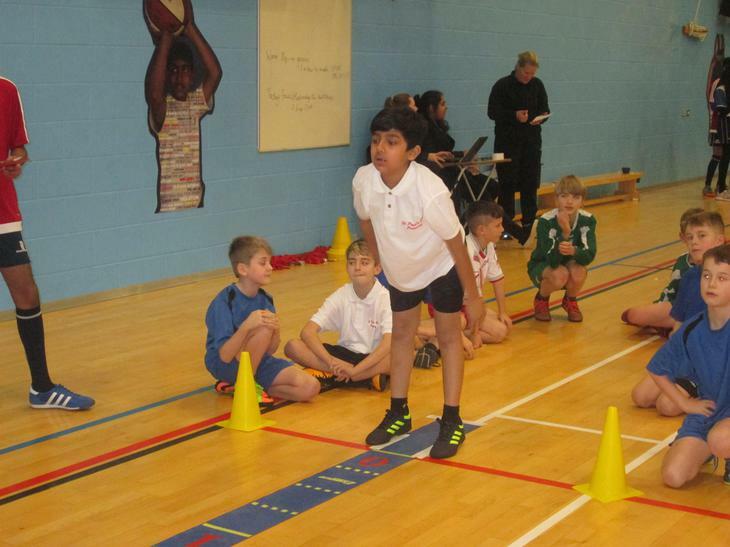 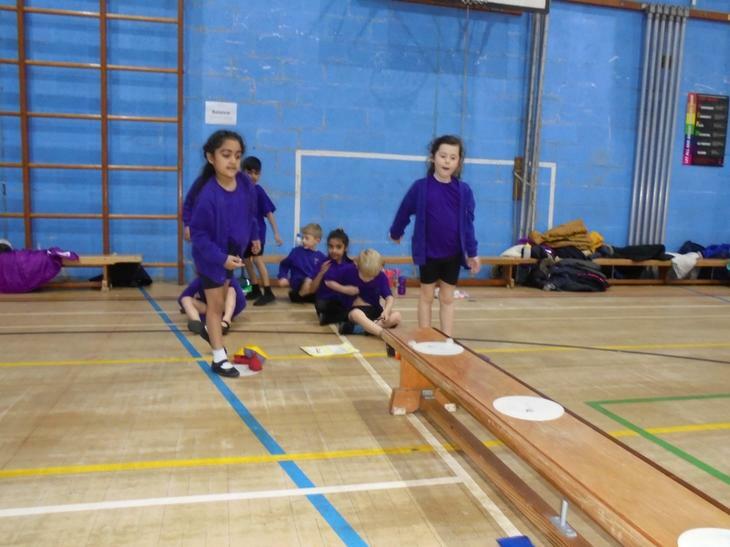 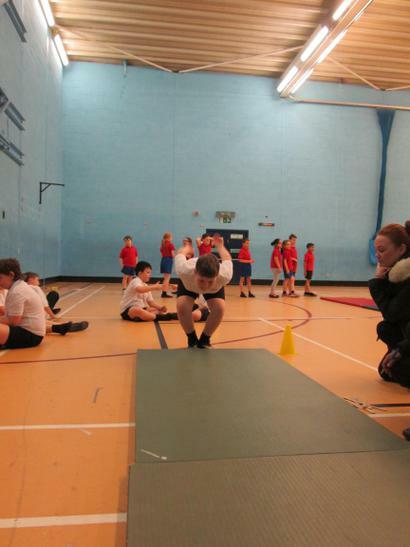 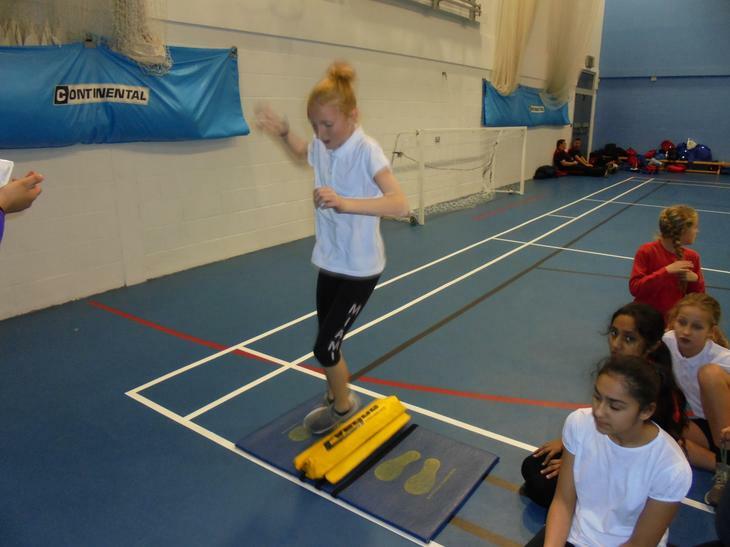 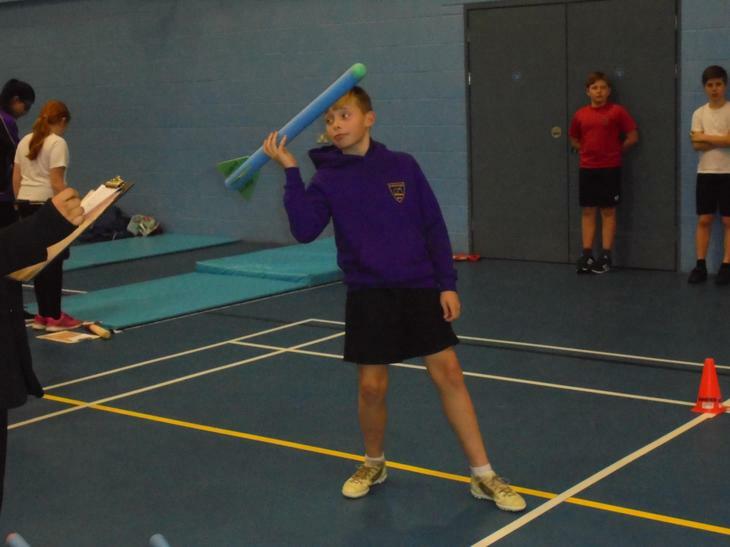 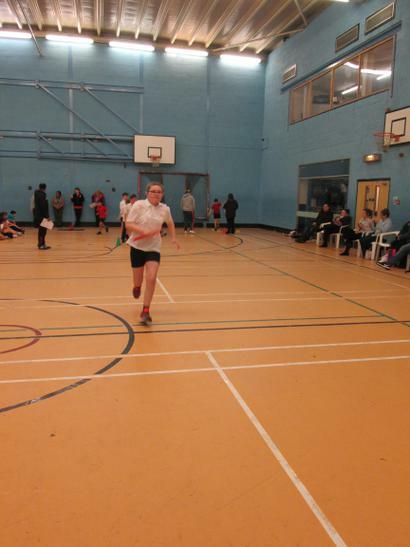 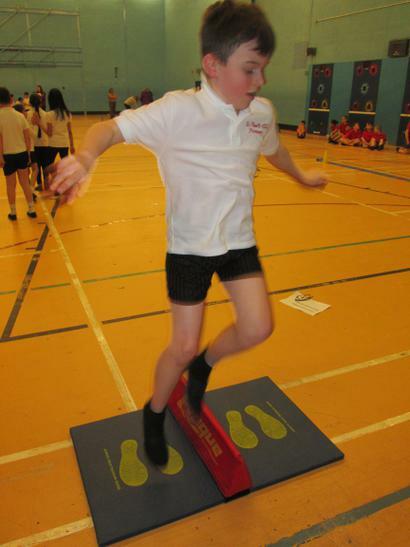 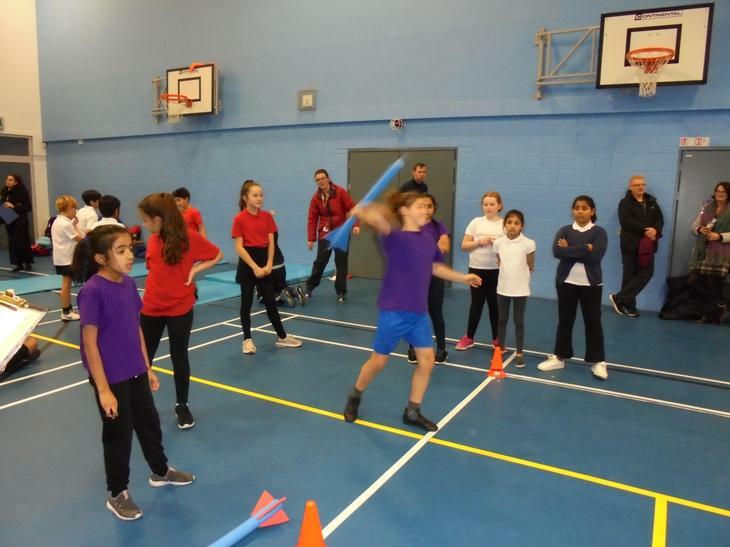 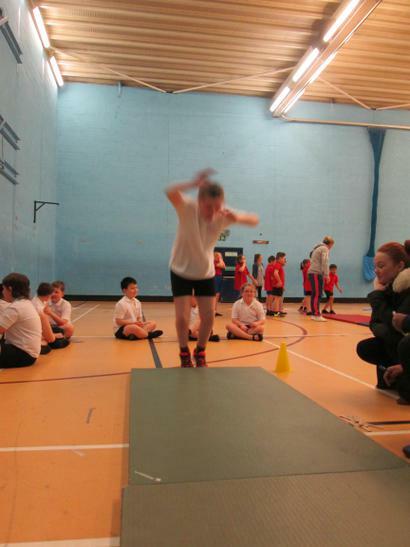 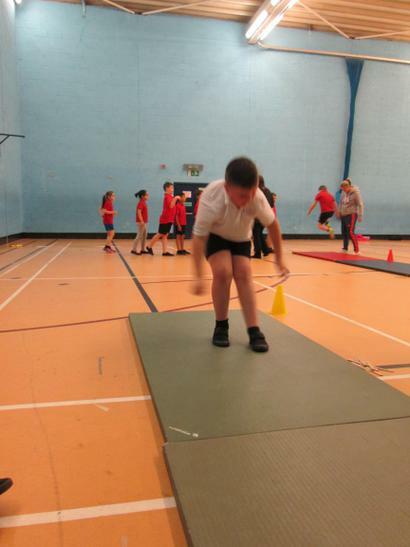 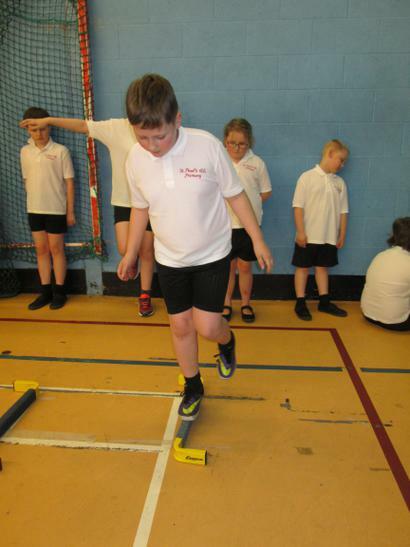 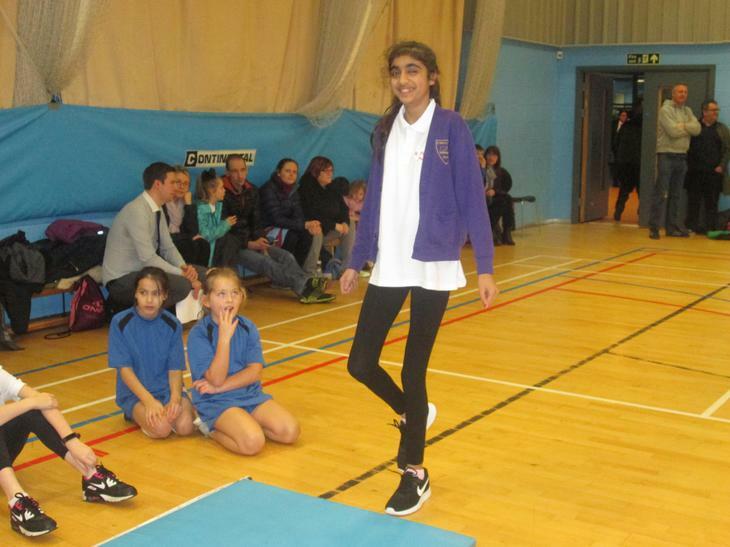 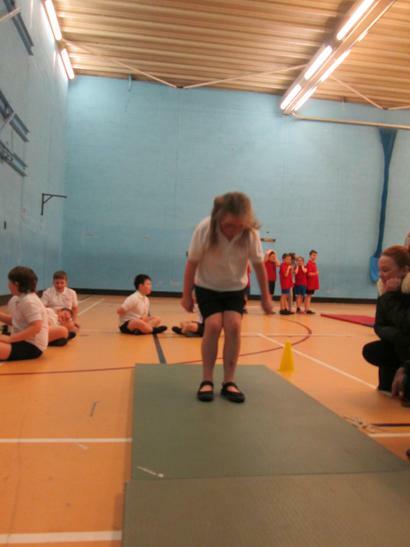 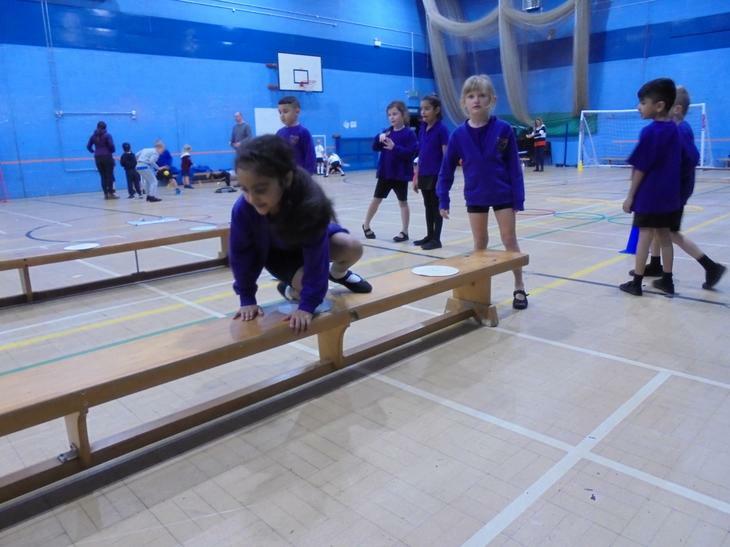 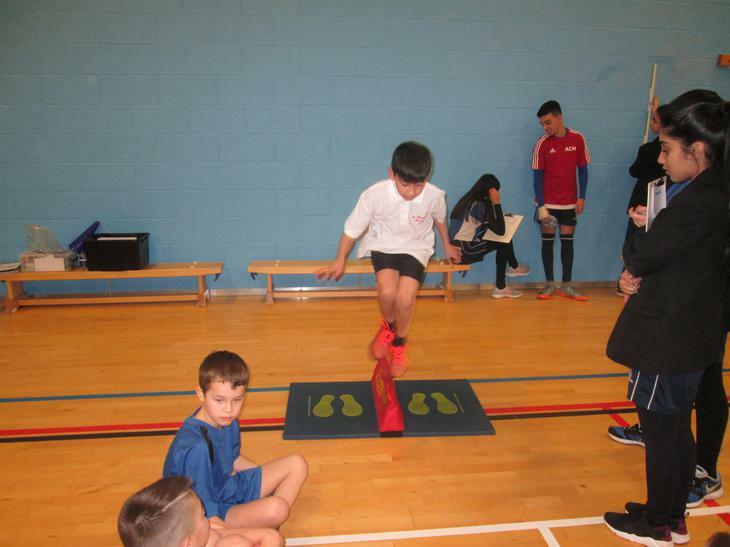 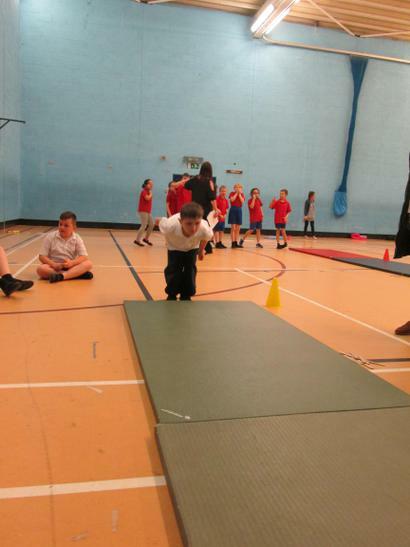 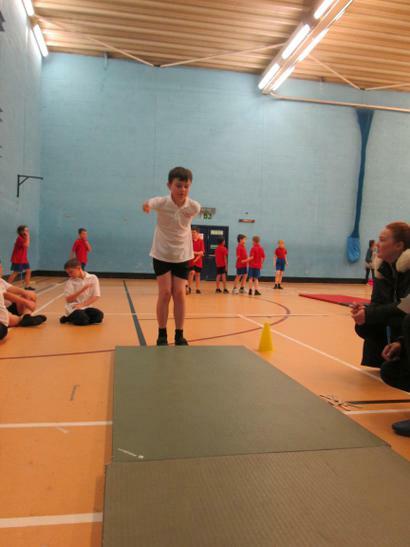 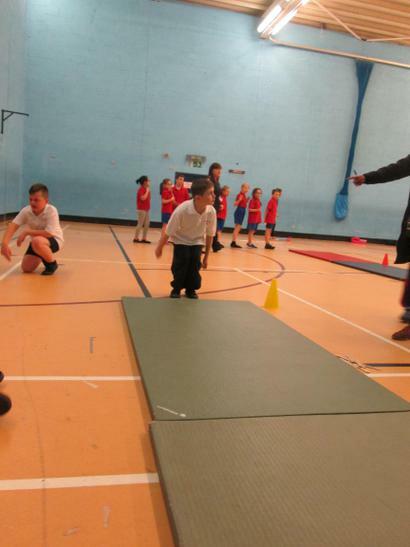 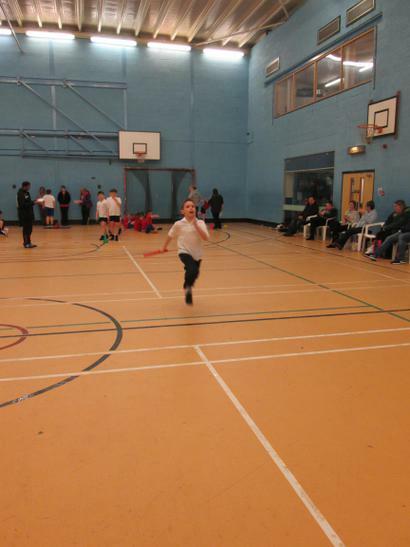 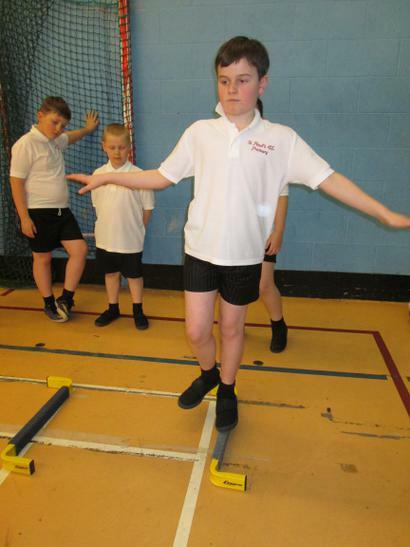 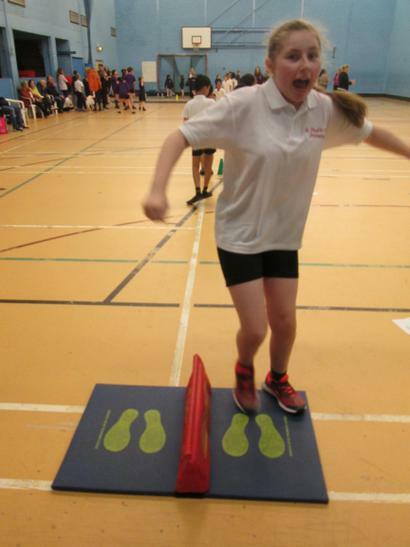 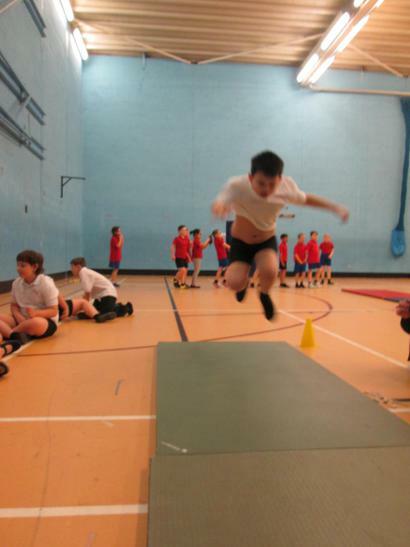 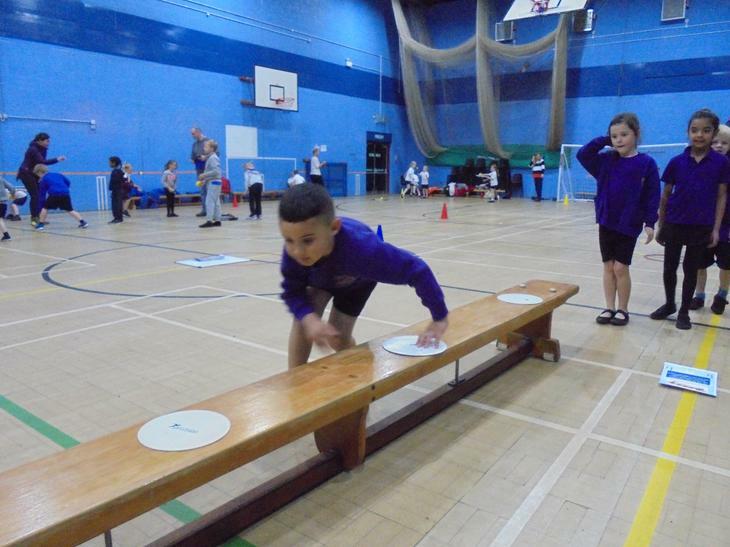 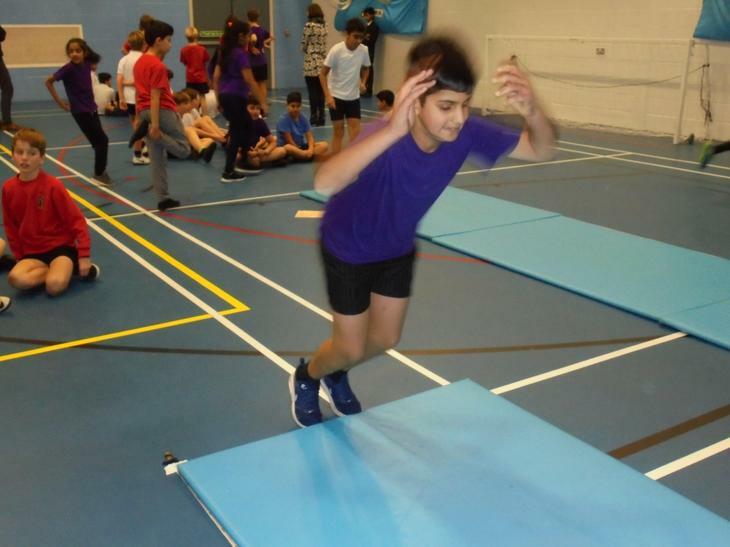 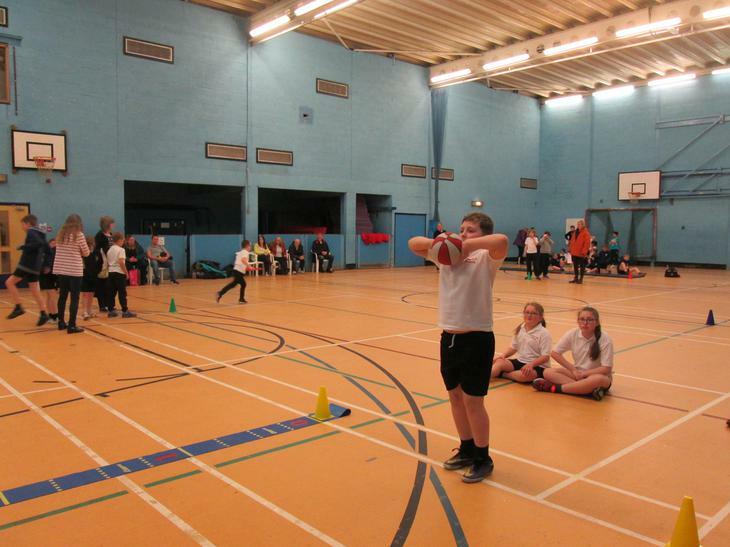 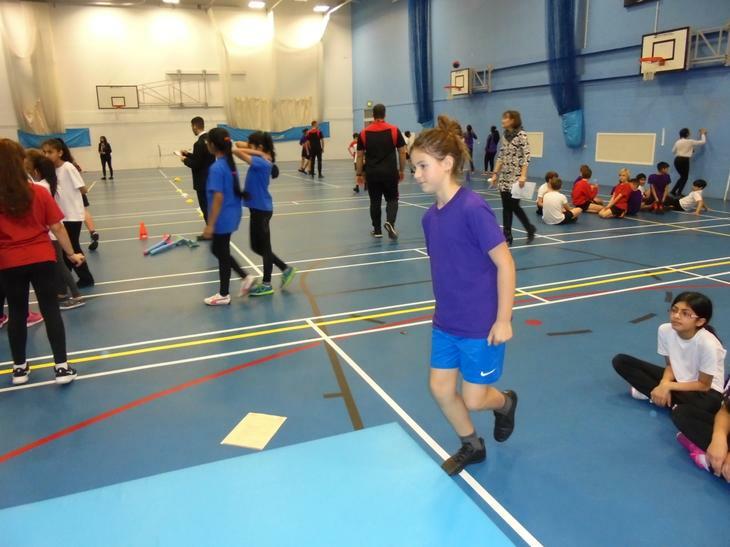 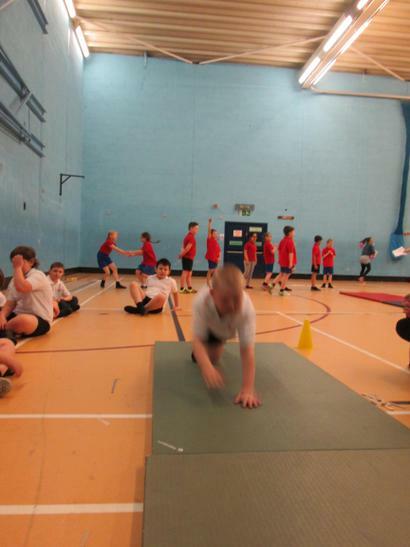 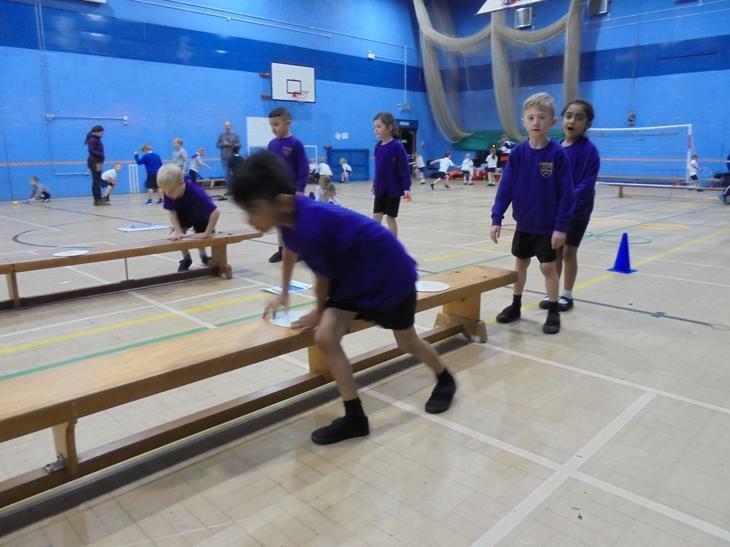 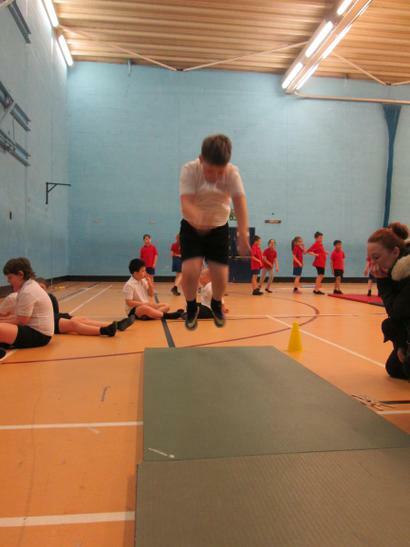 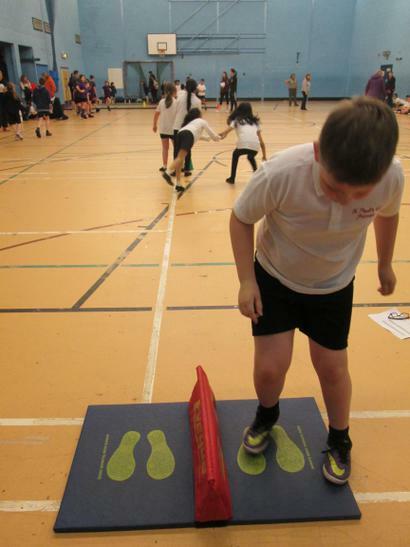 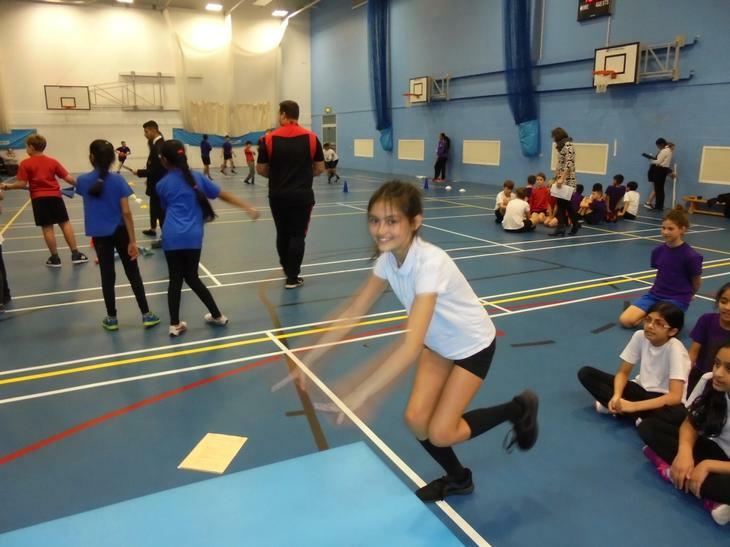 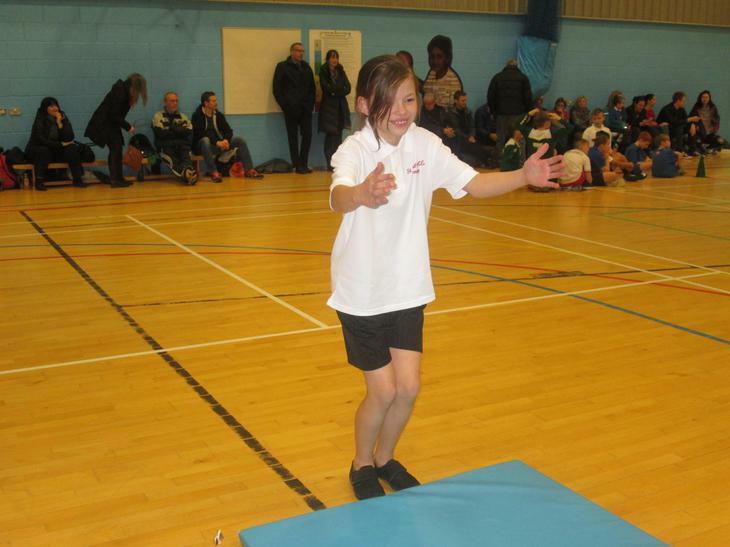 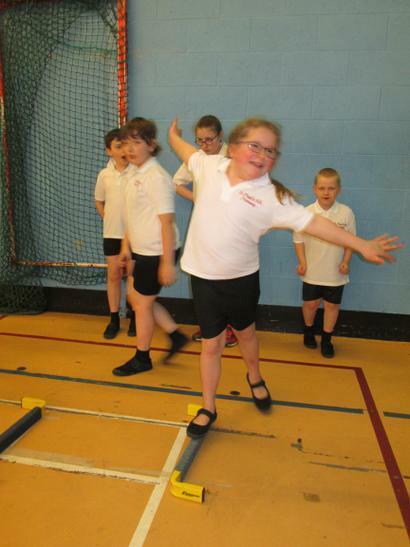 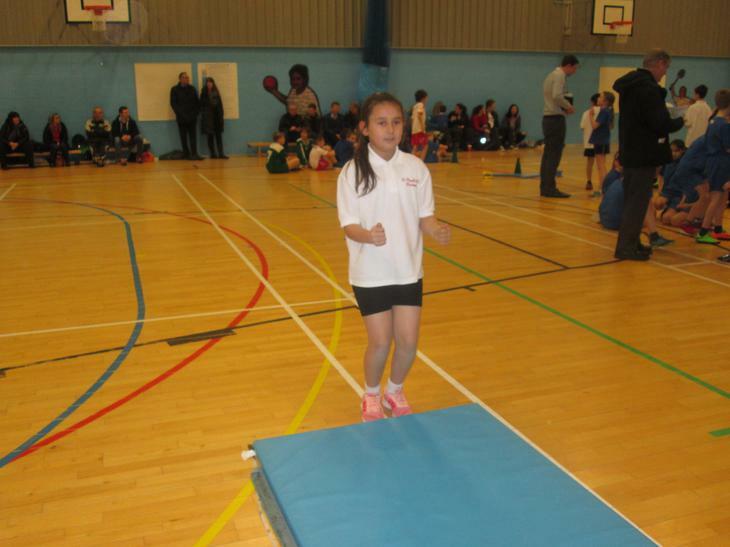 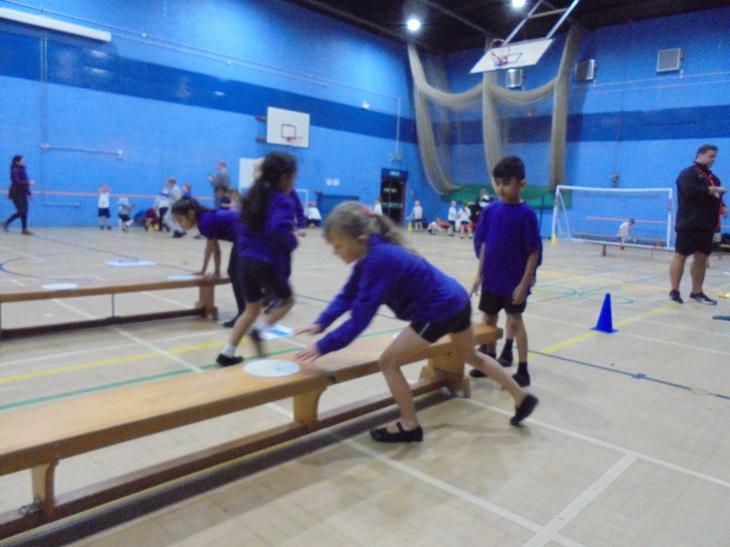 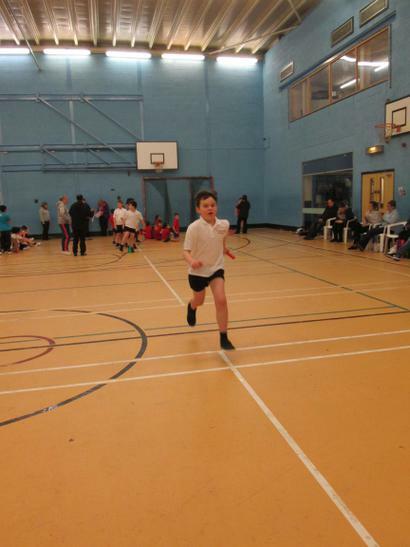 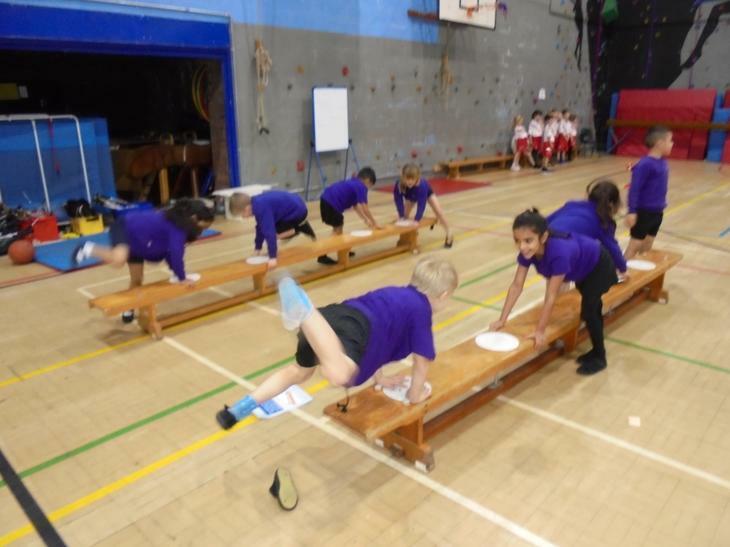 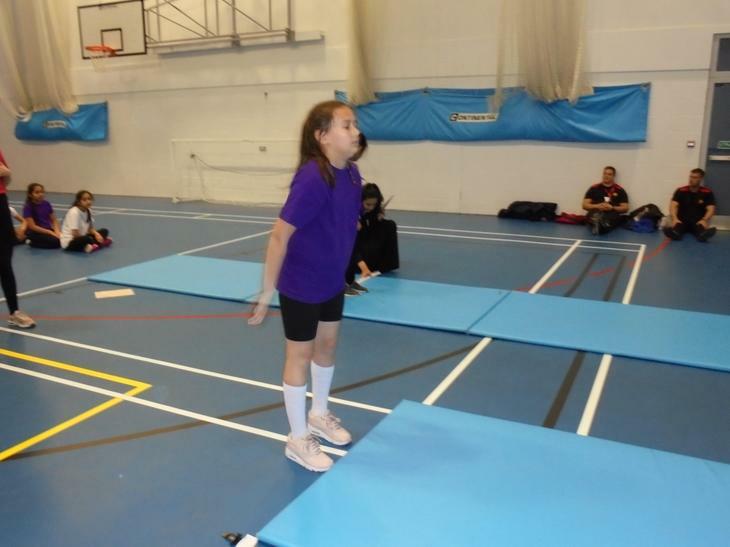 The children collected points in long jump, high jump, speed bounce, javelin throw, chest pass and running events. 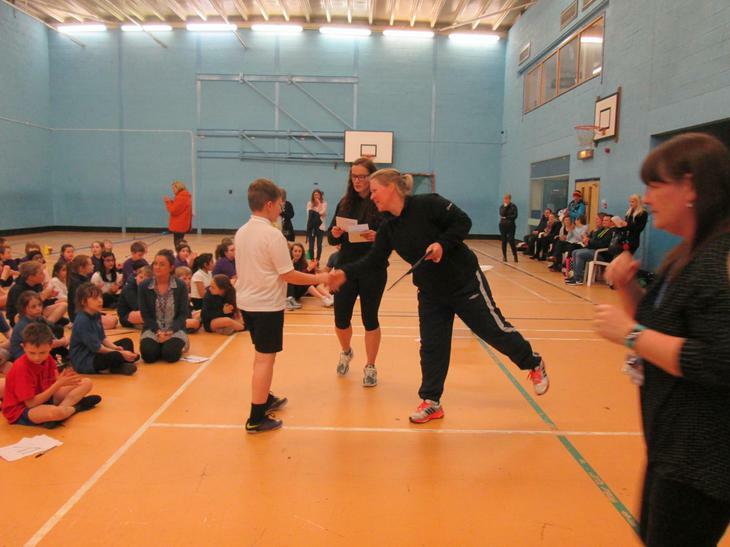 The children were awarded with medals and certificates. 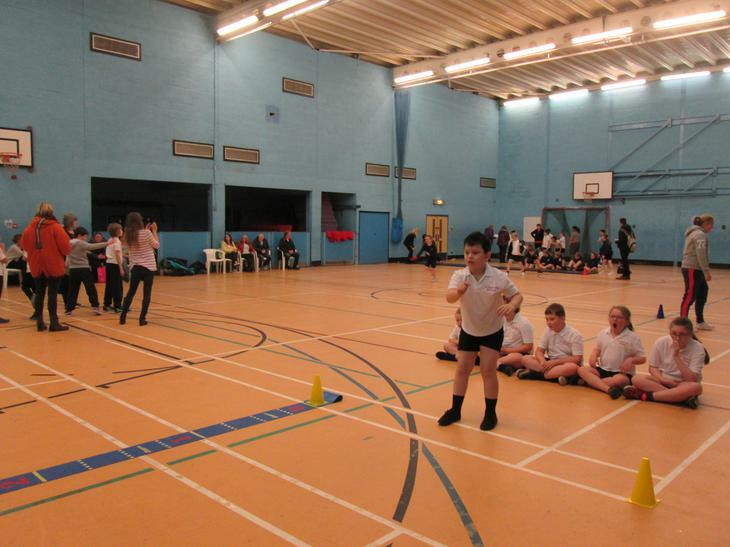 See the pictures below to see how the evening unfolded! 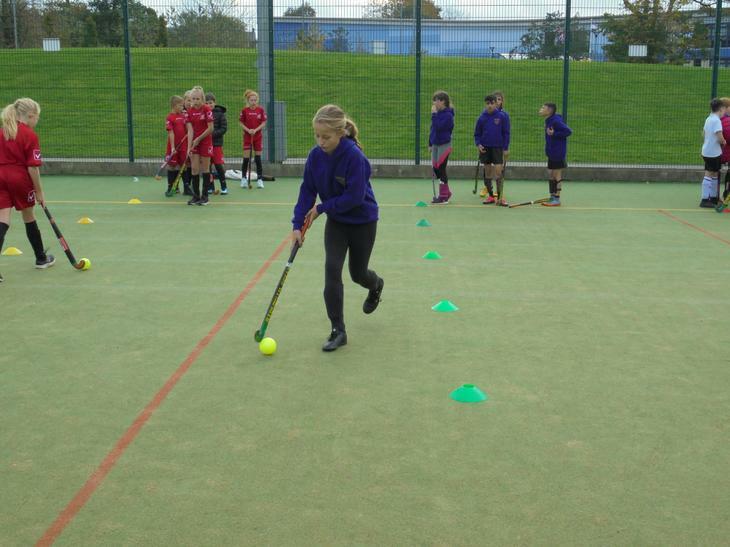 School Sport at St. Paul’s School is an important part of what we do. 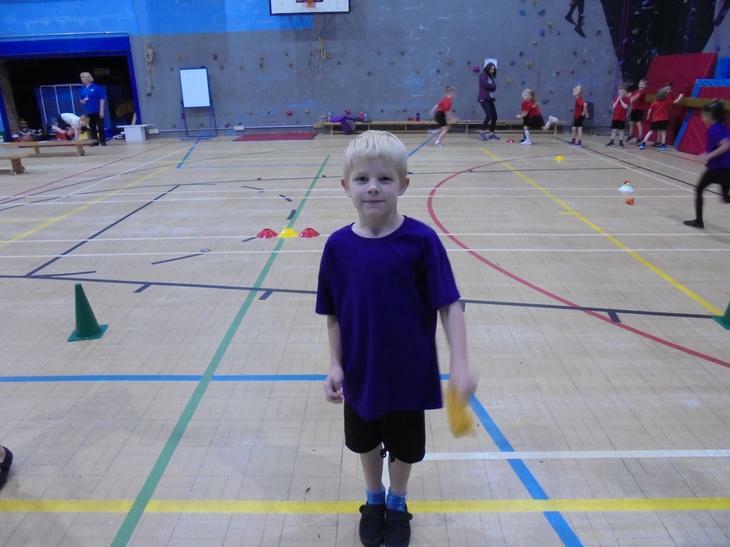 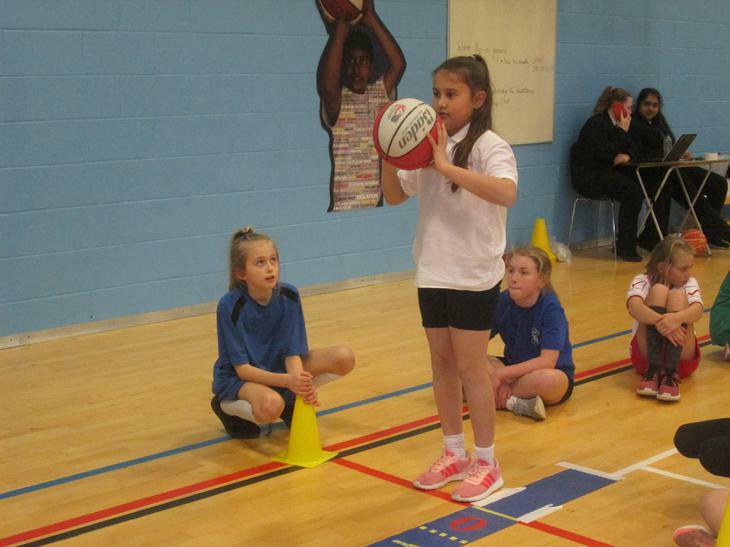 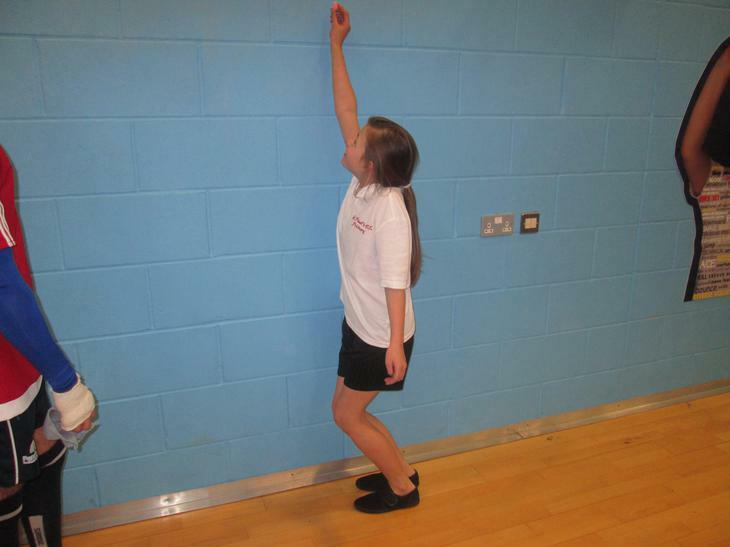 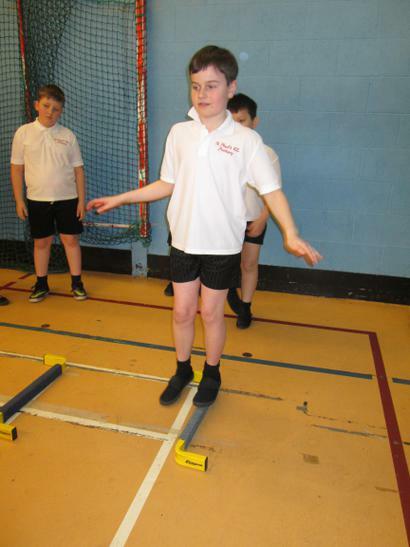 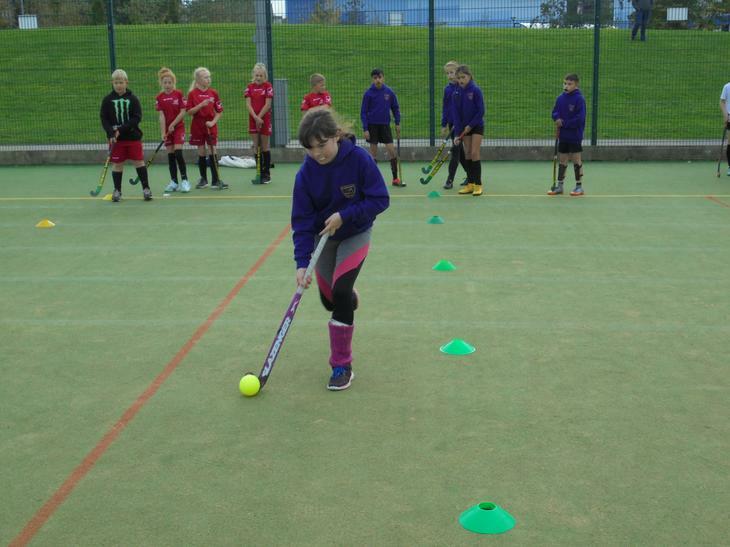 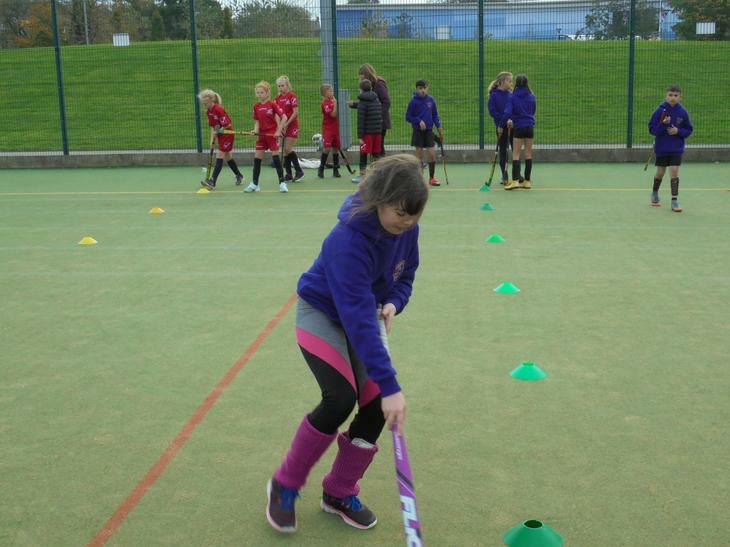 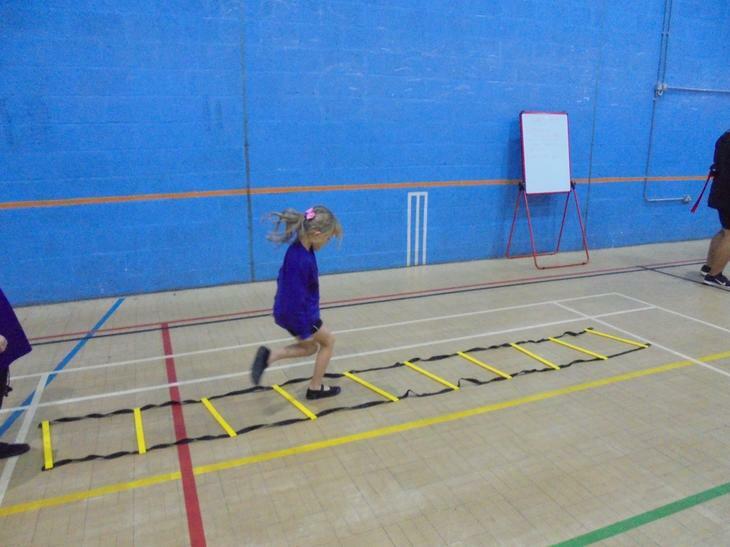 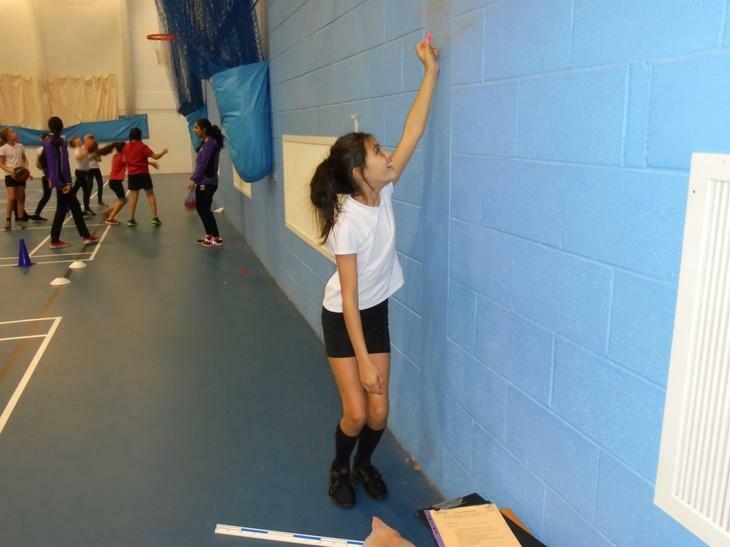 As well as sport and PE within lessons, we also have lots of clubs that the children can take part in after school. 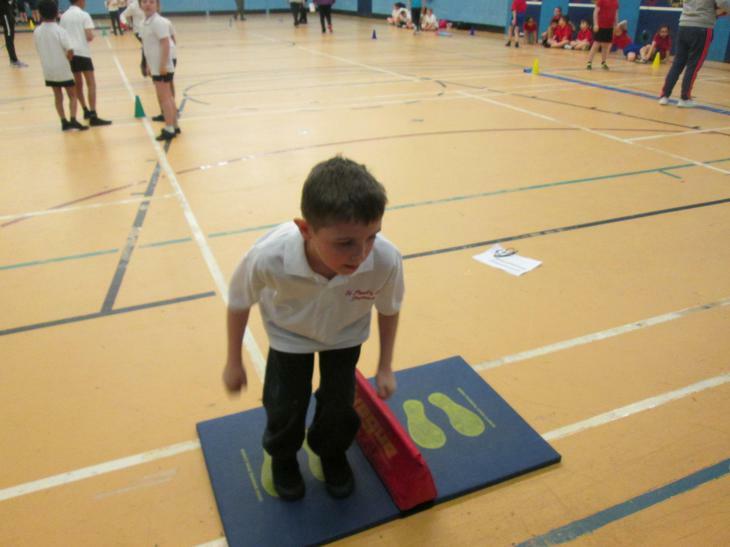 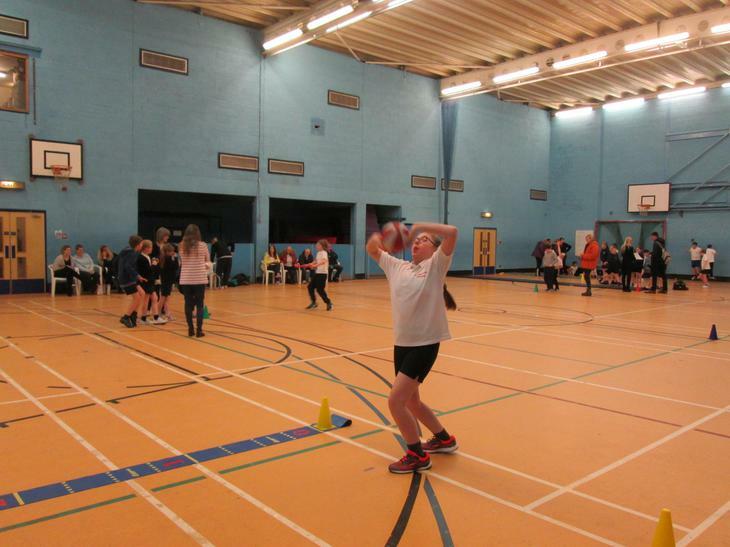 These include football, netball, cricket and cross-country. 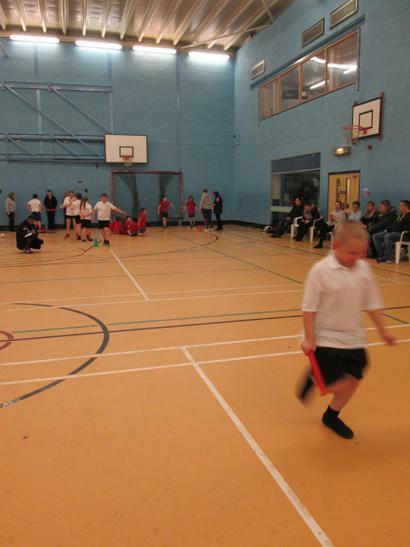 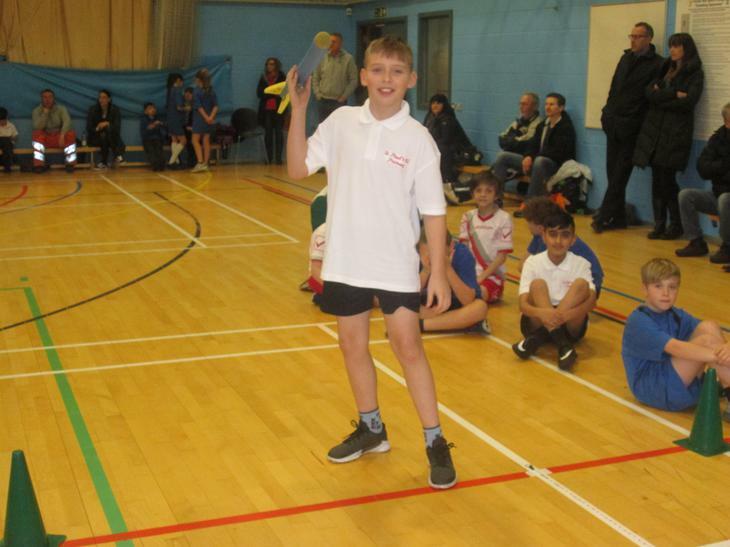 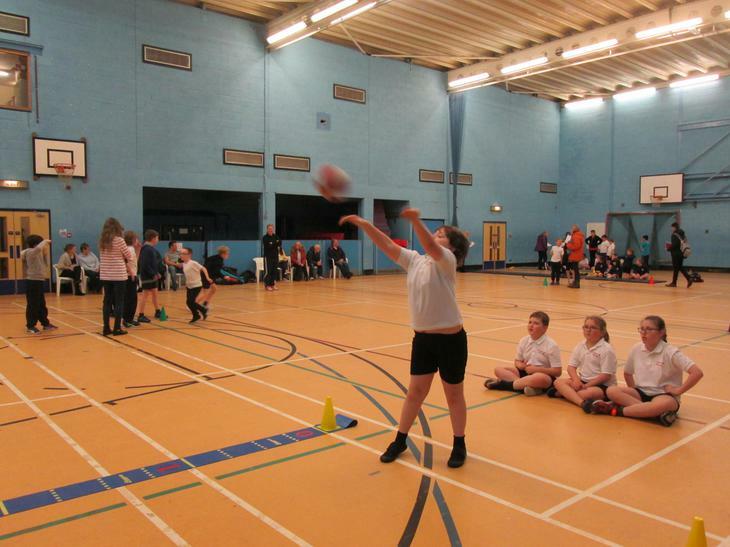 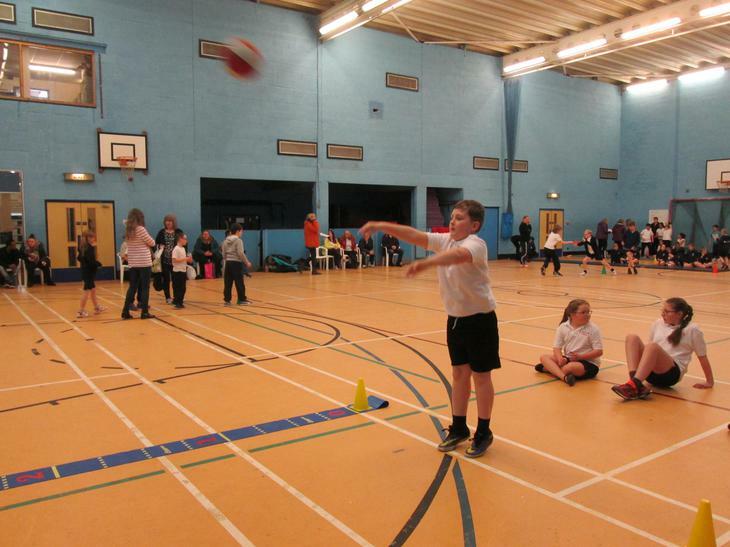 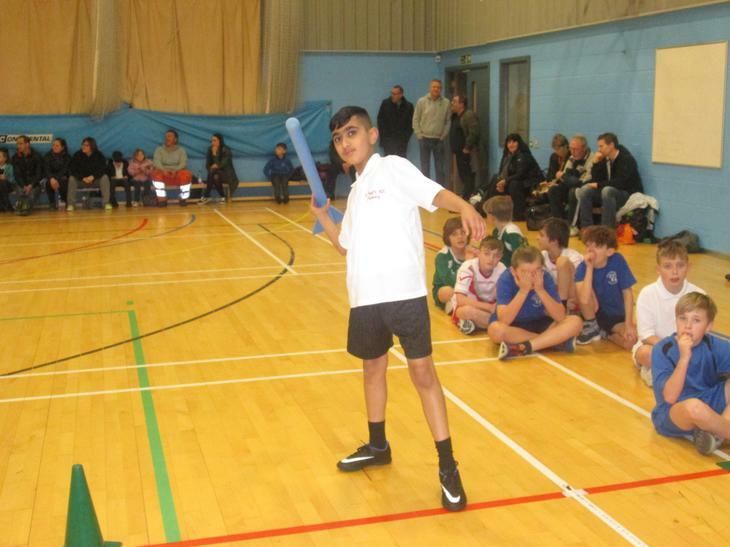 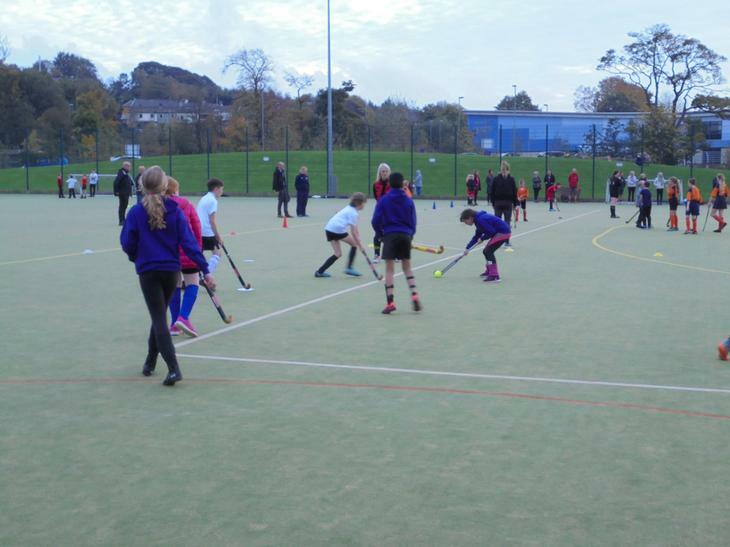 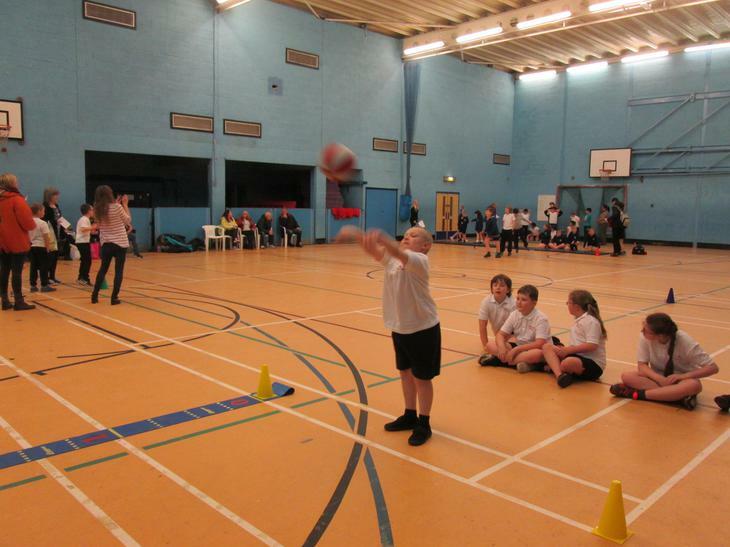 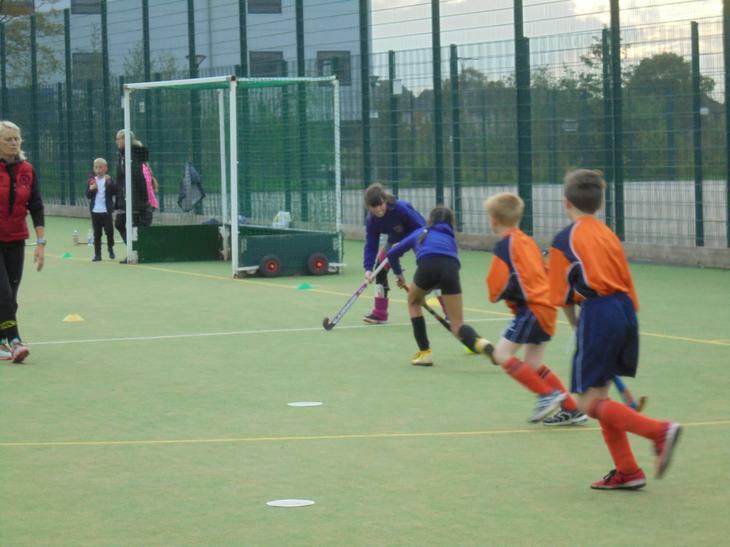 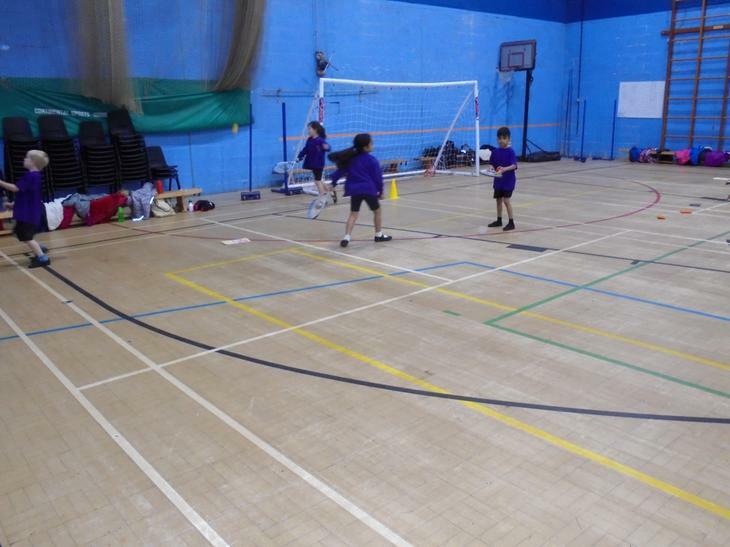 We also take part in competitions and matches against other local schools. 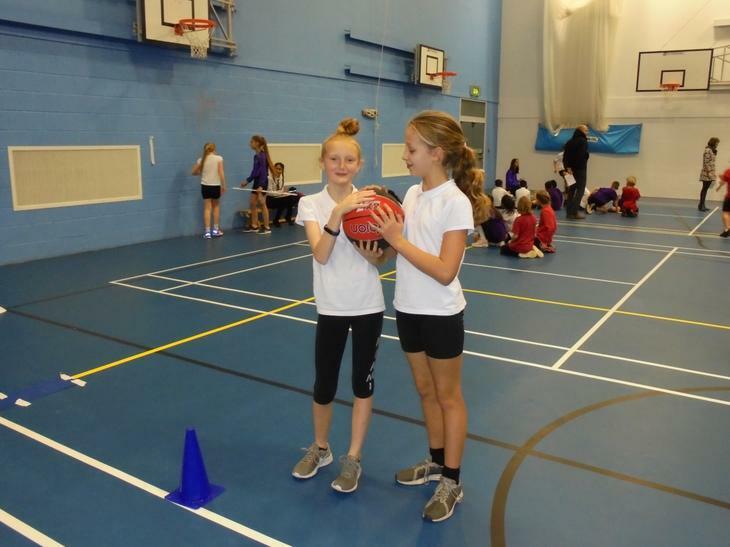 SPORTS FUNDING – What did we/do we spend it on? 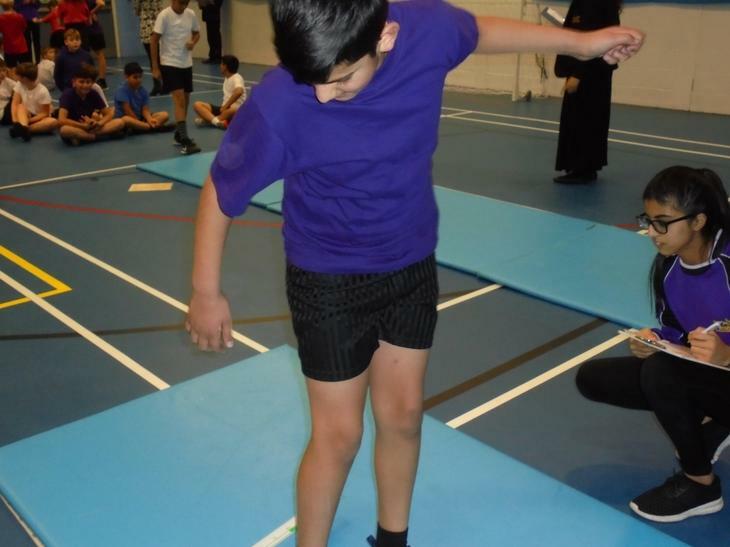 It enabled us to continue with swimming lessons for children. 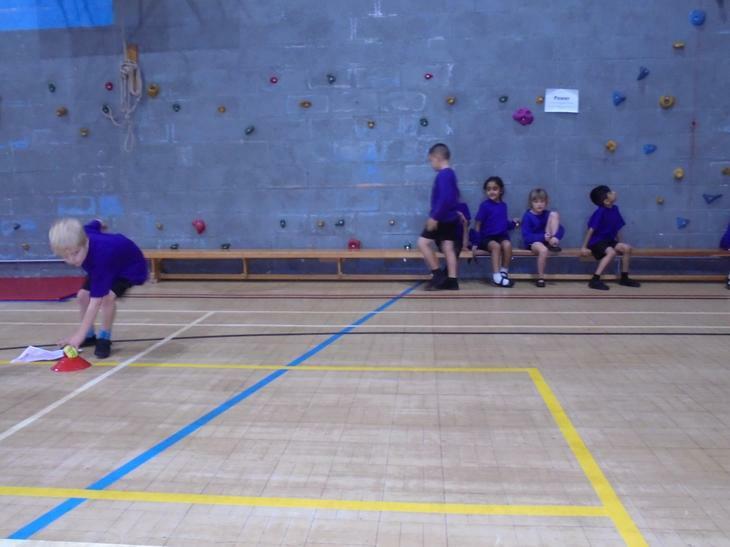 and also look into the possibility of additional swimming lessons should school be able to afford it. 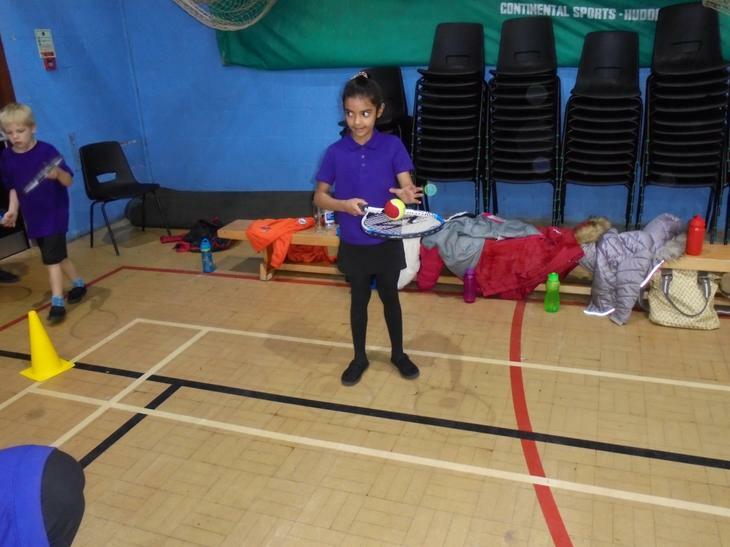 Of course, being able to swim is essential as well as enjoyable and it may be that for those of a different faith cultural background, girls only swimming may one day be an option to engage with. 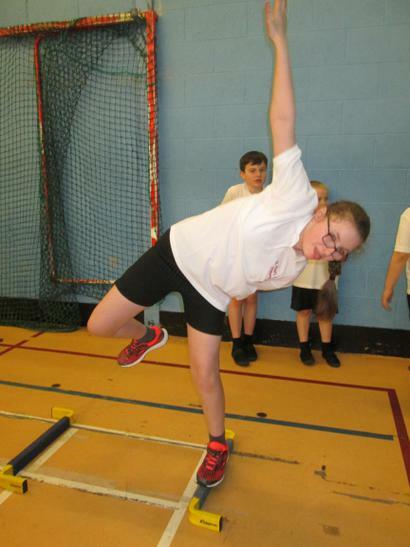 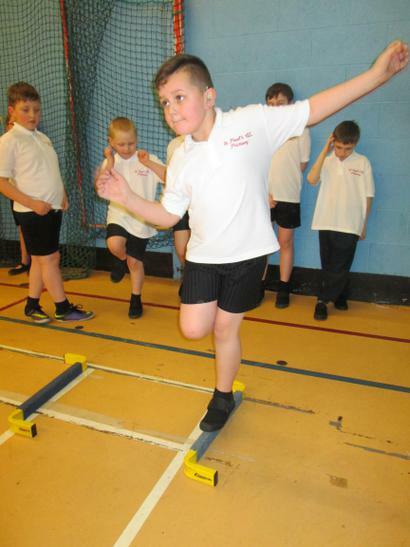 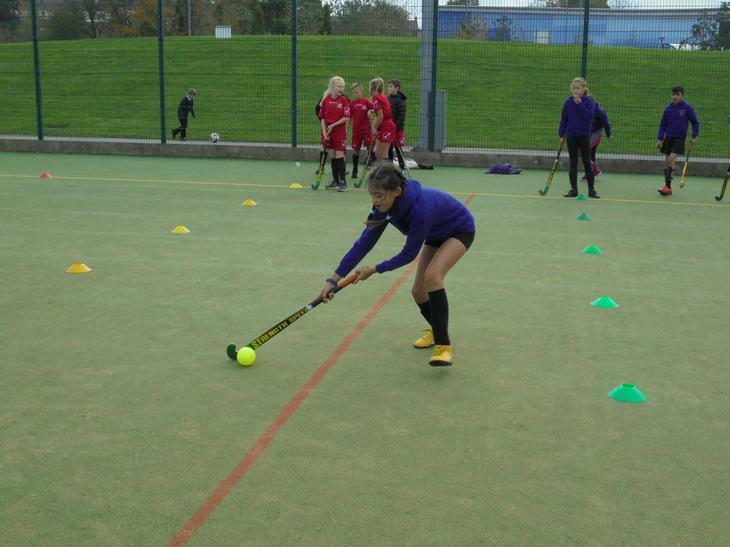 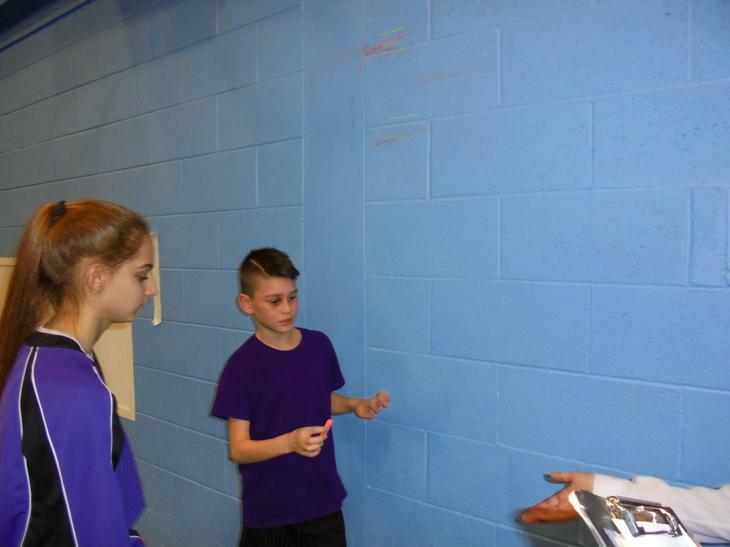 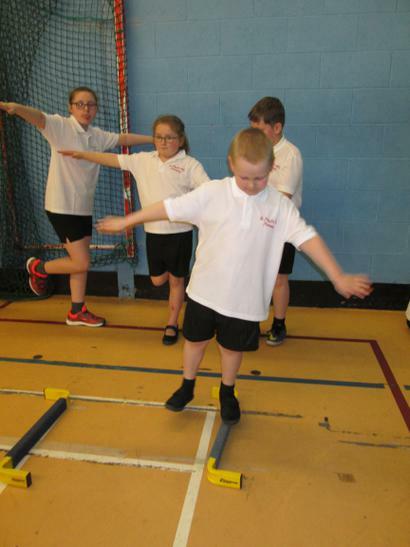 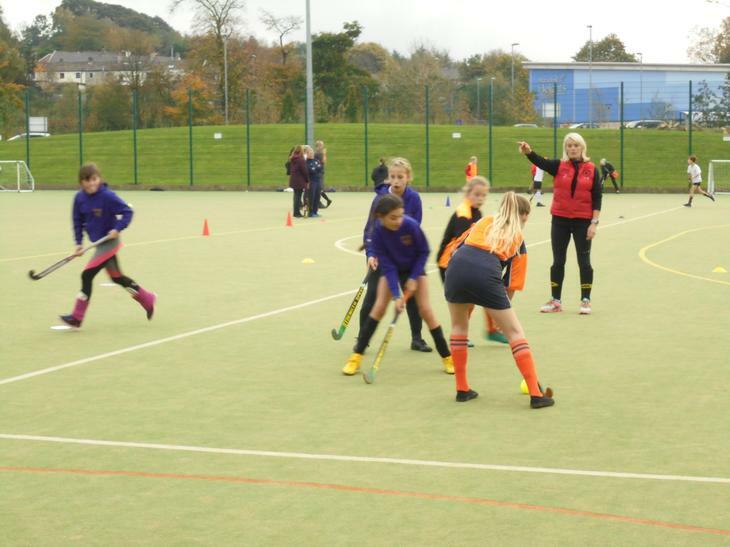 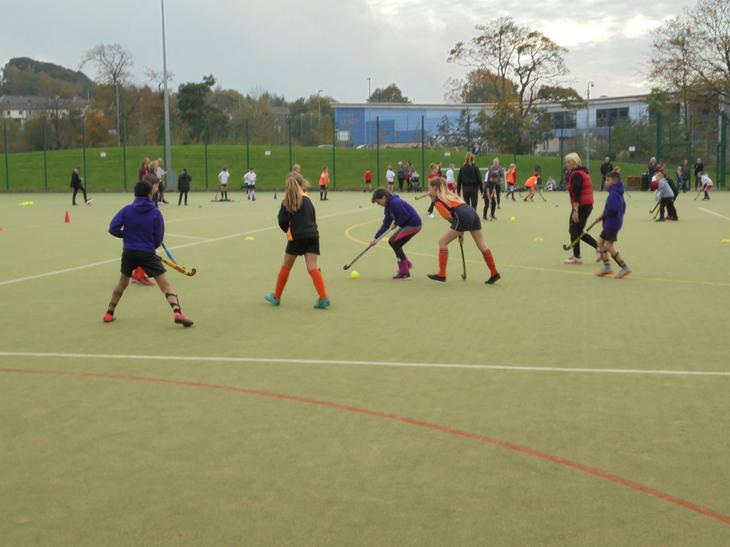 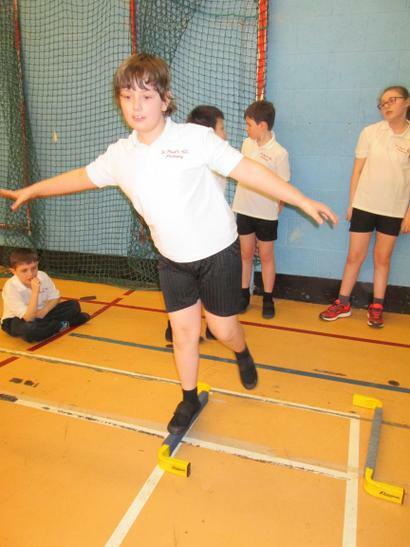 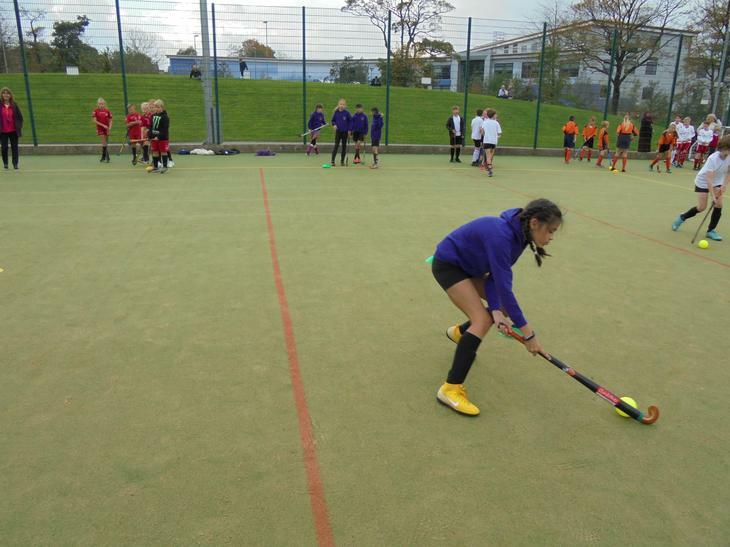 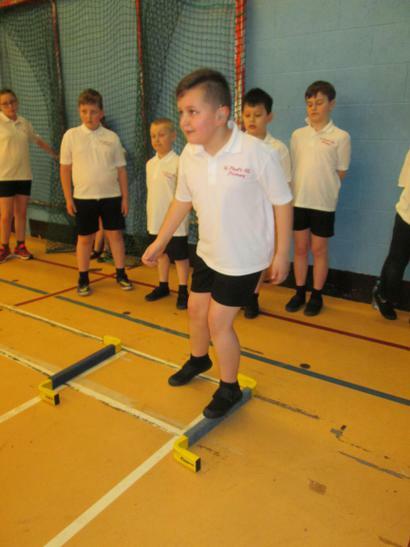 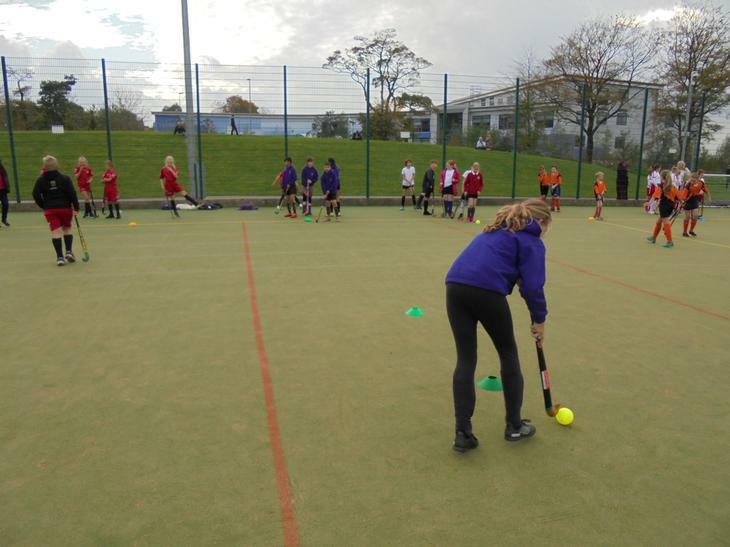 Our teachers/sport’s coach/sport’s coordinator liaised with the local Sports Partnership and because of our membership with this, our lead sports/PE teacher continues to benefit from training and courses, which in turn impact on the quality of teaching. 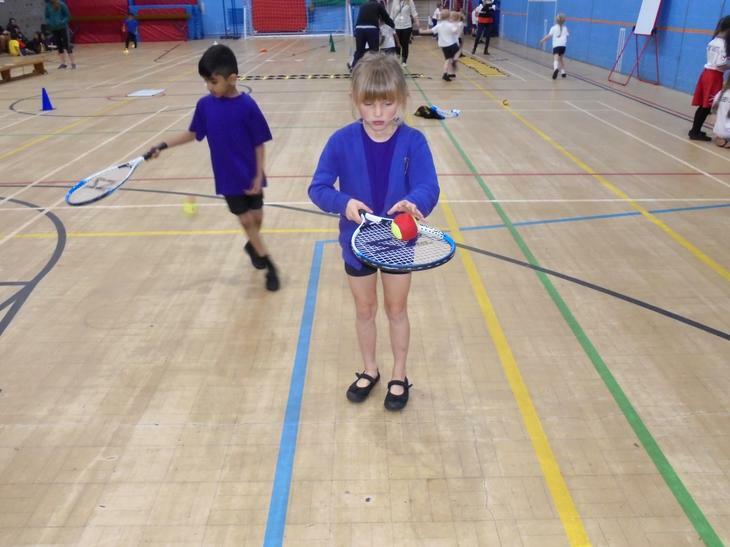 Children too were able to access tournaments and competitions that are available by being members of the partnership. 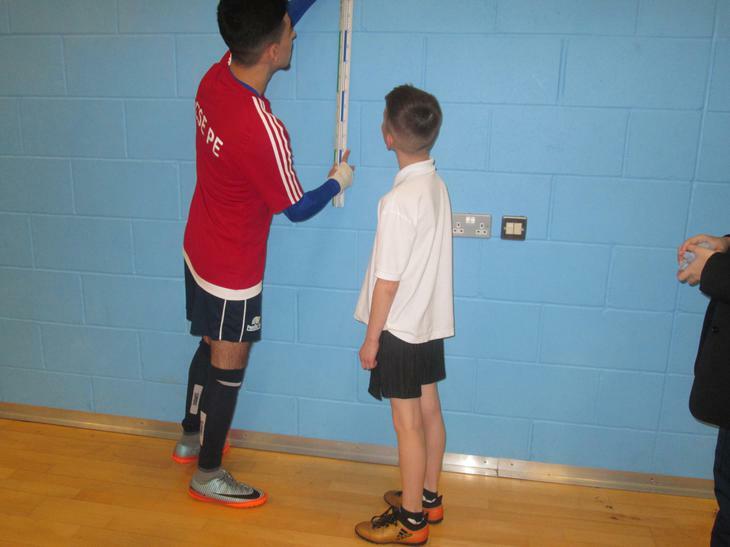 This year and already for next year we have booked the ‘S7 Soccer Academy’ who visit school for sessions equivalent to 2 full days. 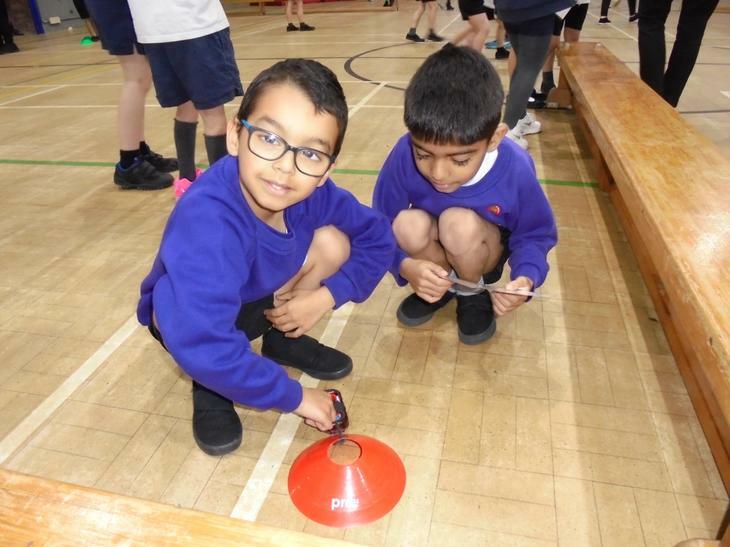 The sessions have themes connected to core subjects of Literacy, numeracy and / or Science through football. 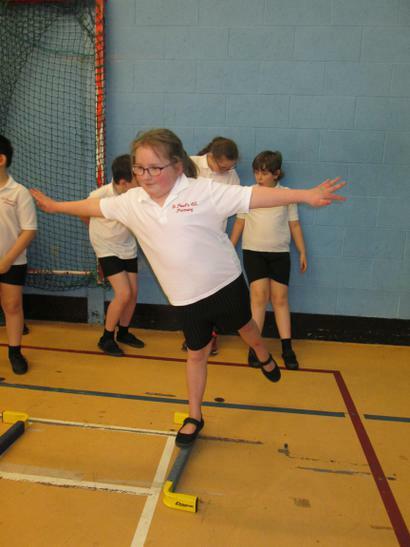 The impact is one of learning through sport and very enjoyable. 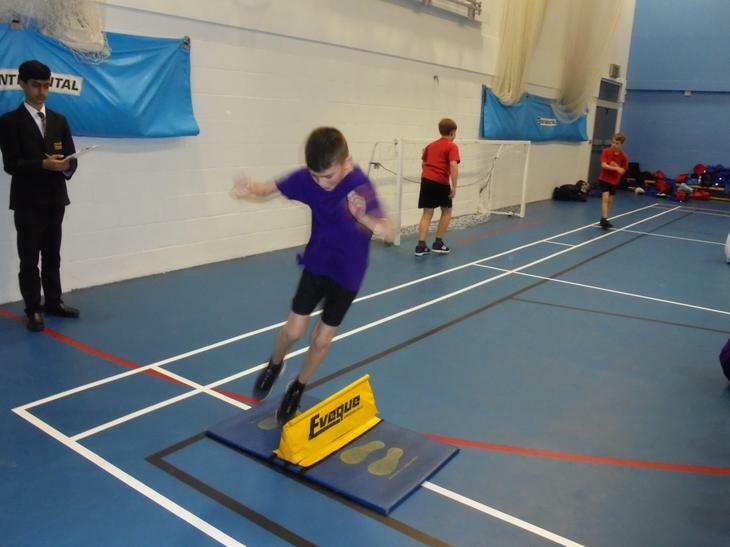 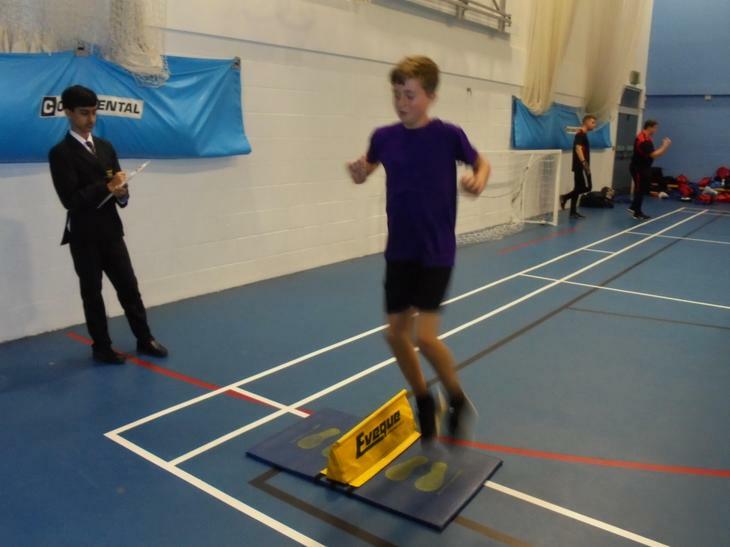 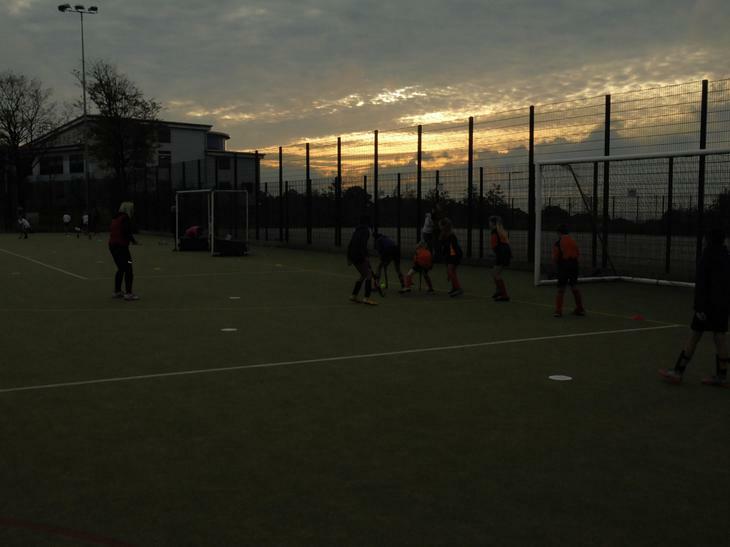 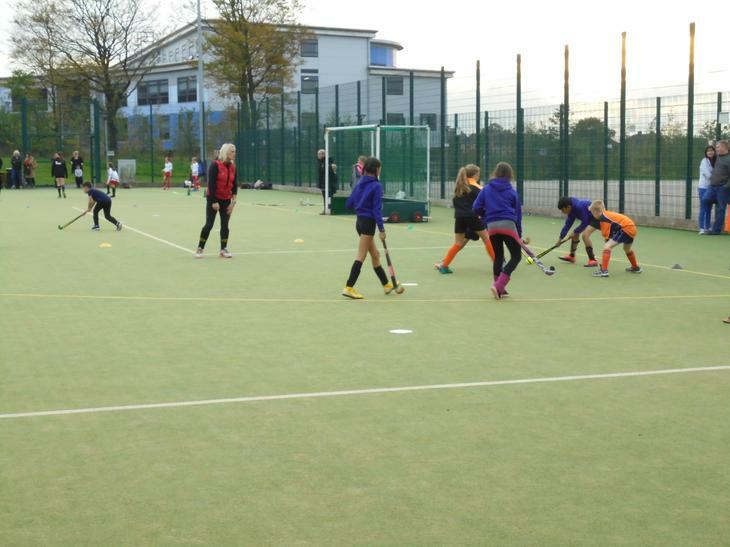 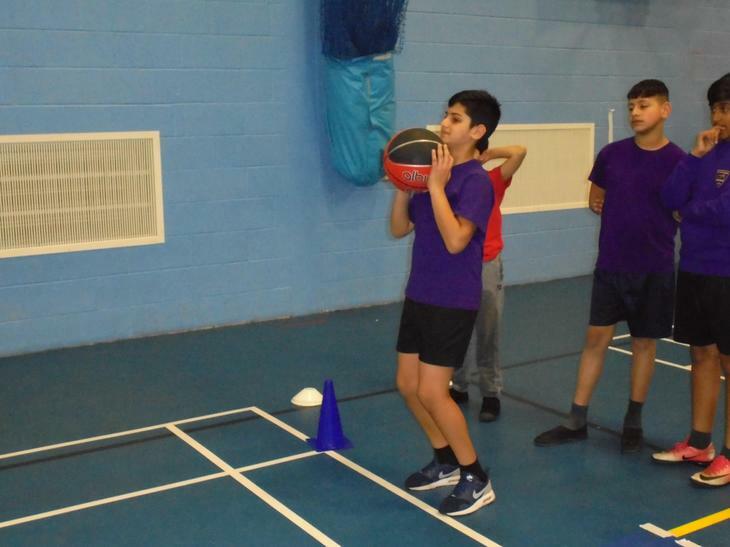 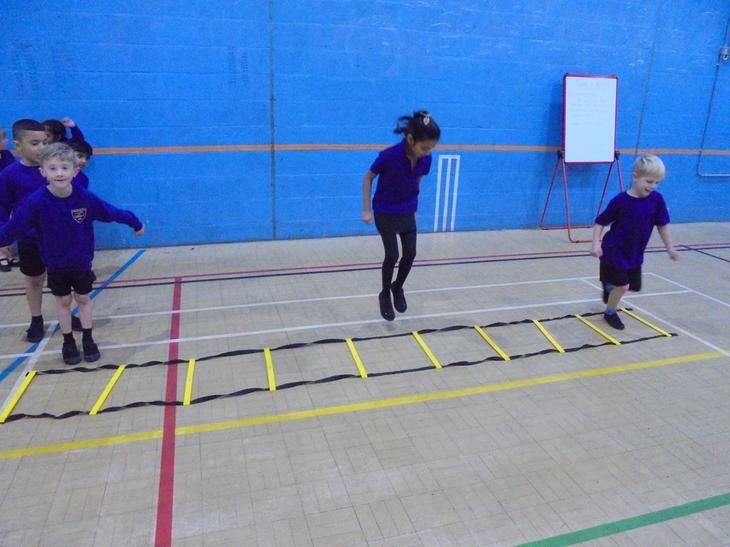 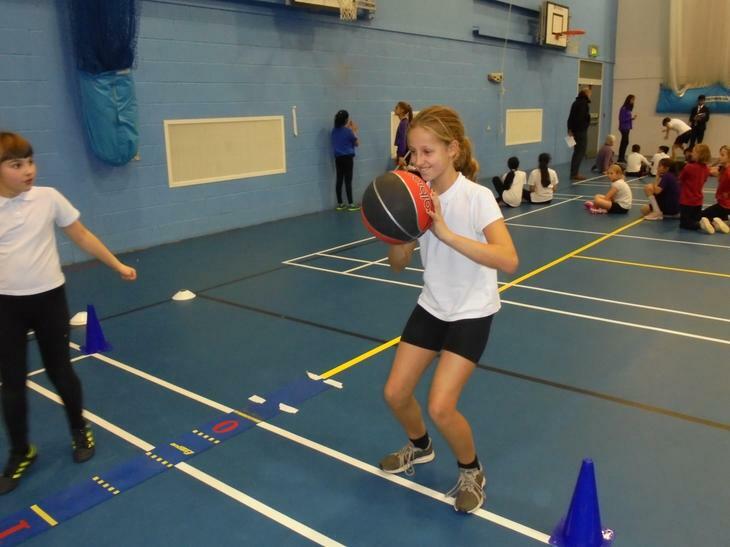 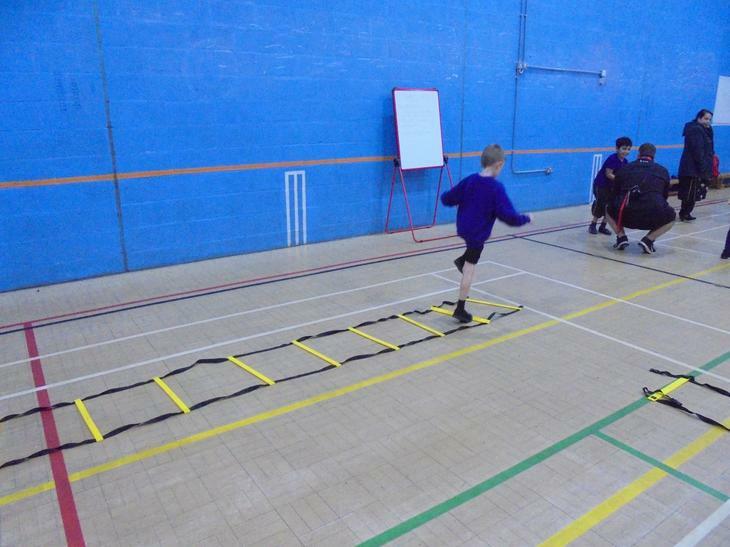 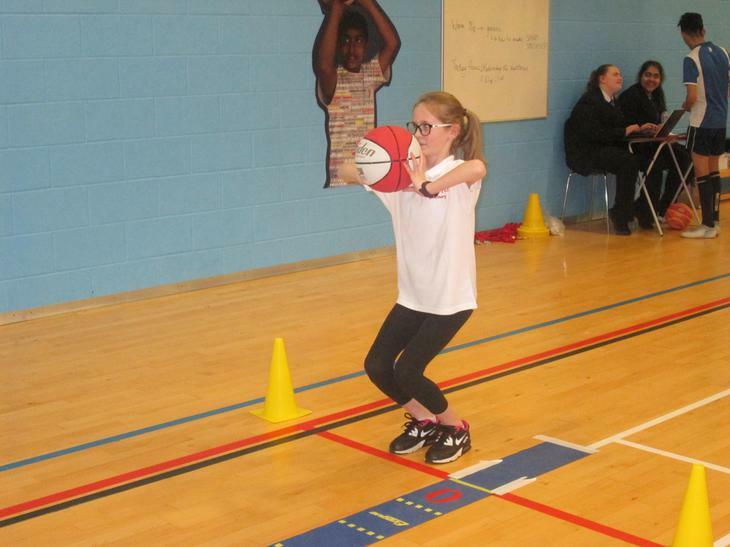 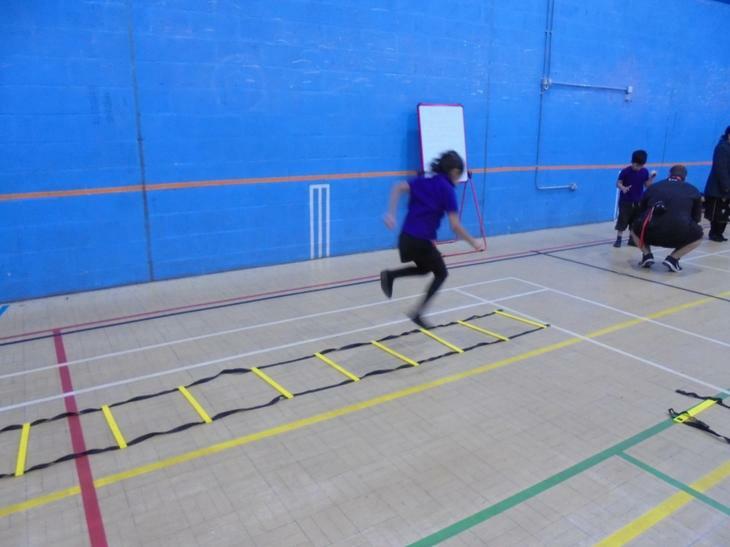 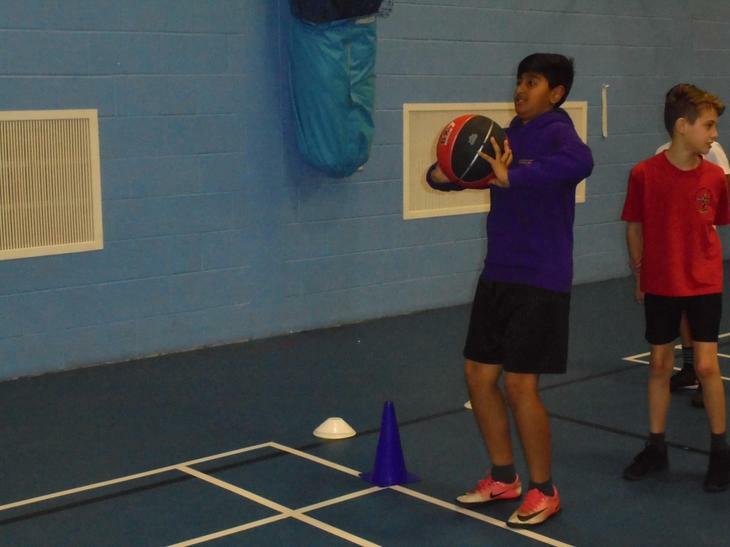 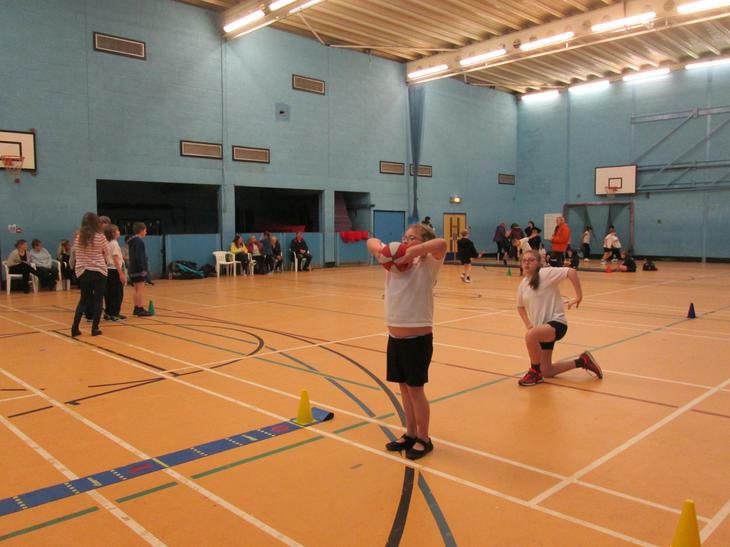 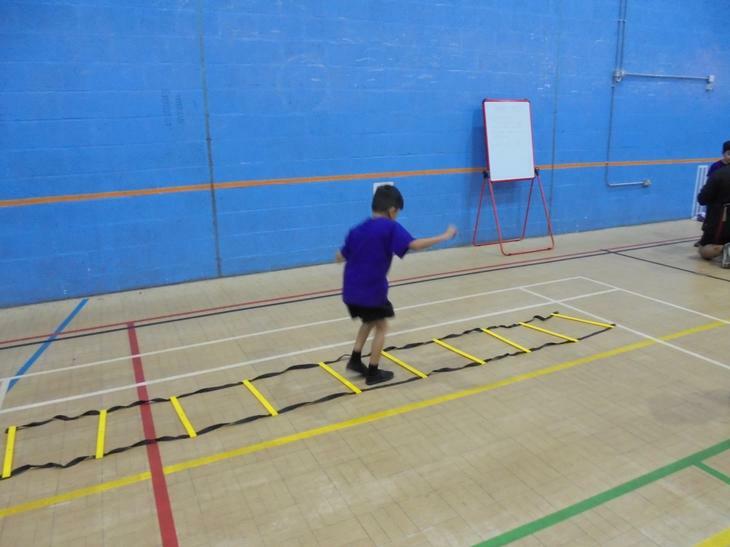 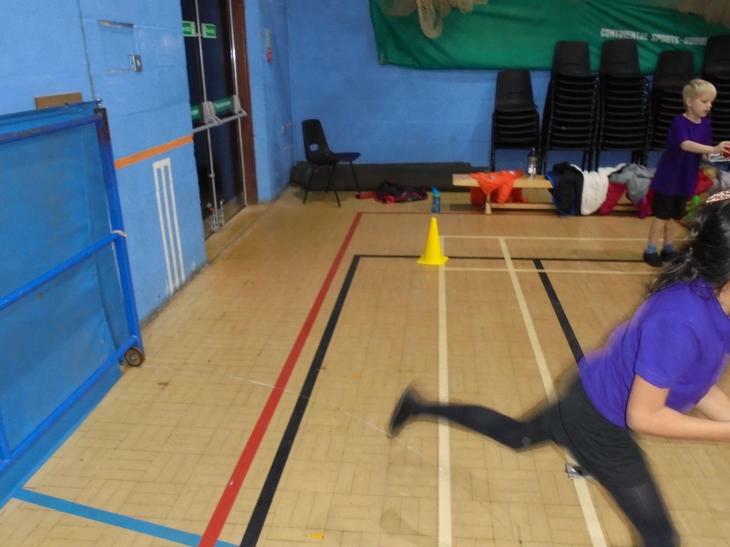 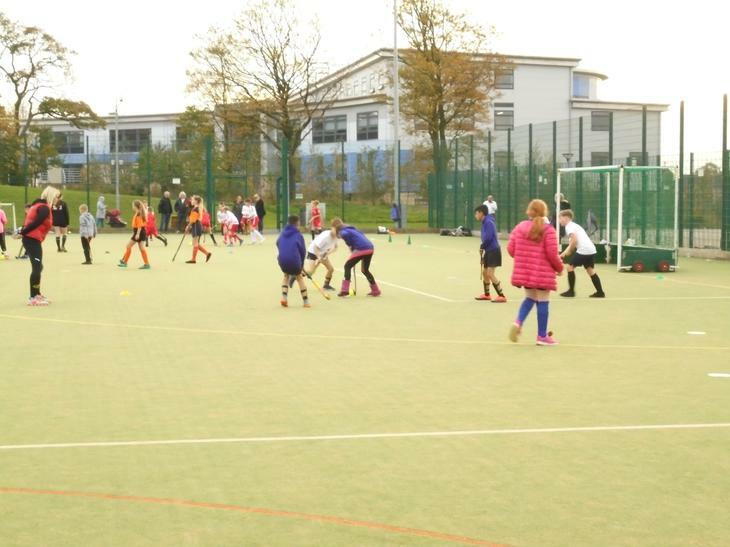 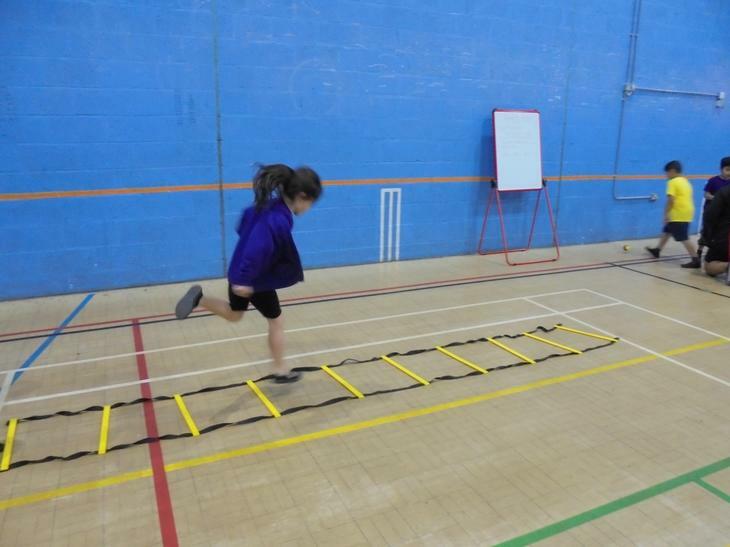 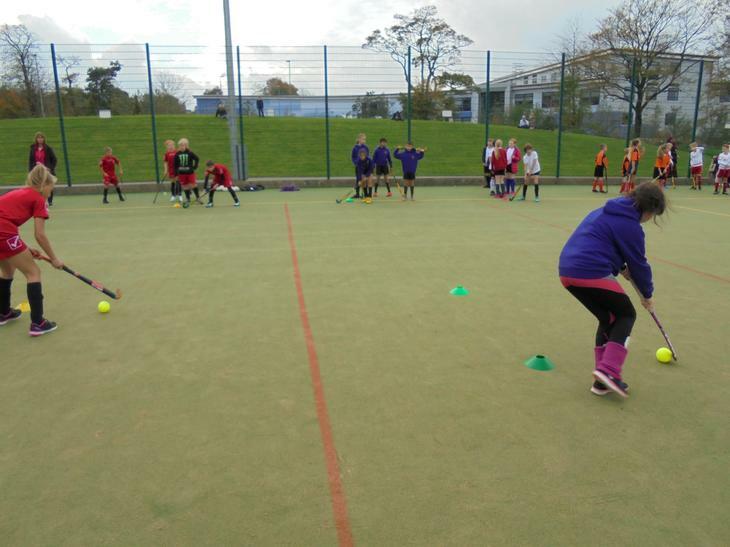 Also, a sports/games coach who was engaged in April 2014 through Sports Funding, continues to be employed very effectively throughout school delivering high quality sports/games coaching within the PE curriculum in consultation with the teachers. 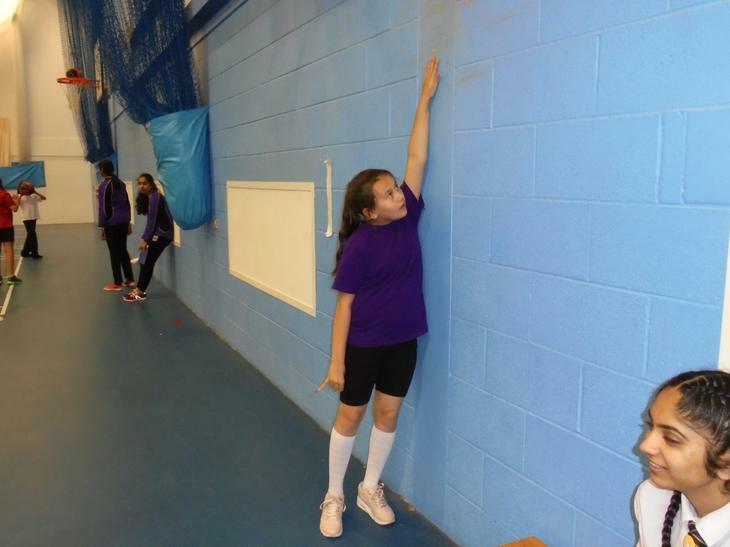 Owing to this being very successful and owing to sports funding, this has again been extended into this financial year. 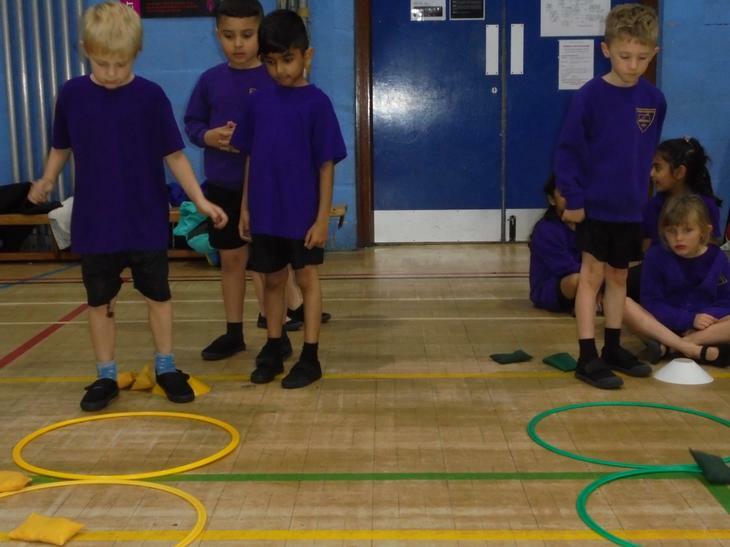 We have established a school wide ‘House Group’ System. 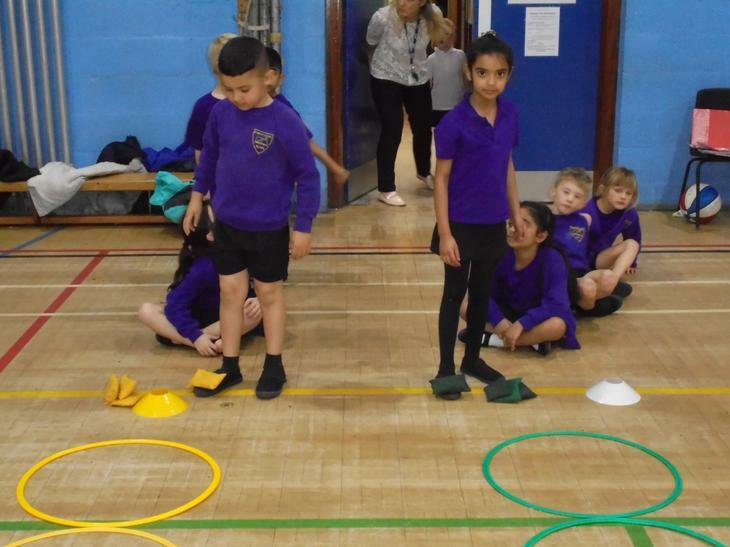 This will primarily have the effect of generating healthy and exciting sporting rivalry across and within the school population. 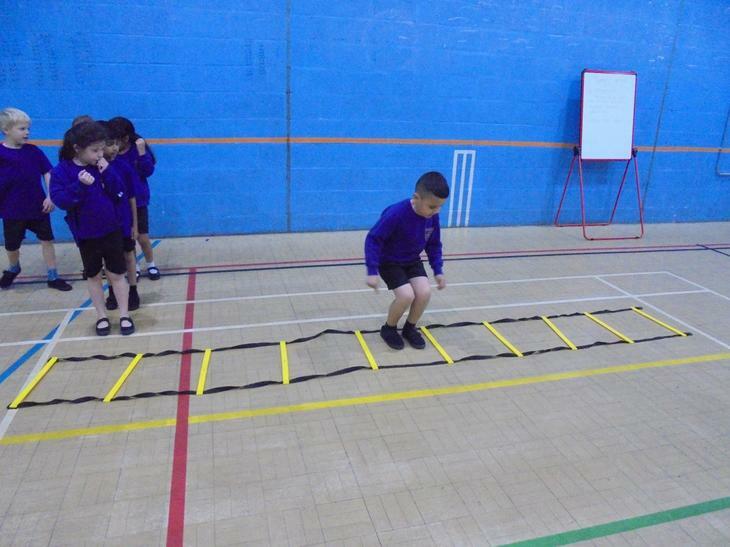 In turn, this will strengthen positive attitudes in other areas of school within and without the classroom. 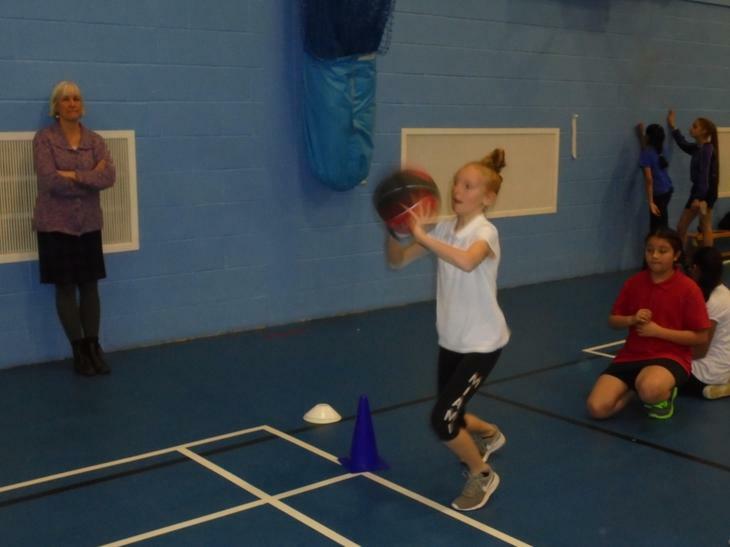 As it develops this, will raise the profile of competitiveness throughout the school and add positive value to more academic subjects. 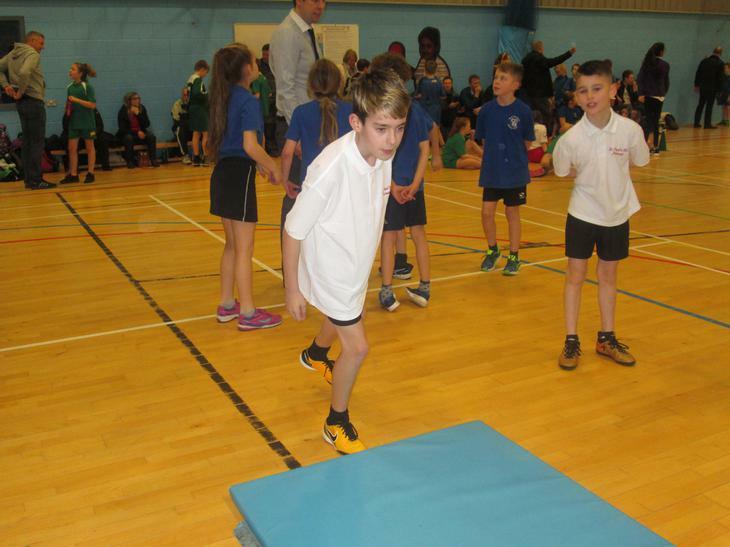 Our Sports Funding Action Plan will to all intents and purposes remain the same for many of the above activities as they continue to run in and throughout school. 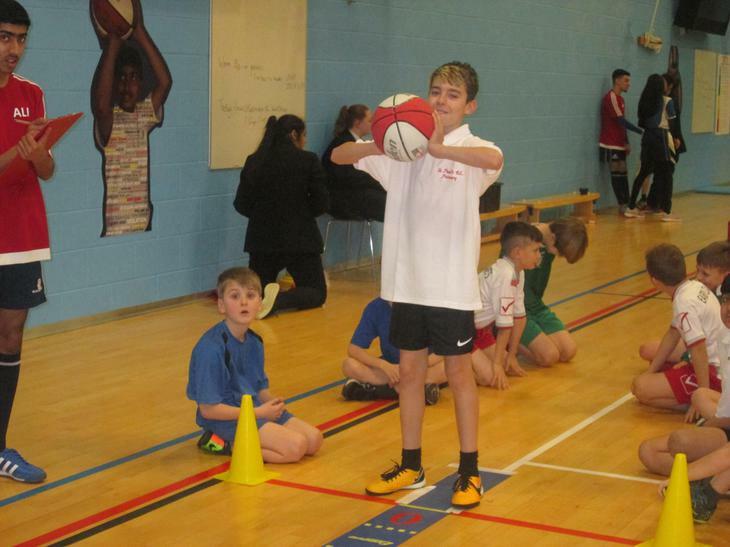 The sports coaching particularly will continue and if continued throughout the year will alone cost approx. 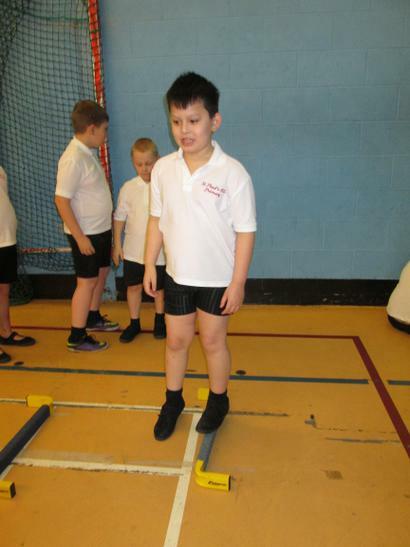 £8,500. 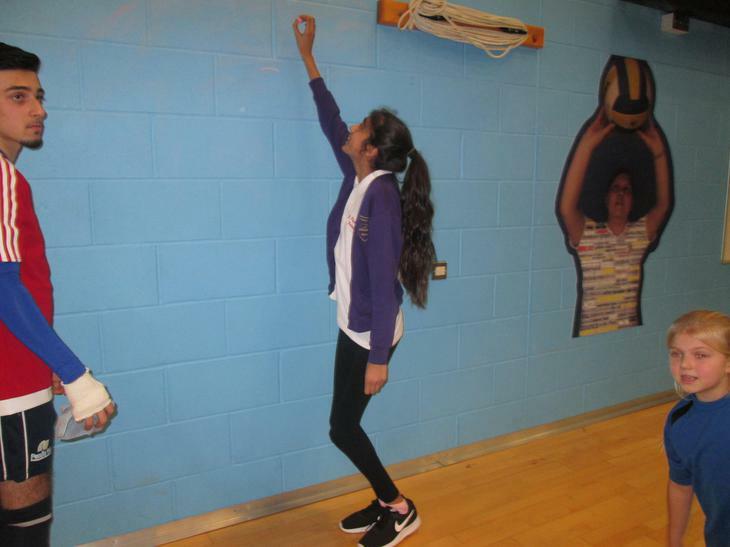 Owing to the positive impact of the Sports Funding and our intention to maintain much of what was possible because of it, we have and will continue to allocate more of our delegated budget towards the same and other initiatives, believing that the positive impact they bring is well worth the additional cost to school.